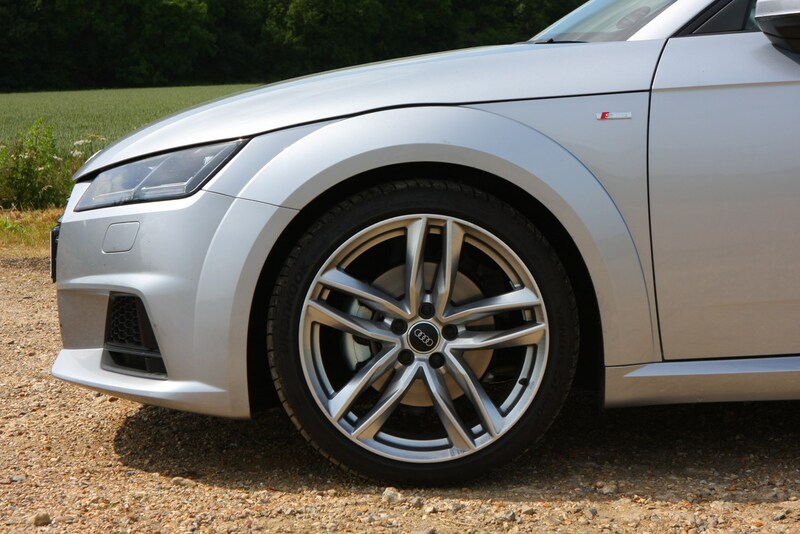 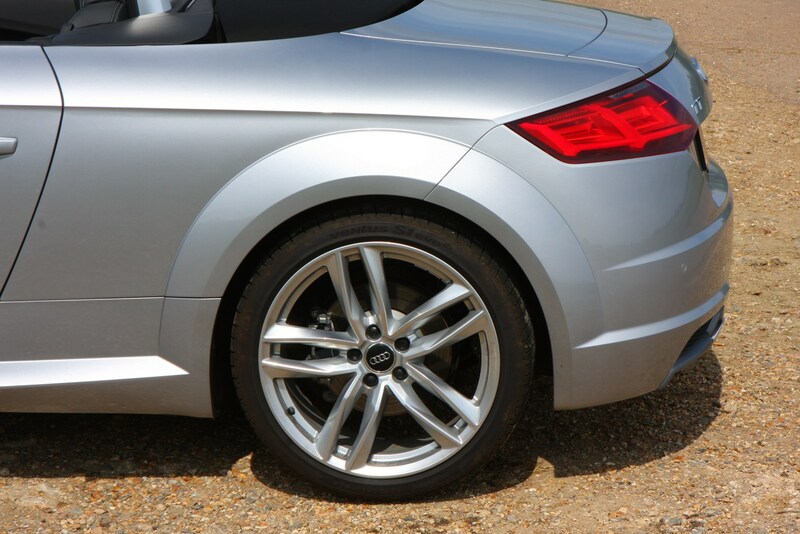 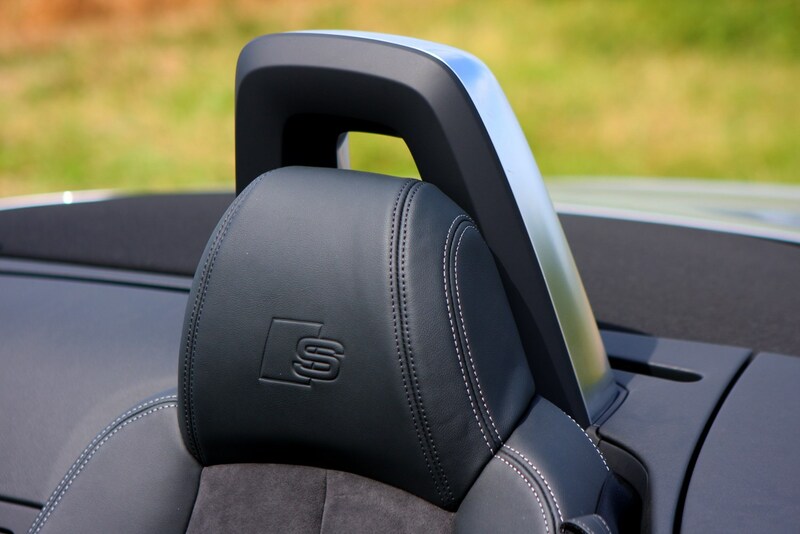 Whatever you do, don’t buy an S Line Audi TT Roadster and specify the S Line suspension – take the standard Sports springs instead. 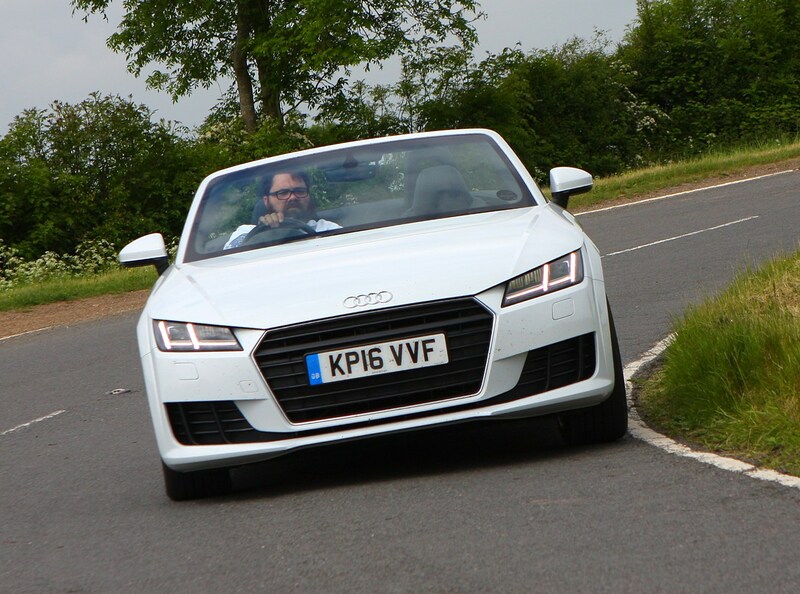 Sure it lowers the car by 10mm, but along with the S Line’s larger wheels it can make the ride rather firmer than it should be. 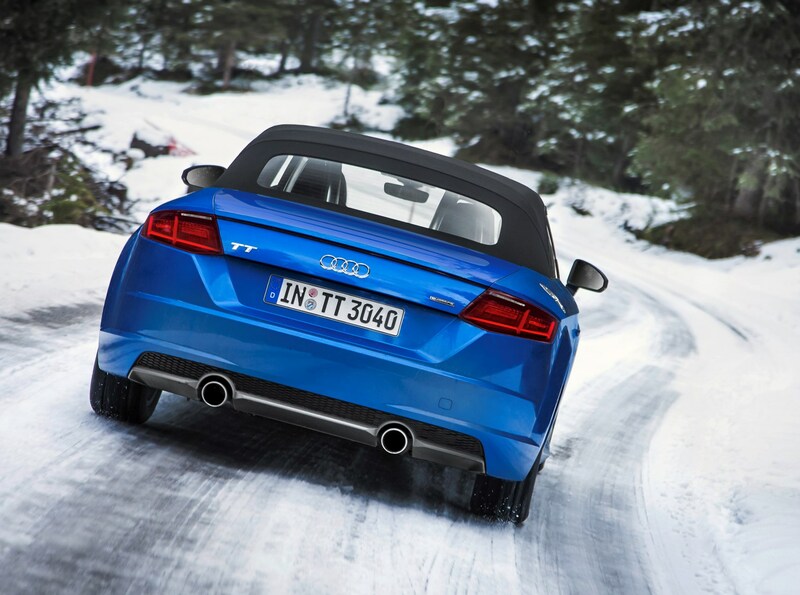 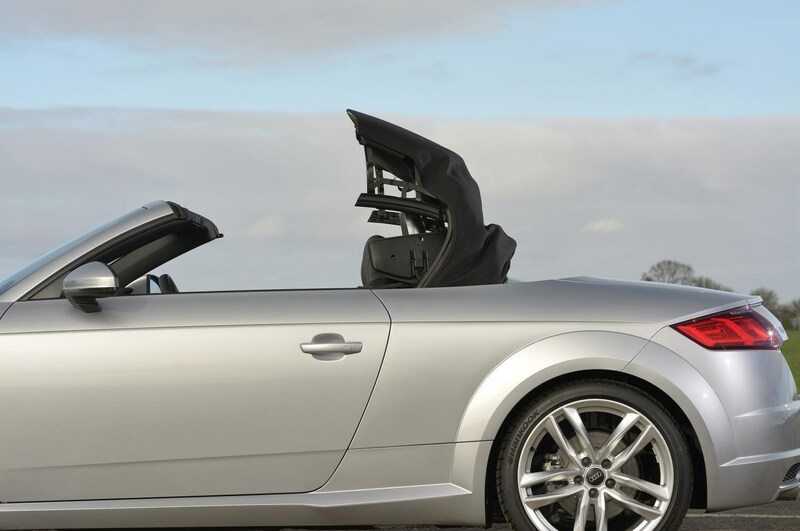 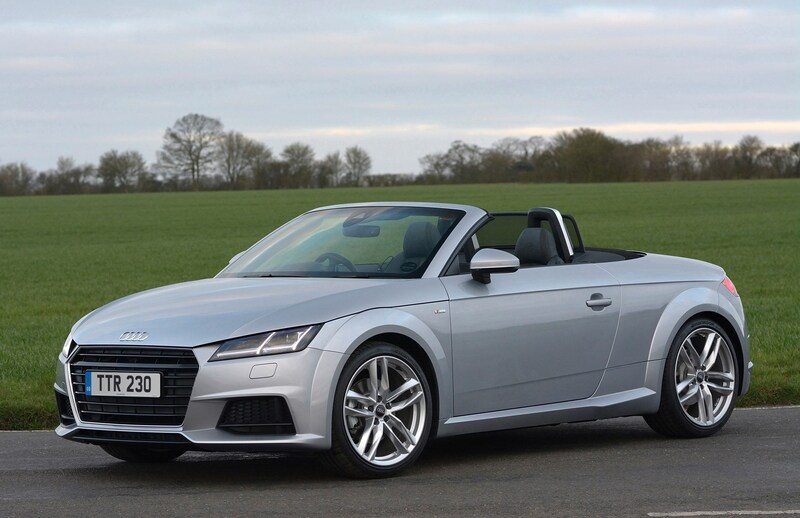 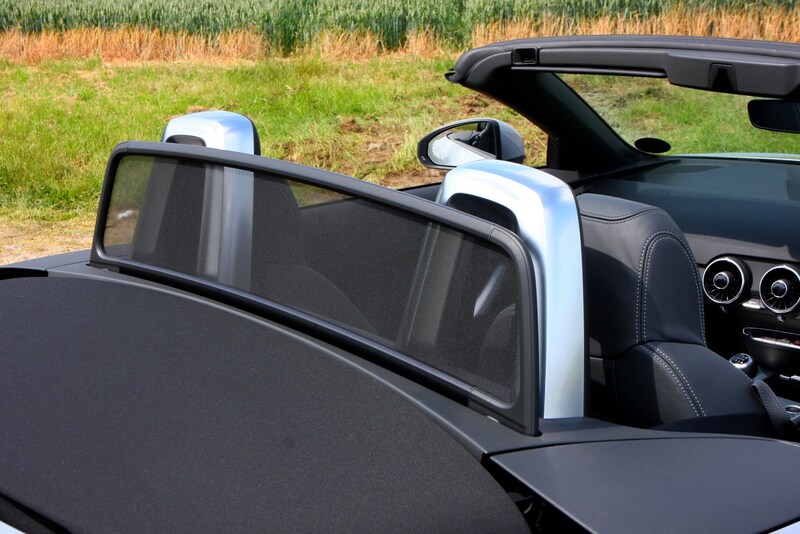 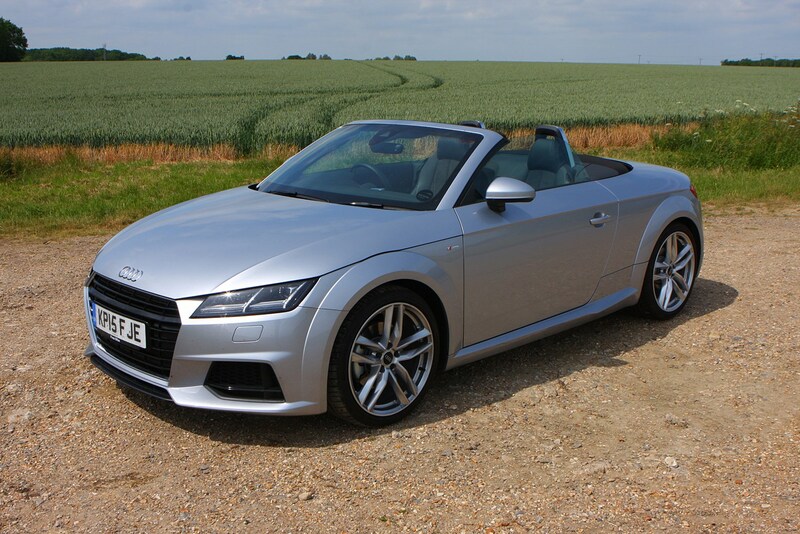 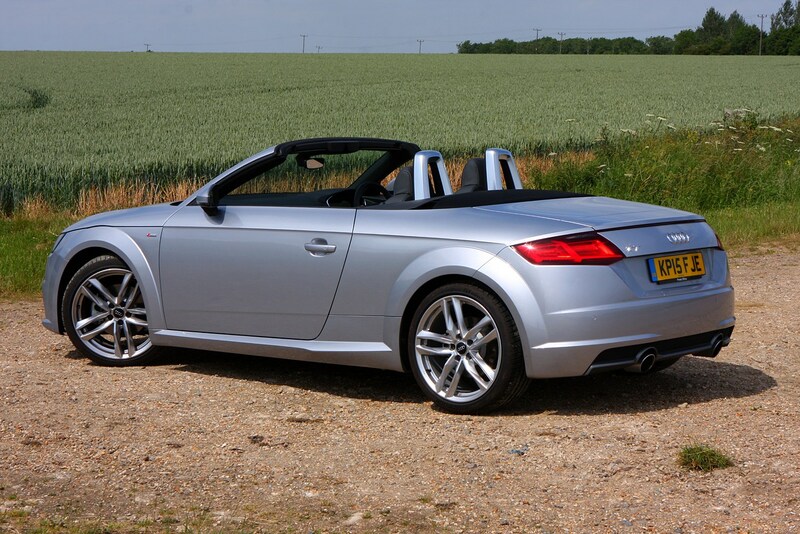 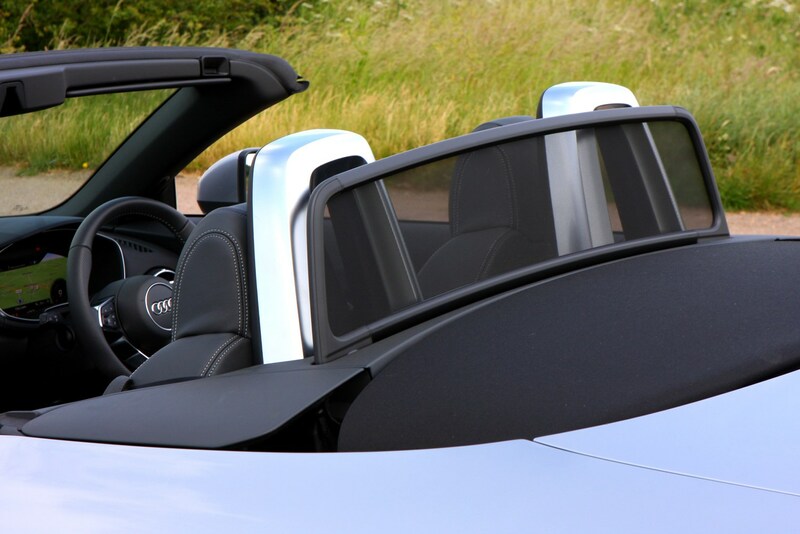 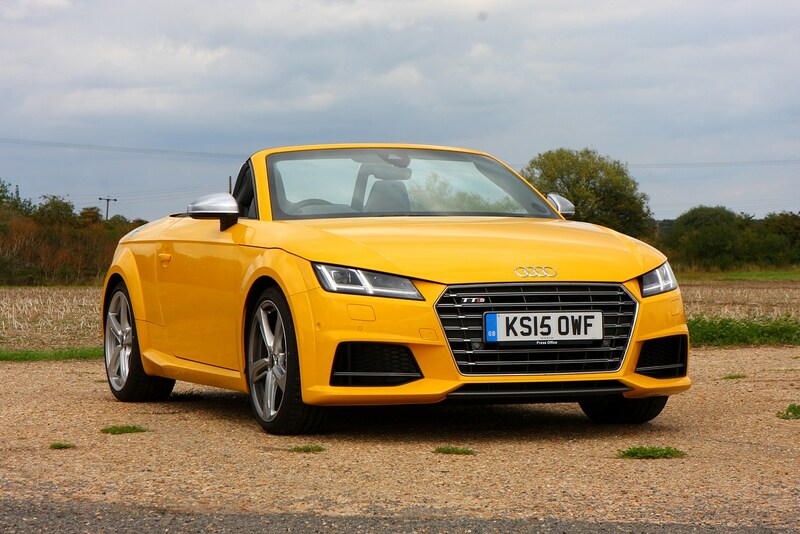 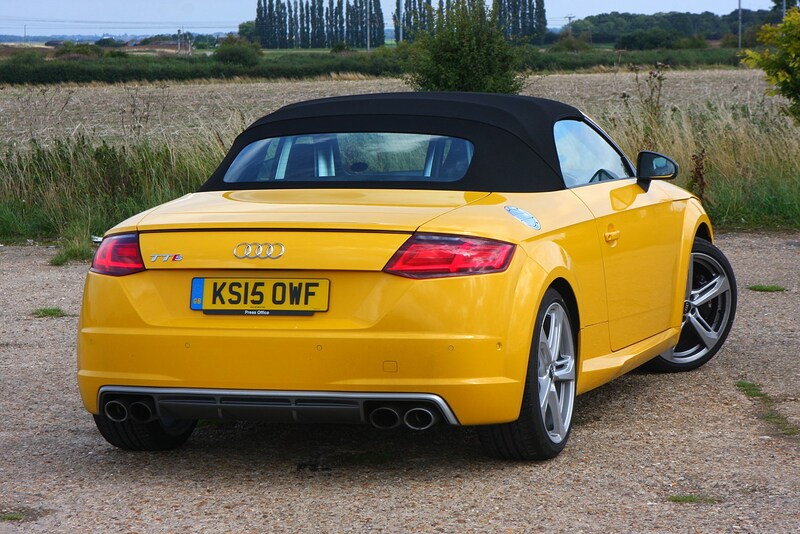 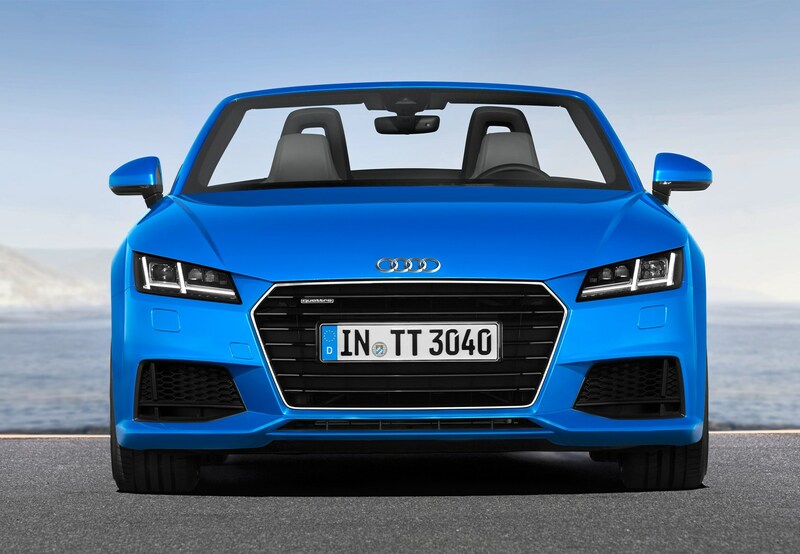 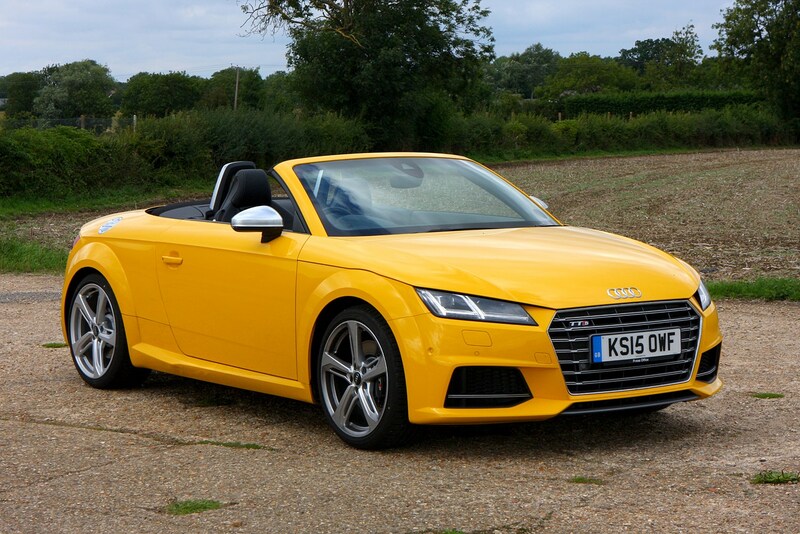 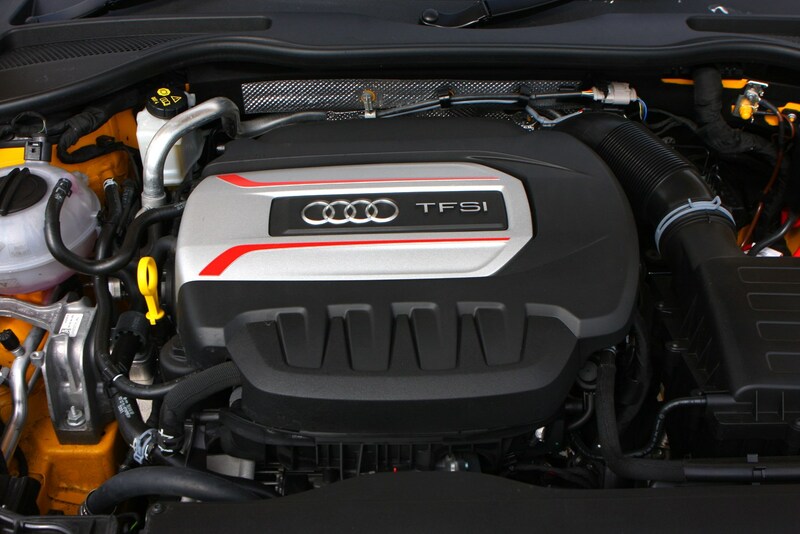 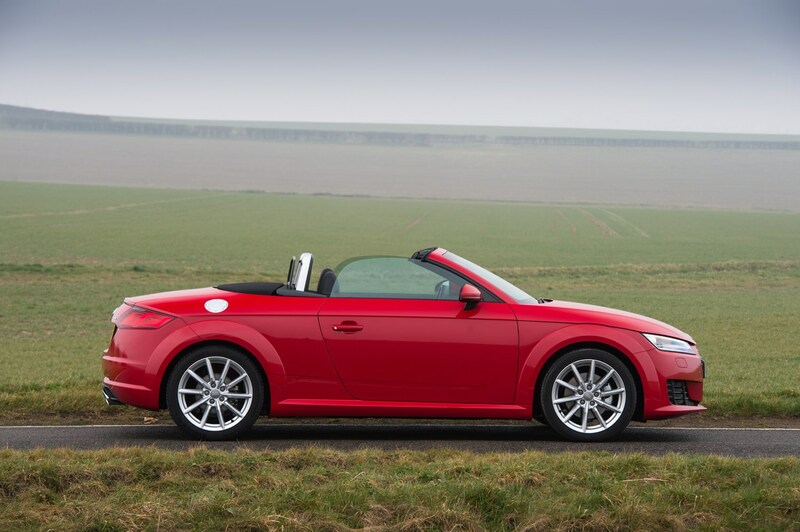 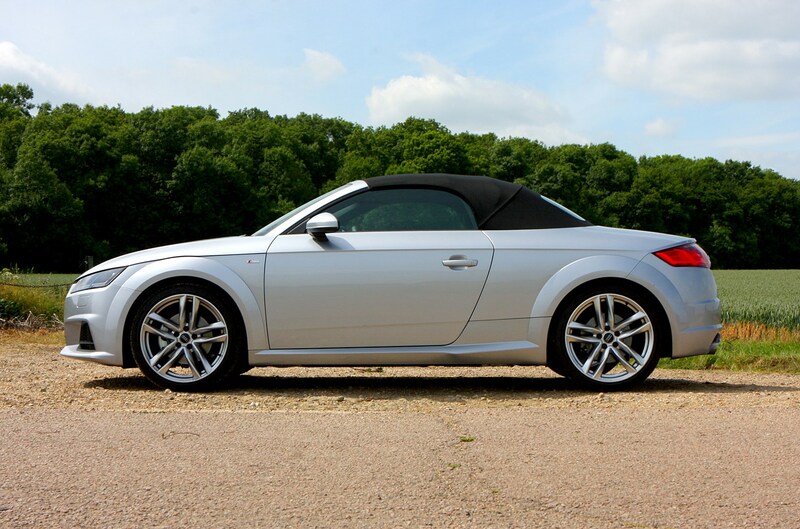 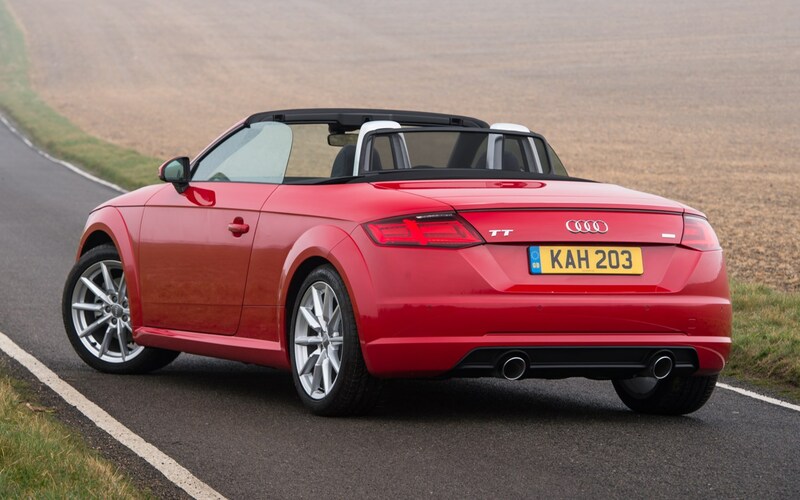 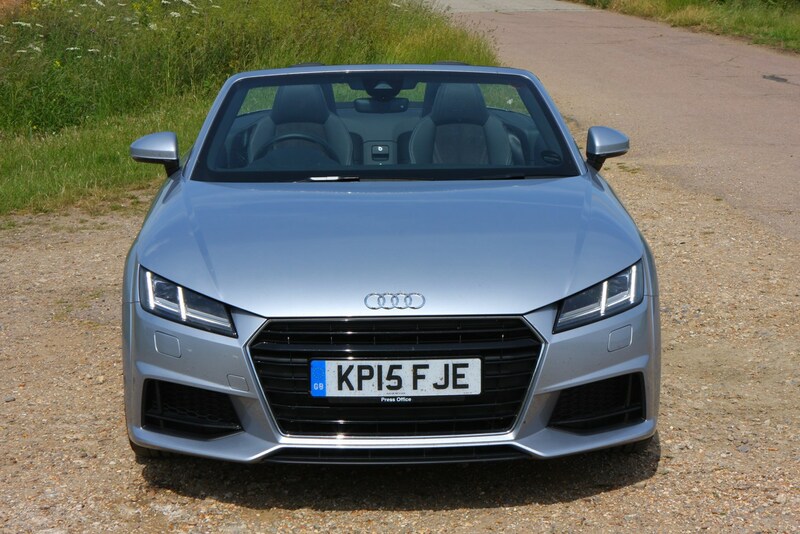 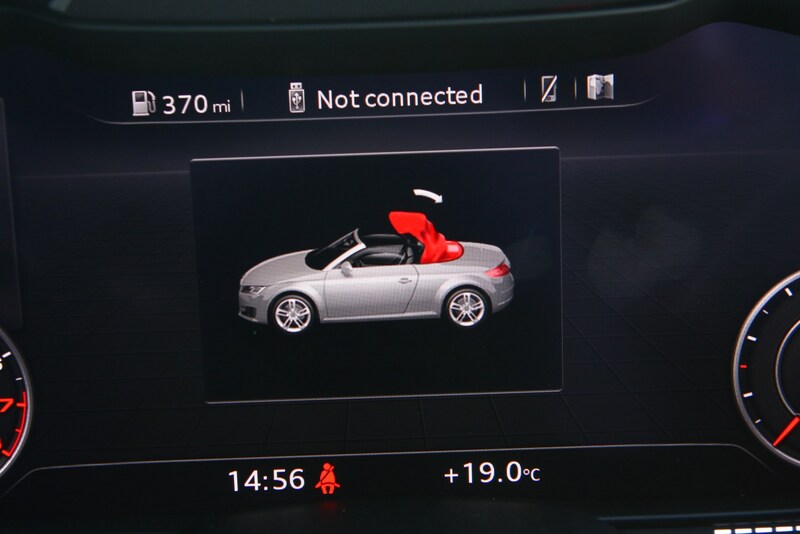 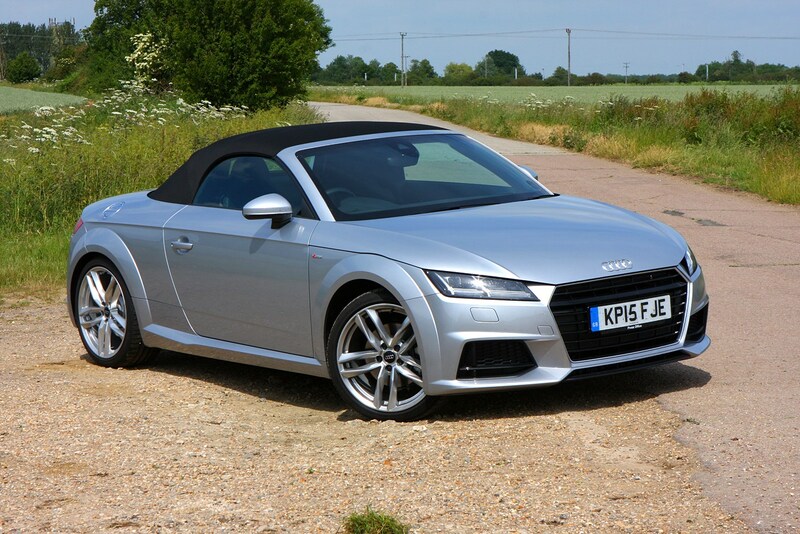 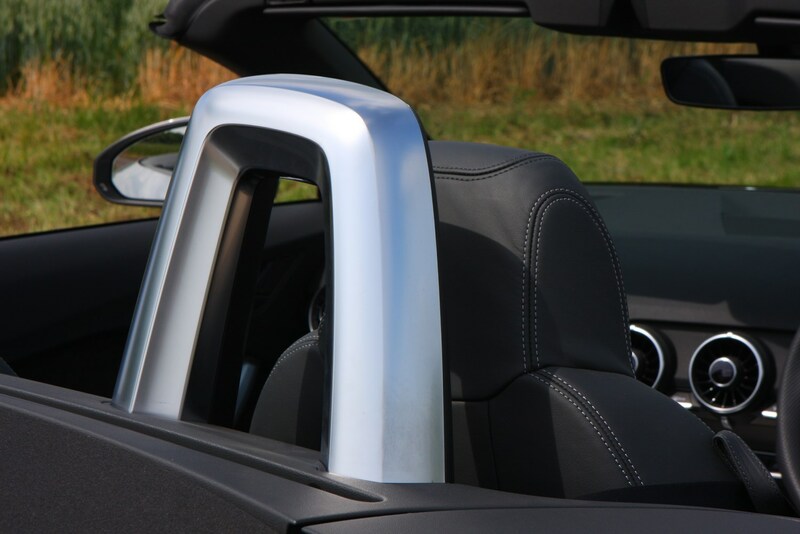 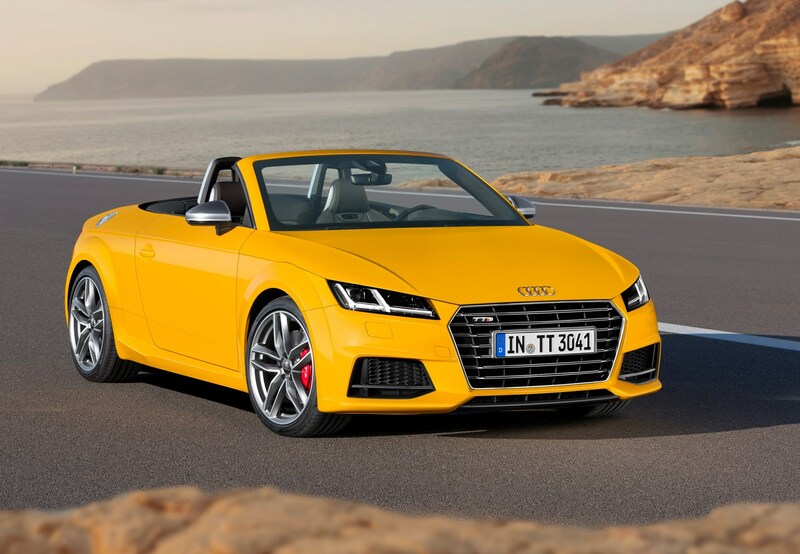 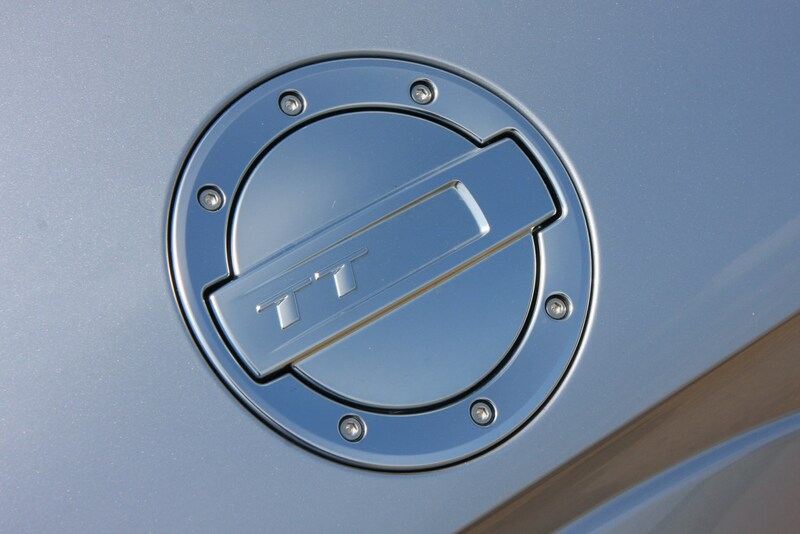 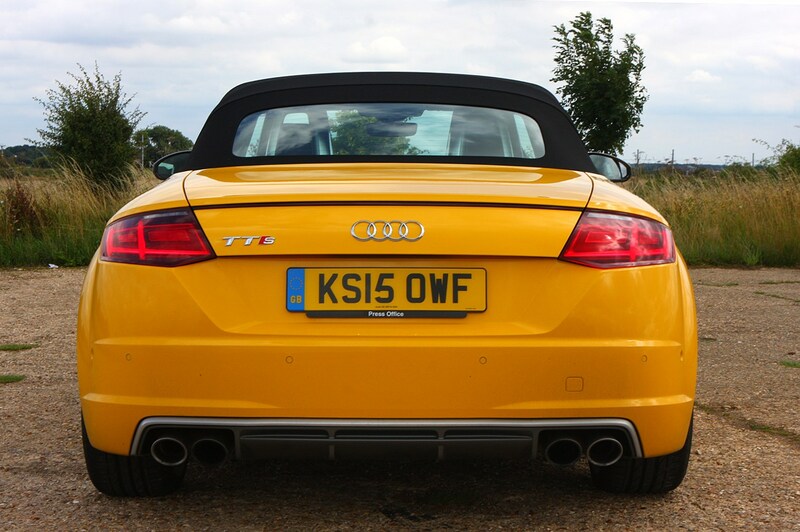 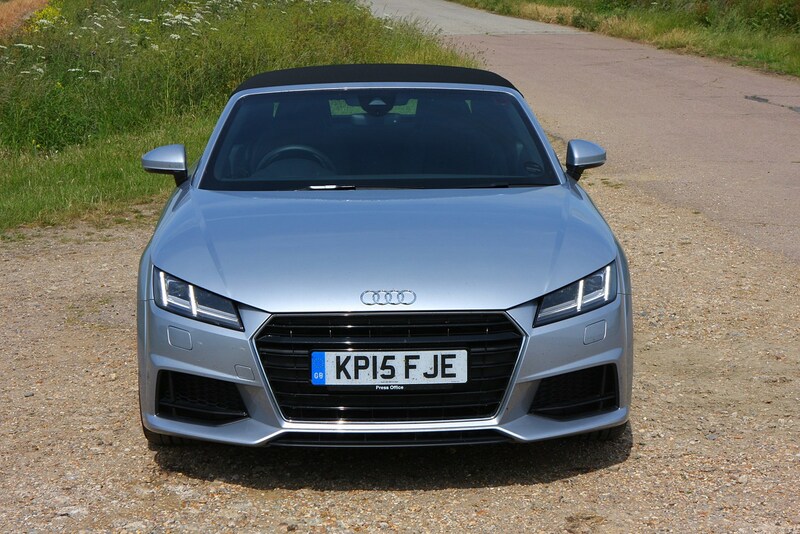 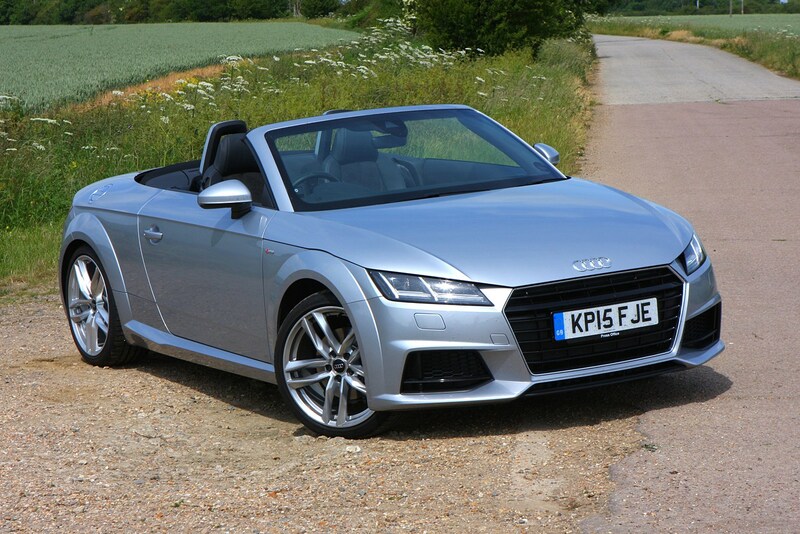 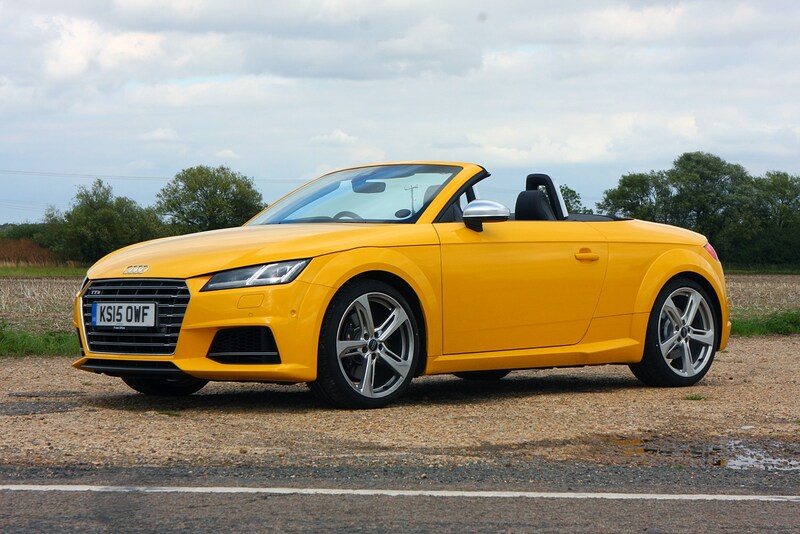 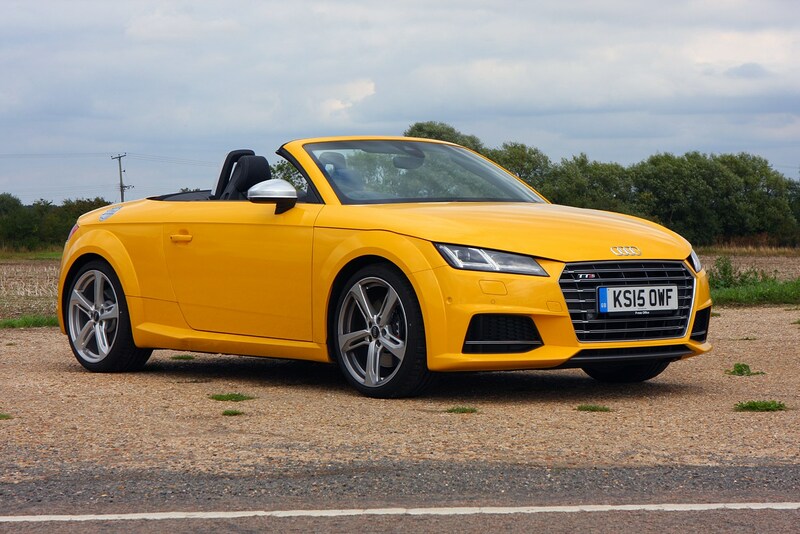 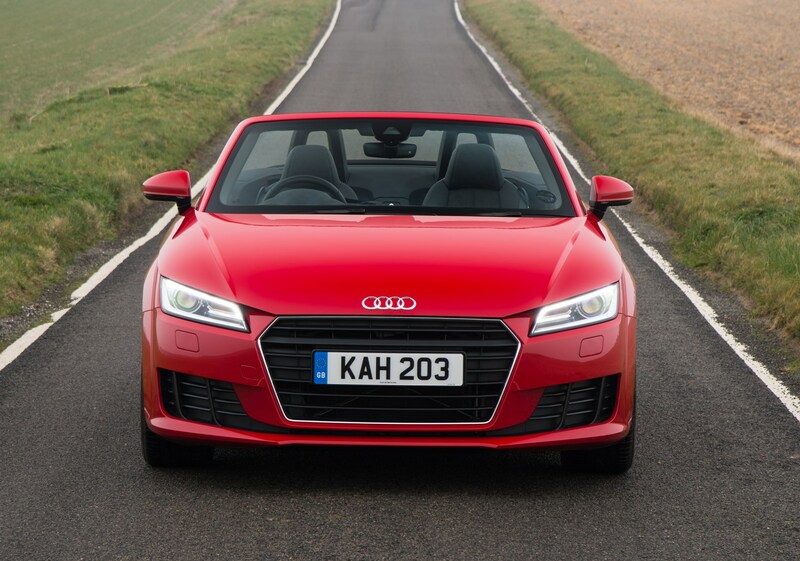 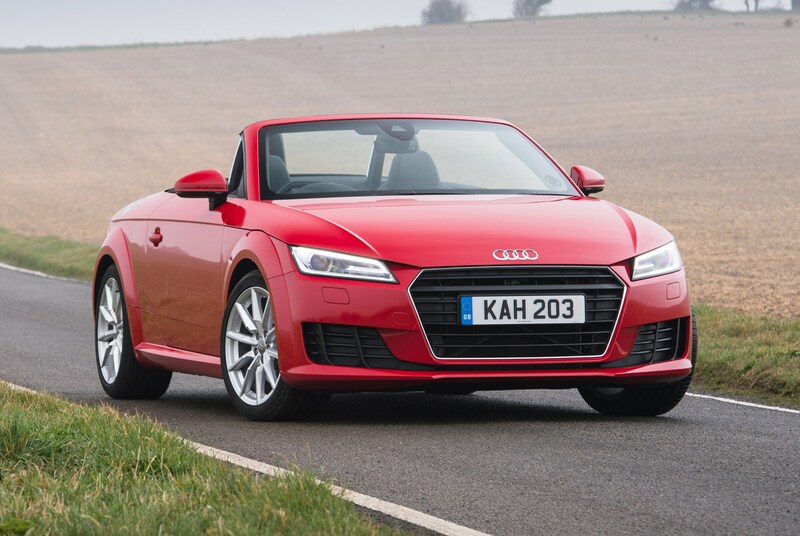 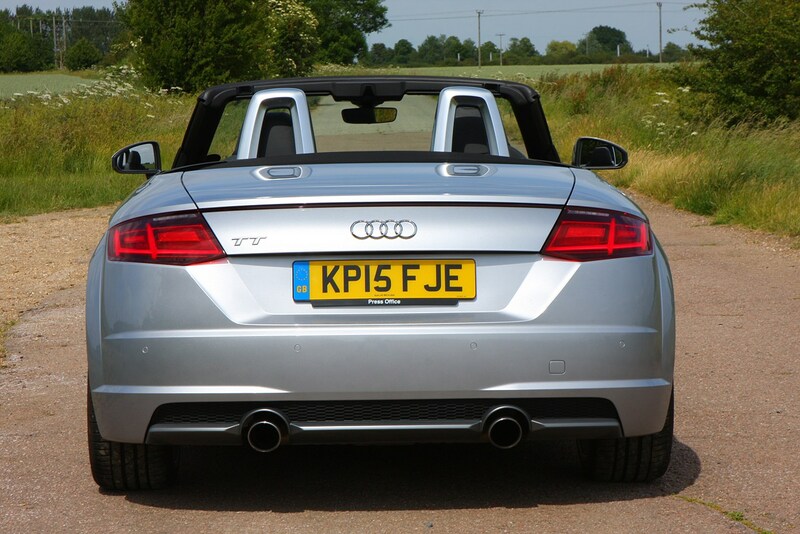 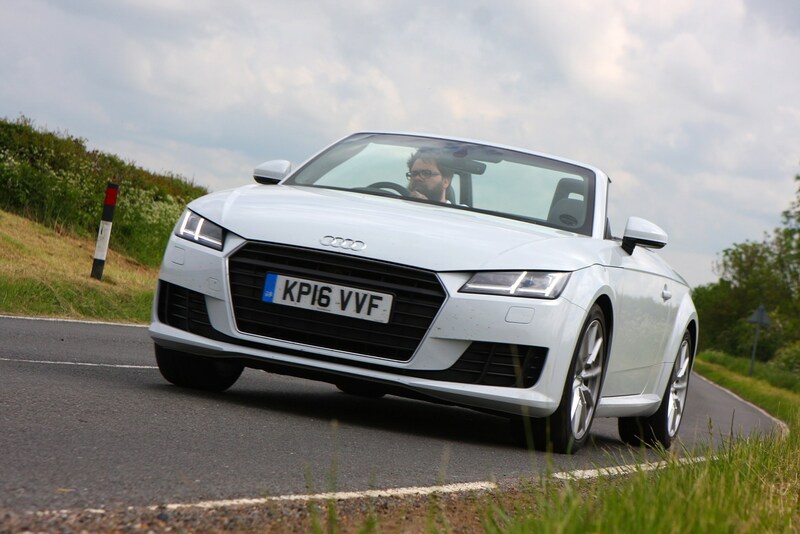 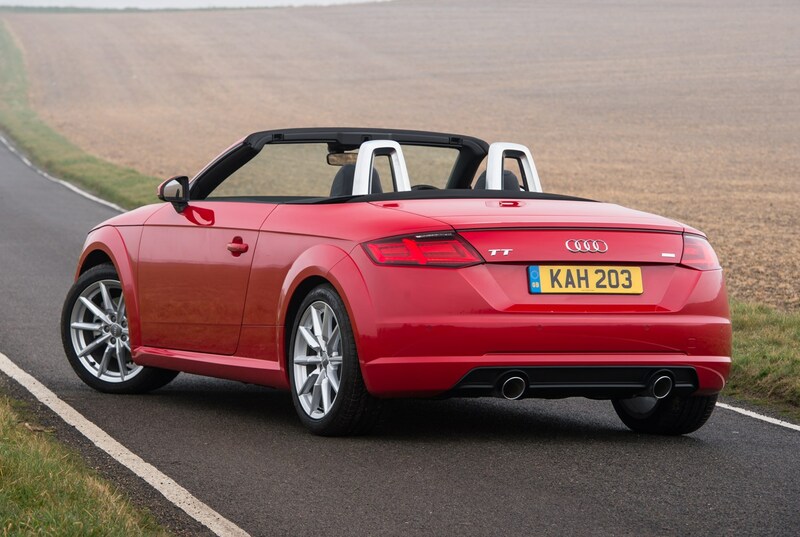 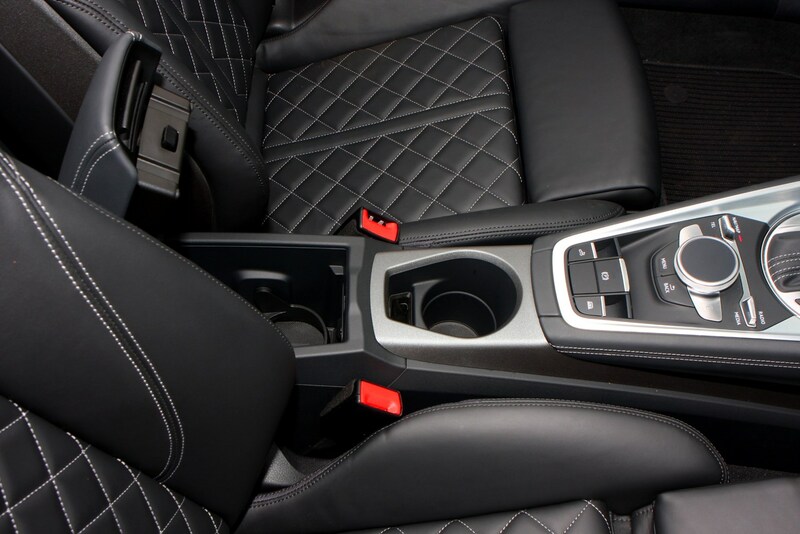 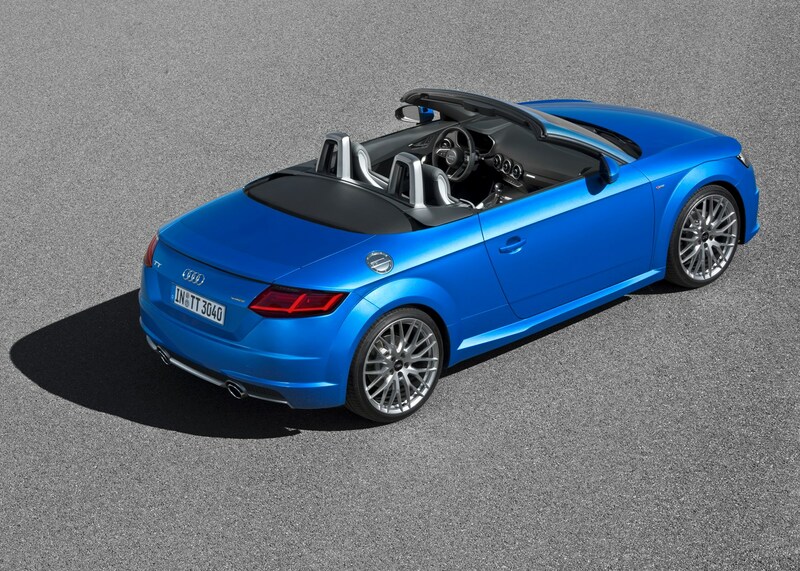 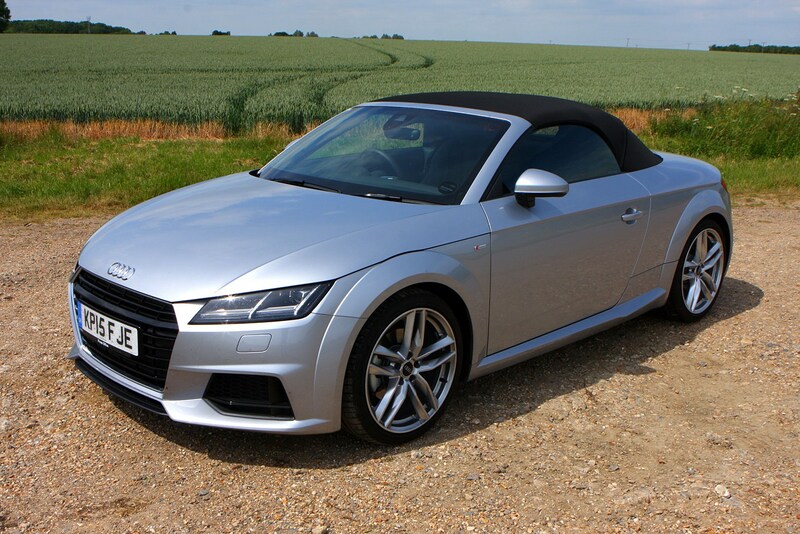 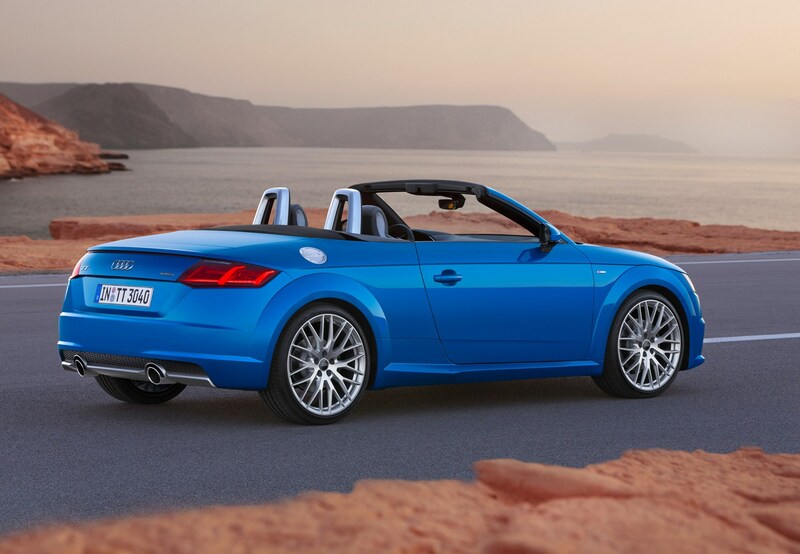 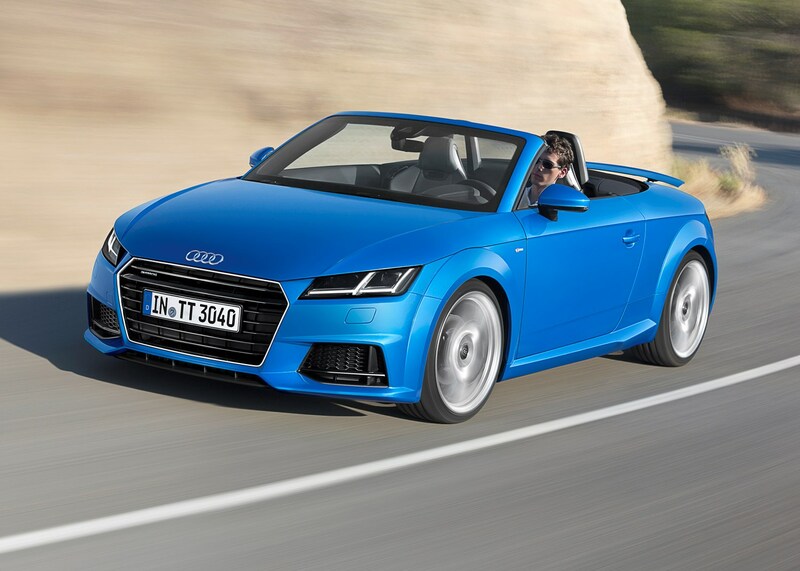 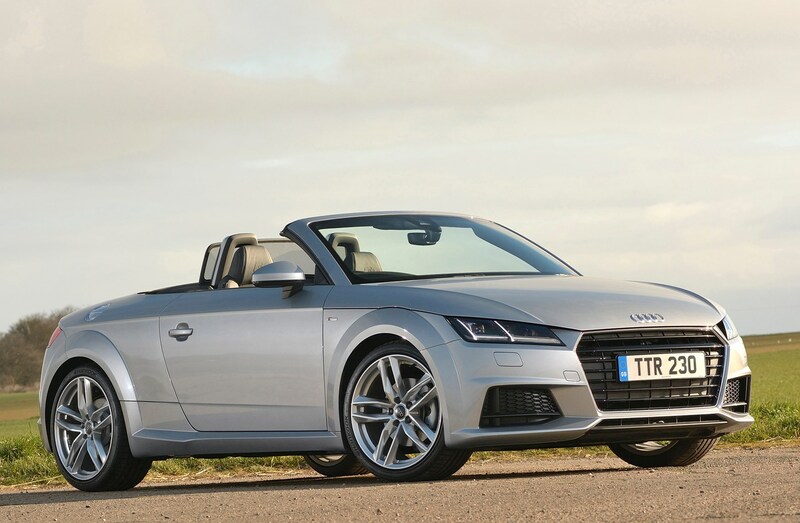 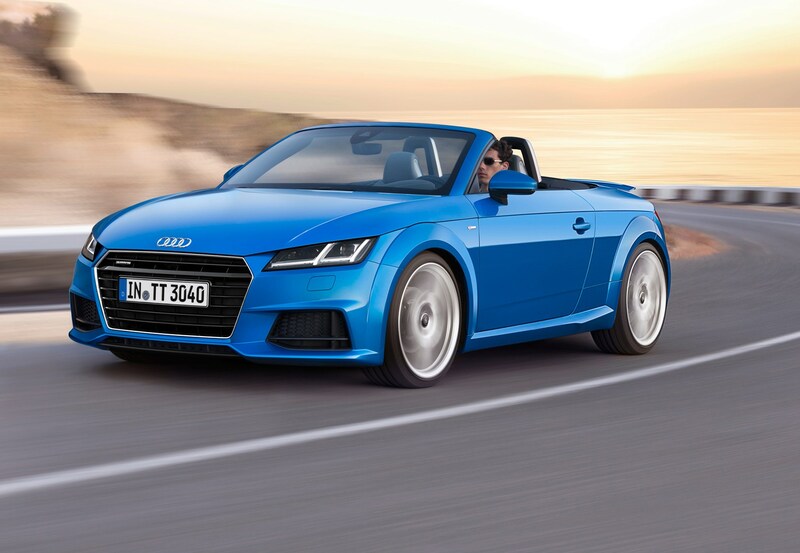 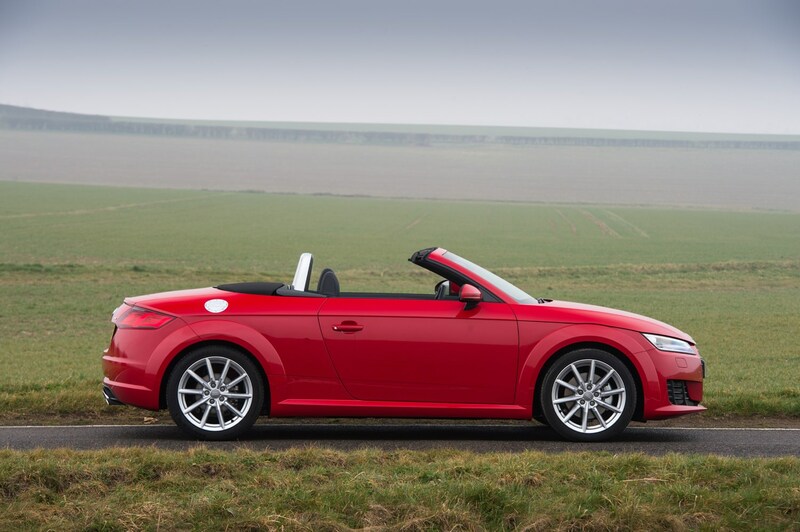 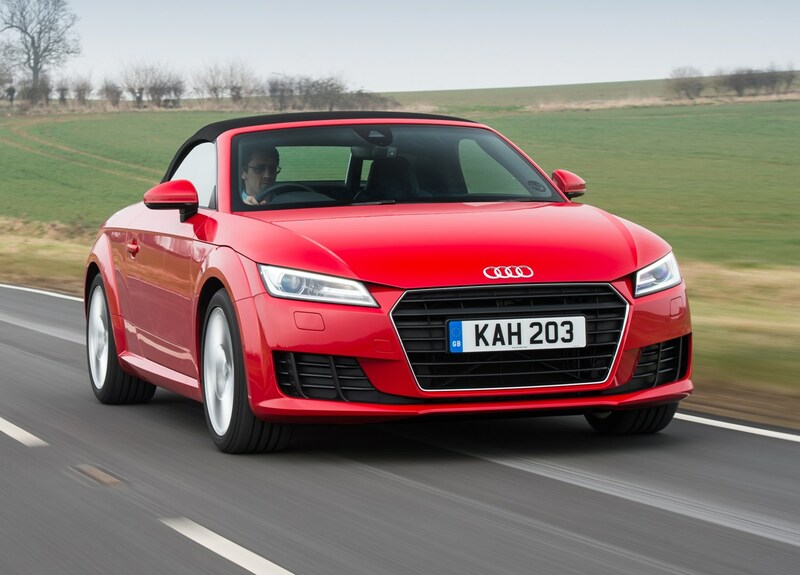 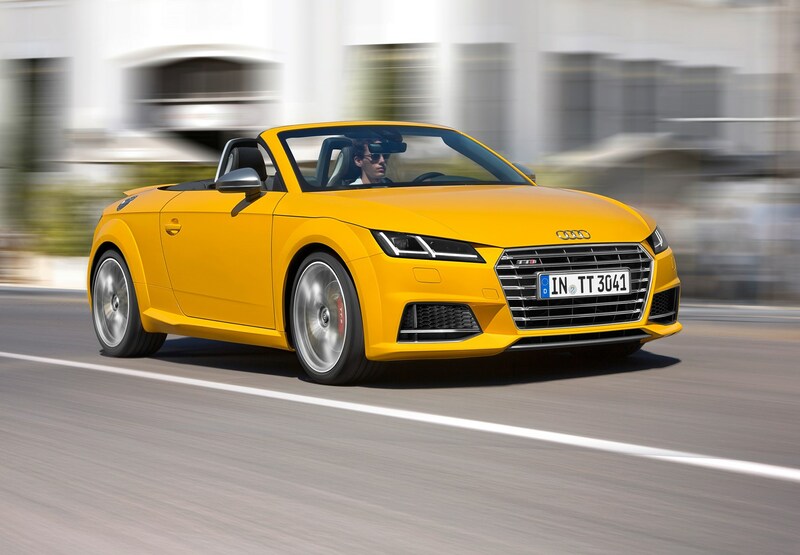 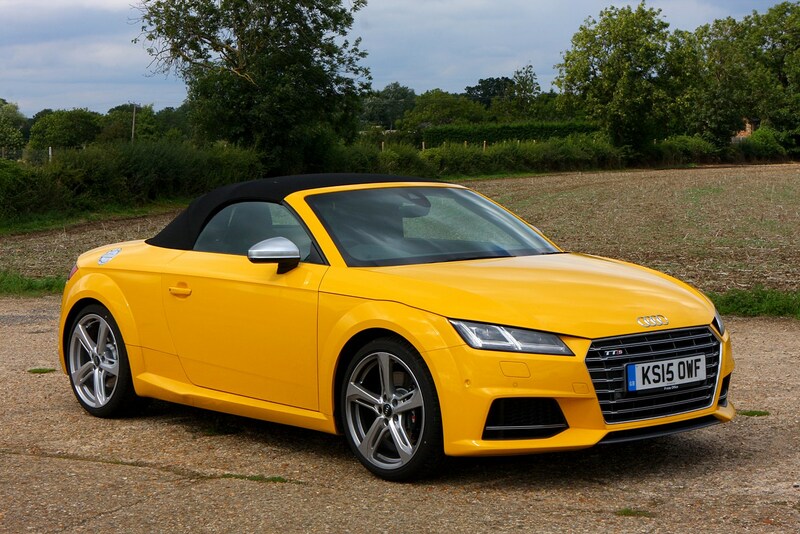 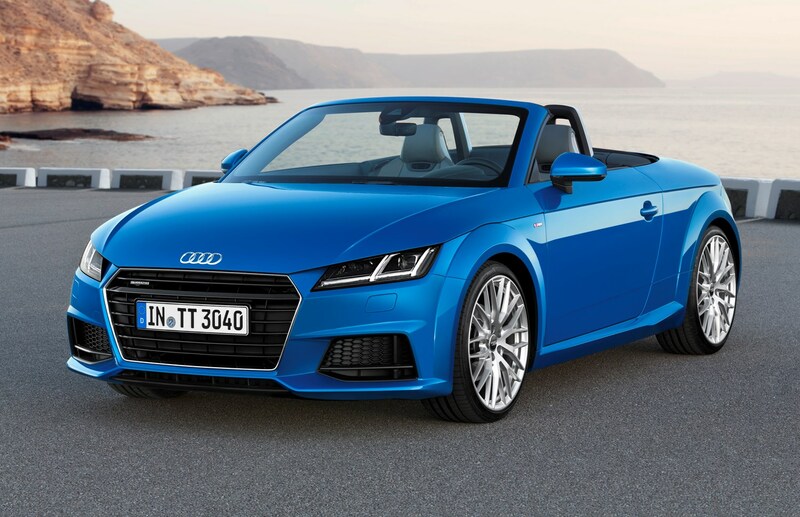 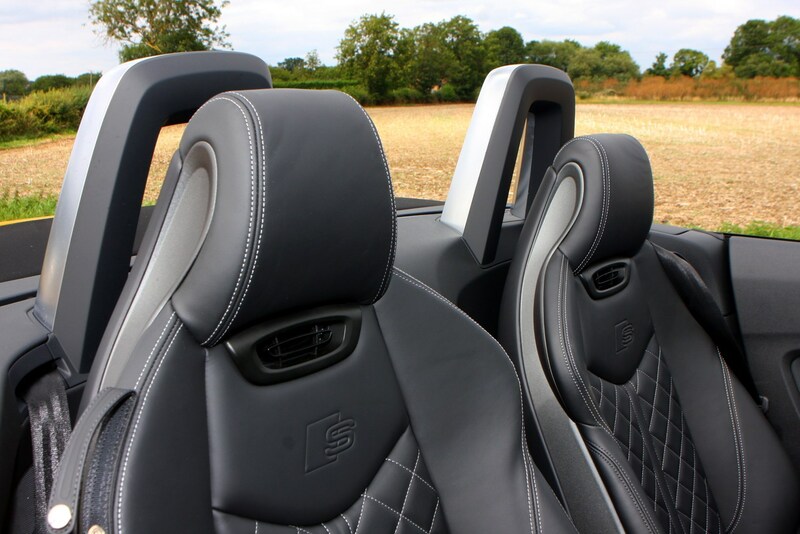 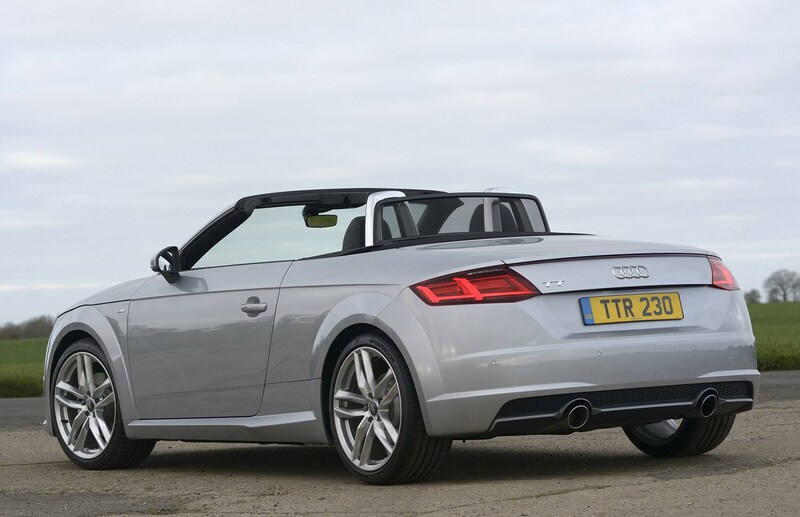 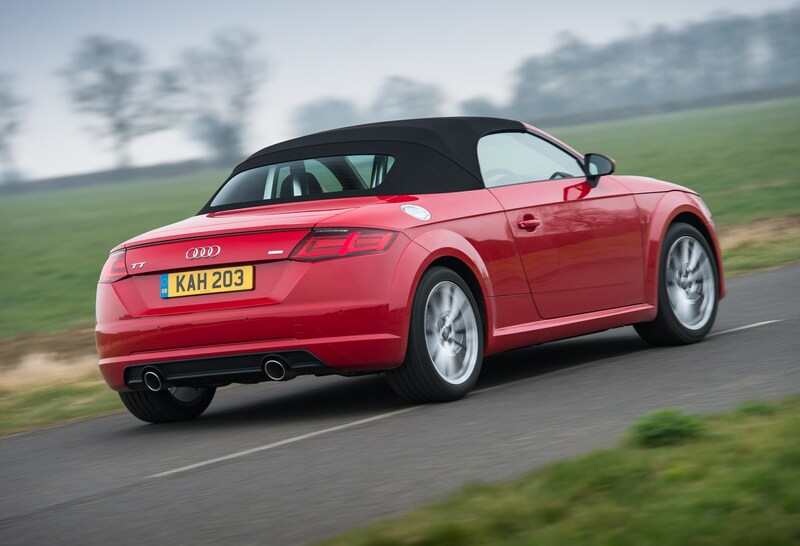 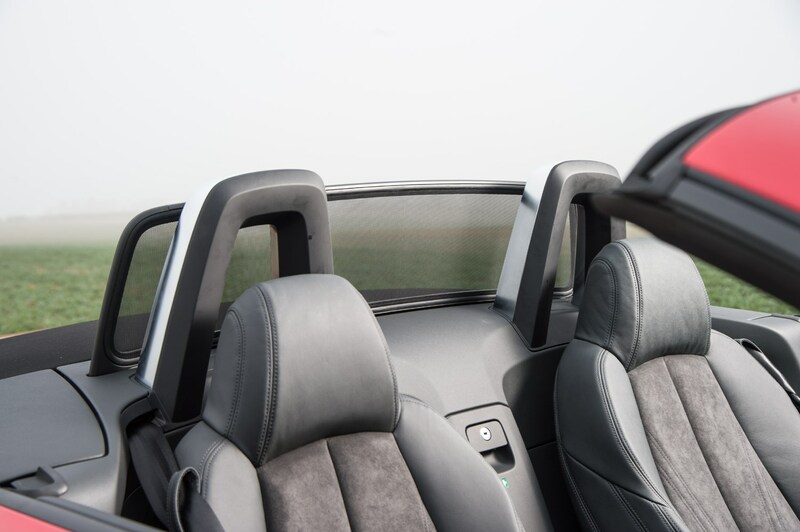 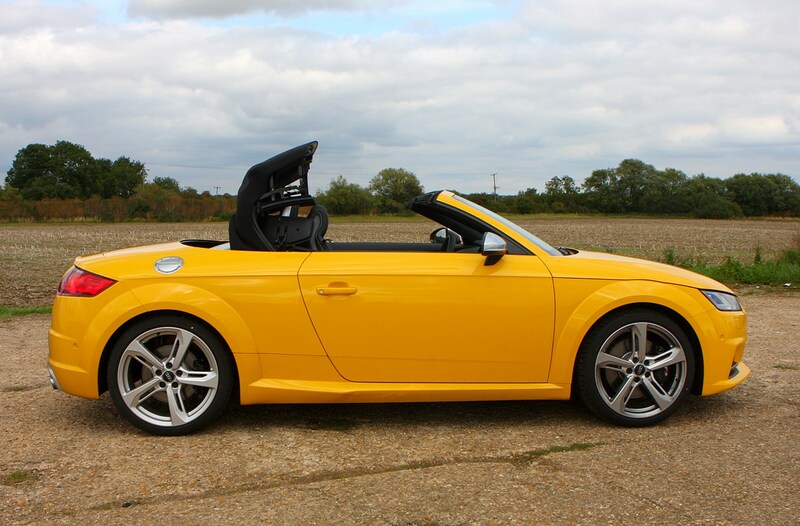 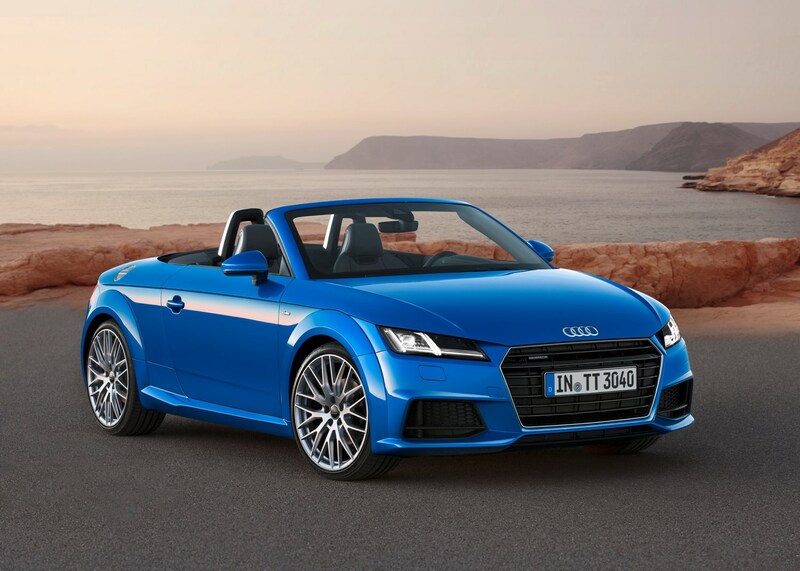 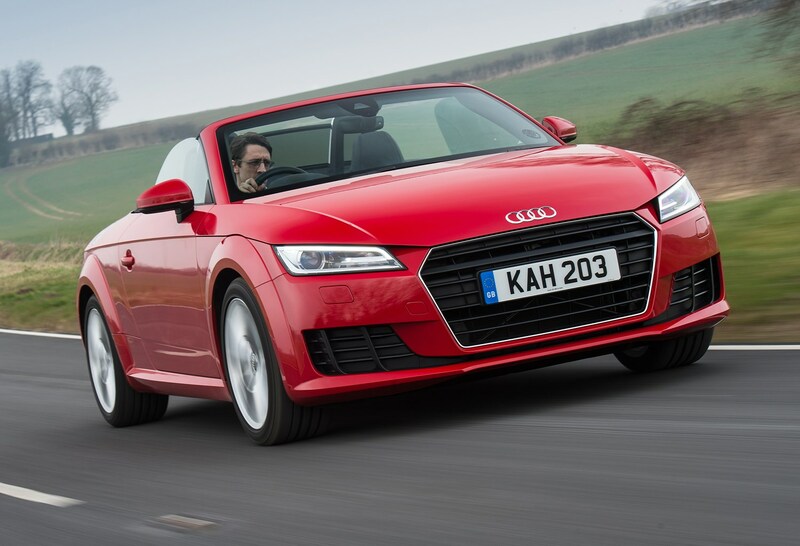 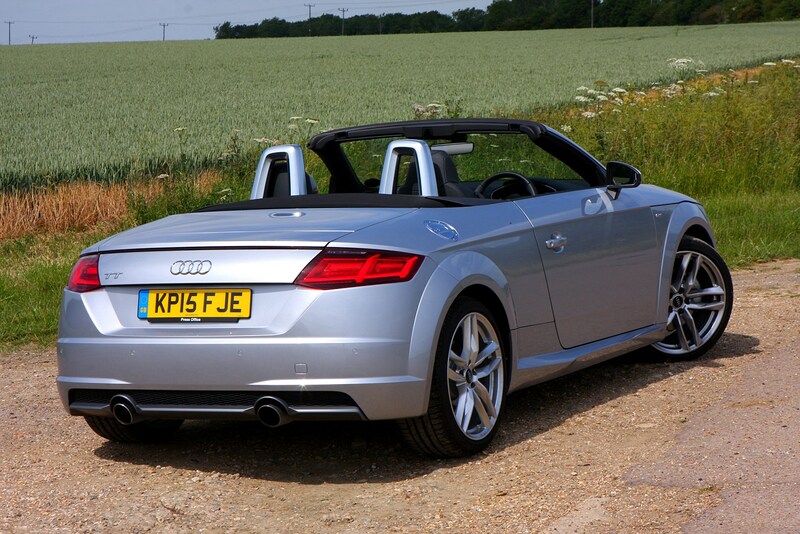 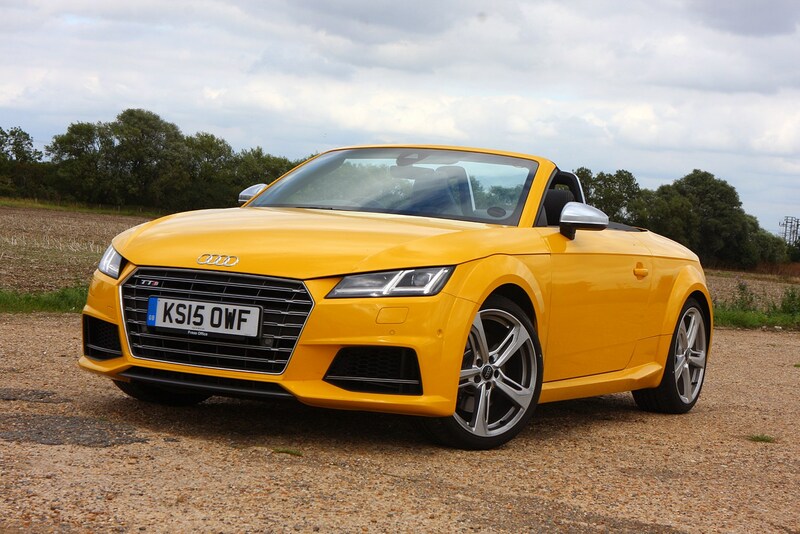 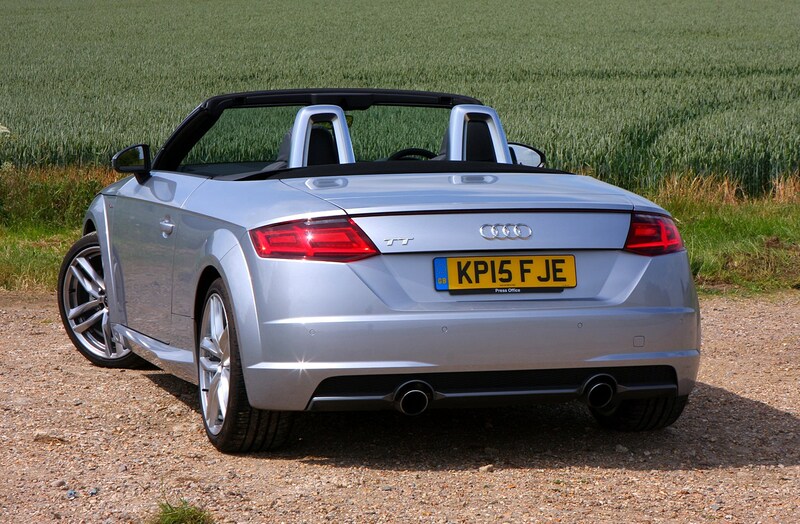 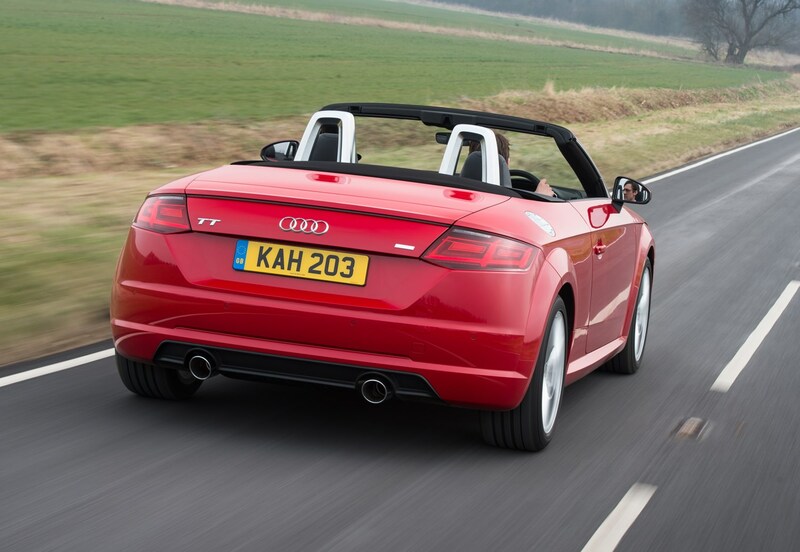 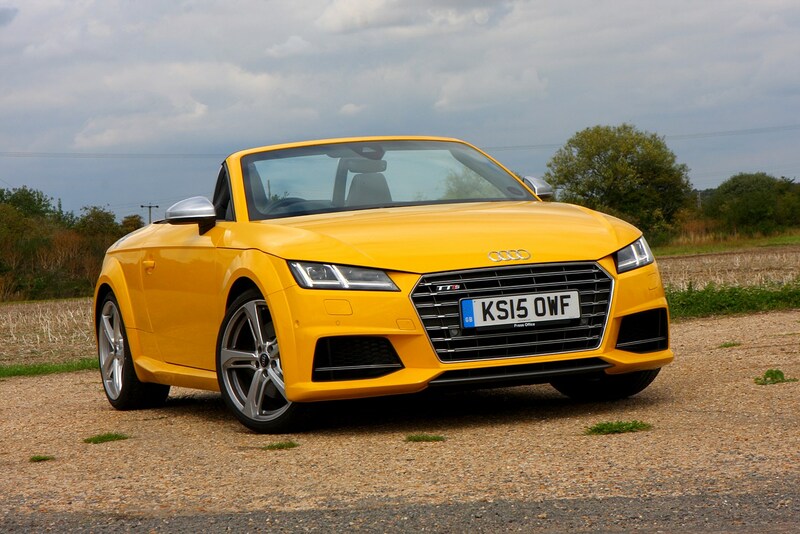 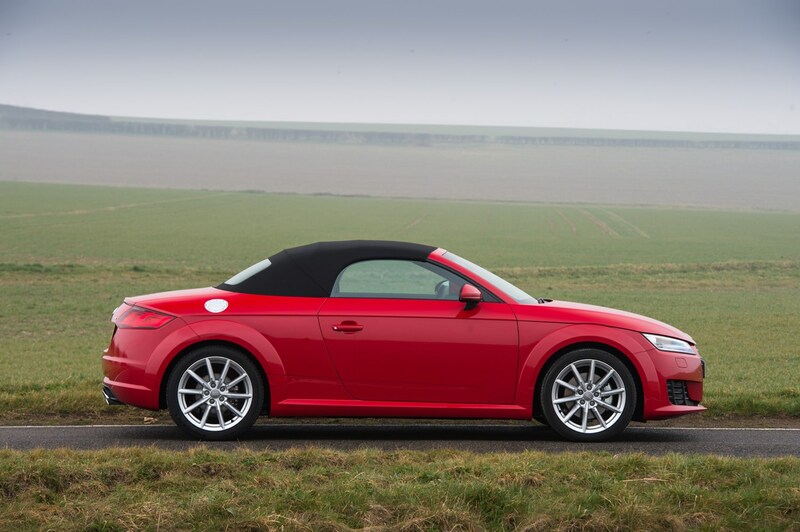 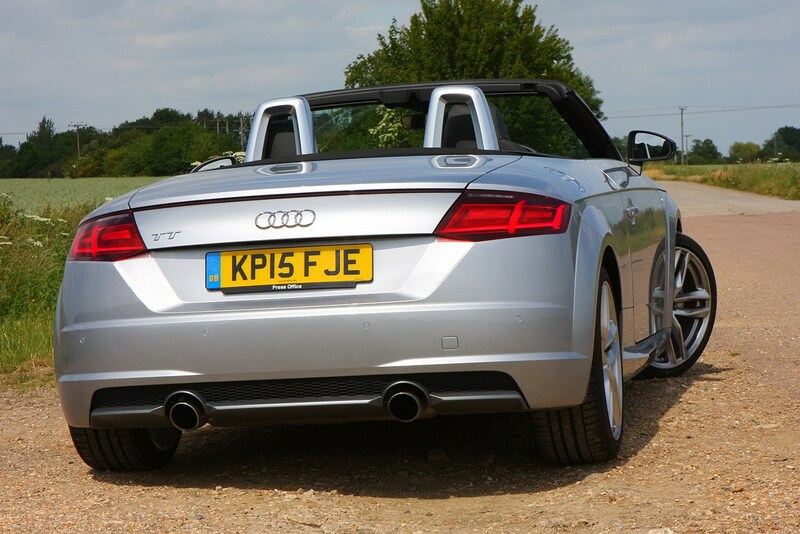 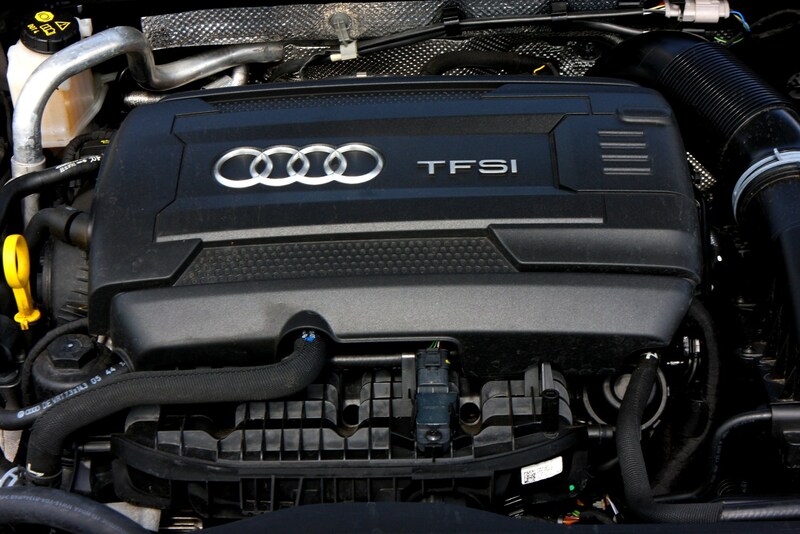 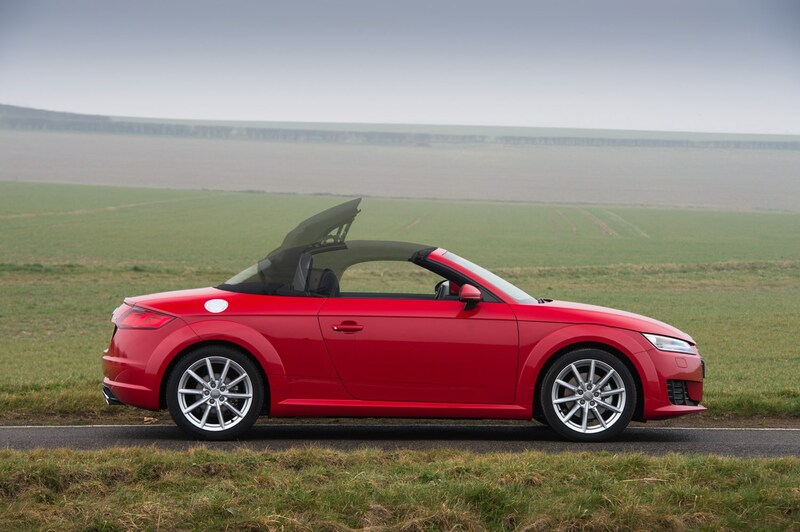 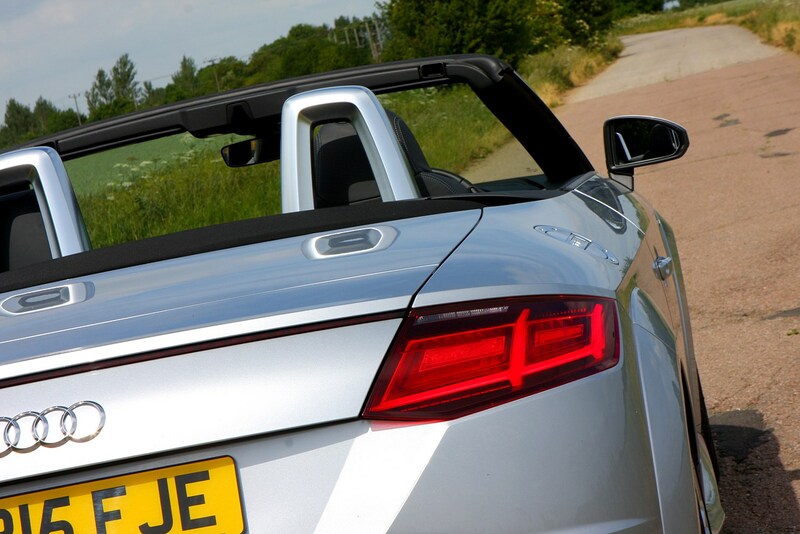 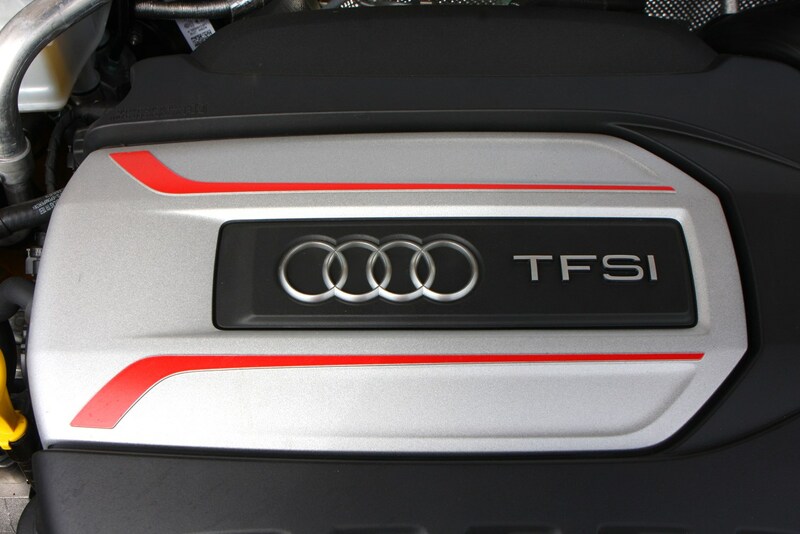 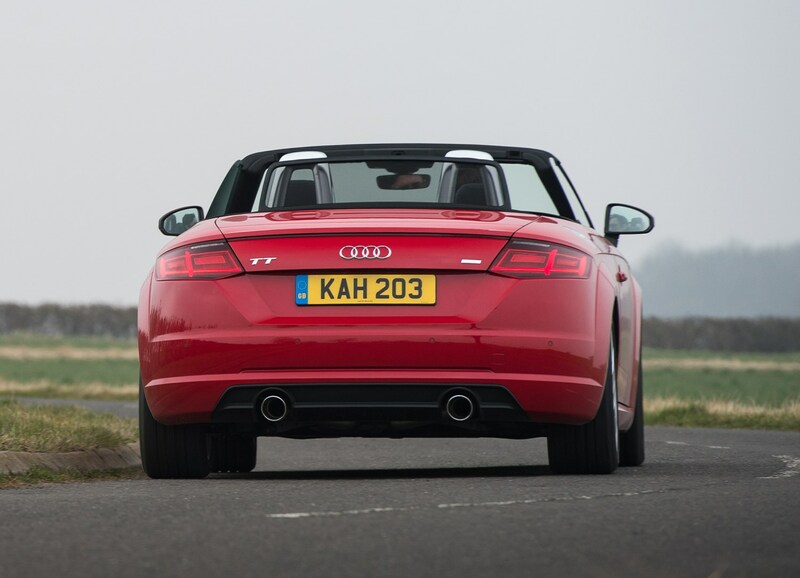 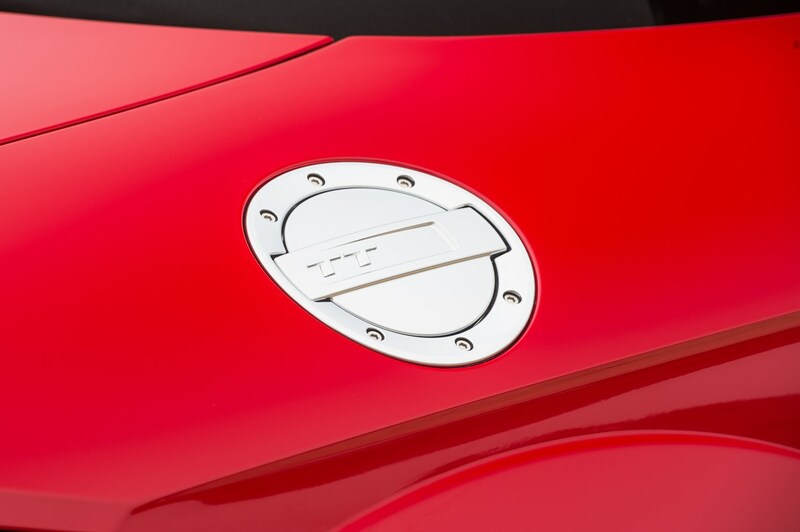 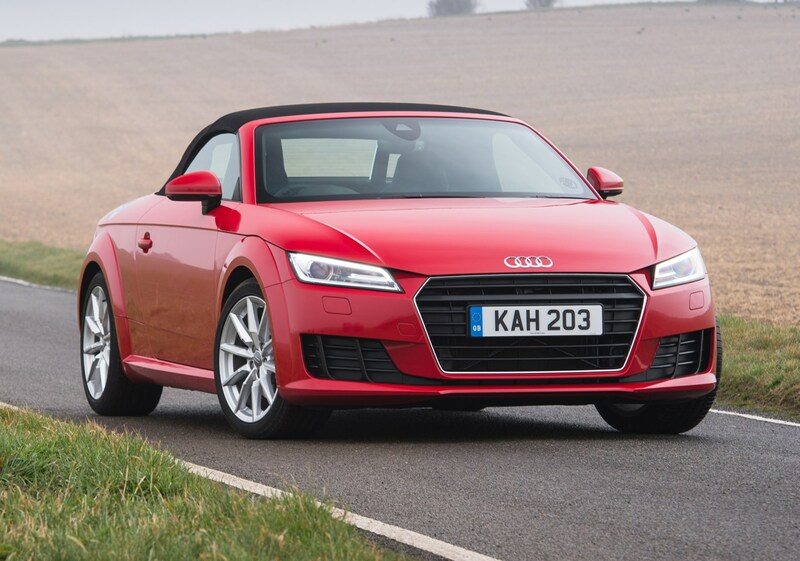 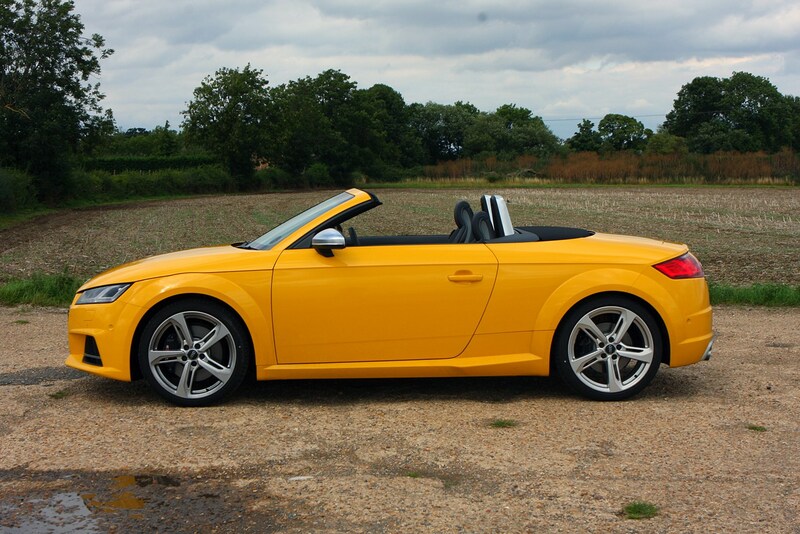 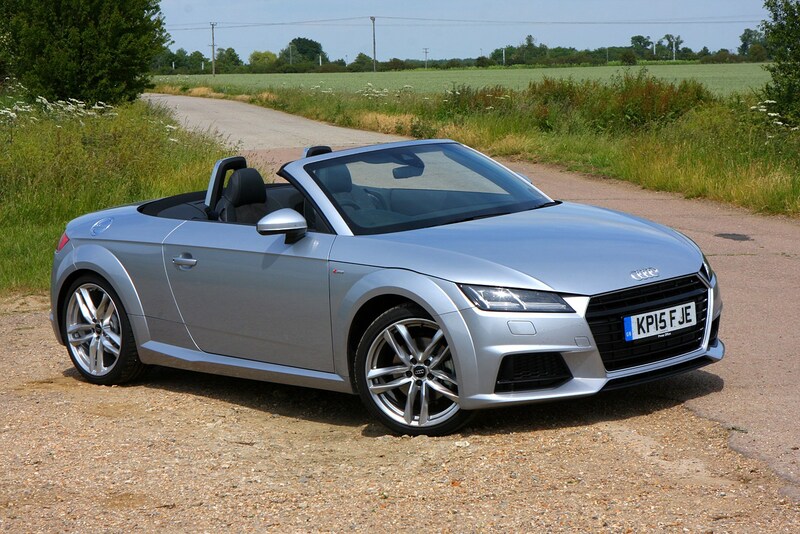 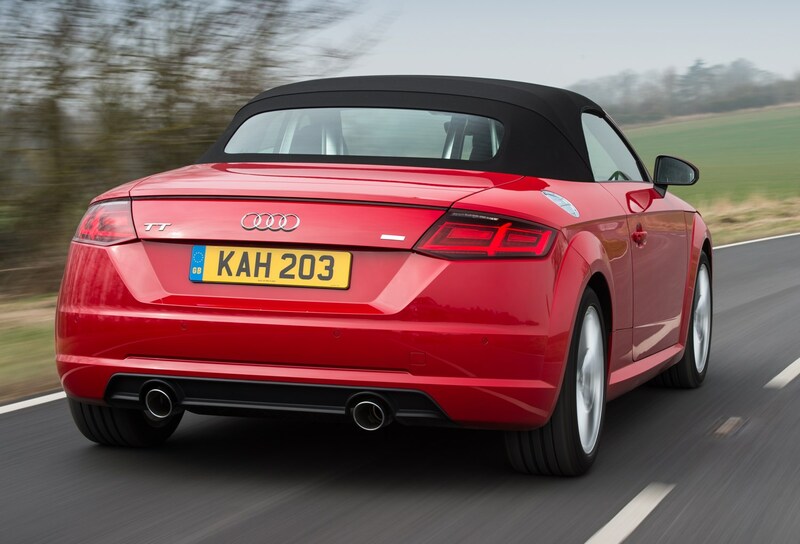 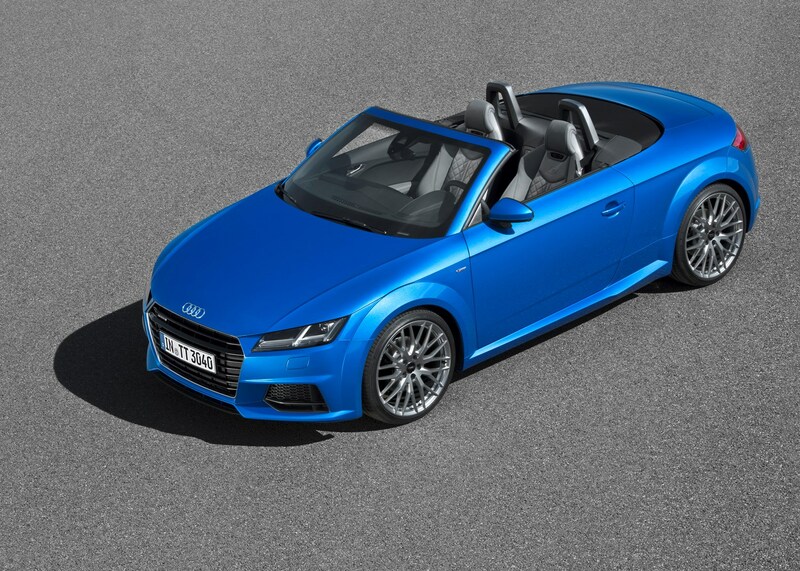 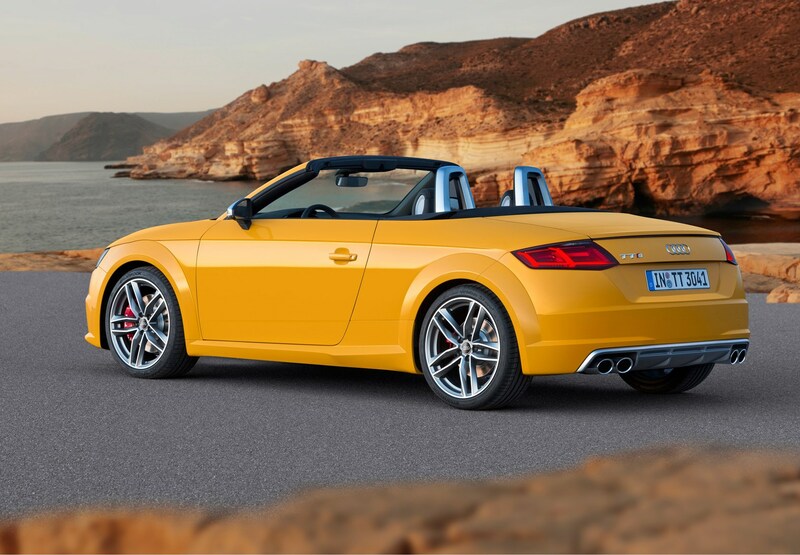 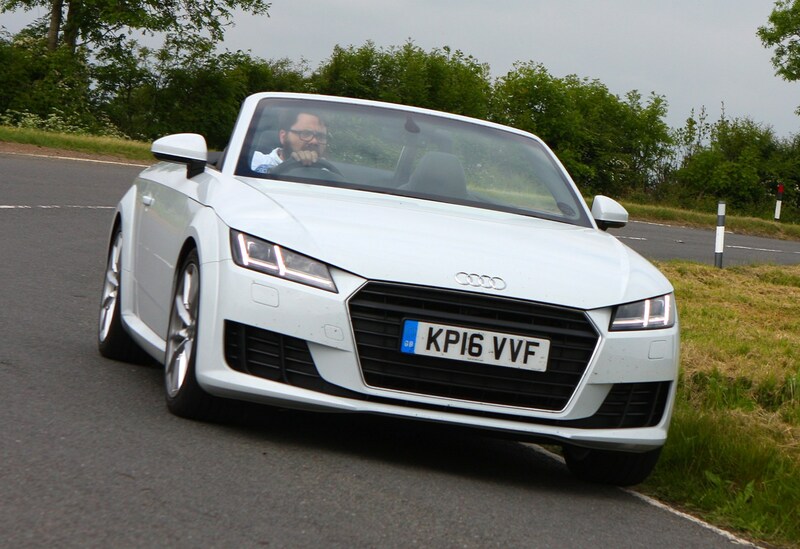 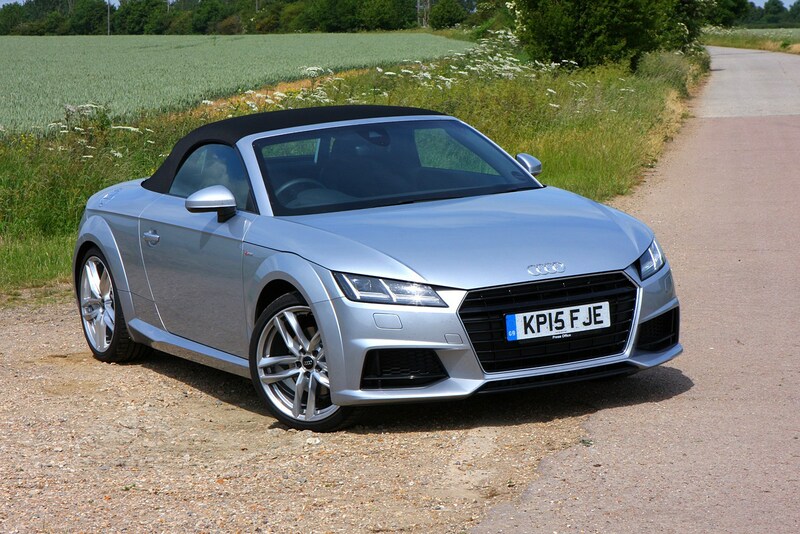 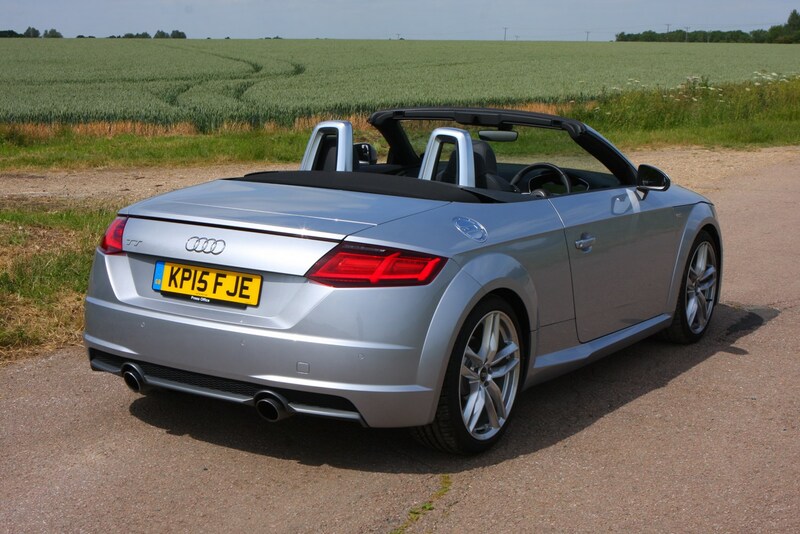 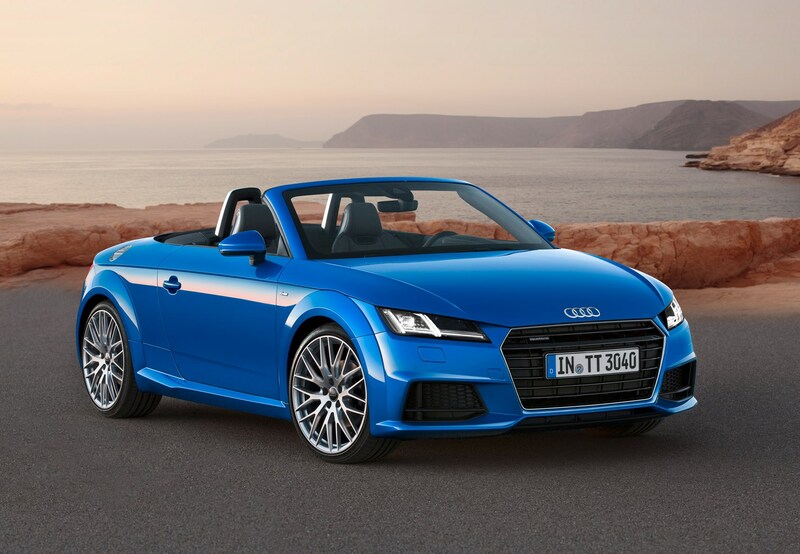 Otherwise there’s not much that can go wrong specification wise, as the TT Roadster comes well-equipped from the factory. 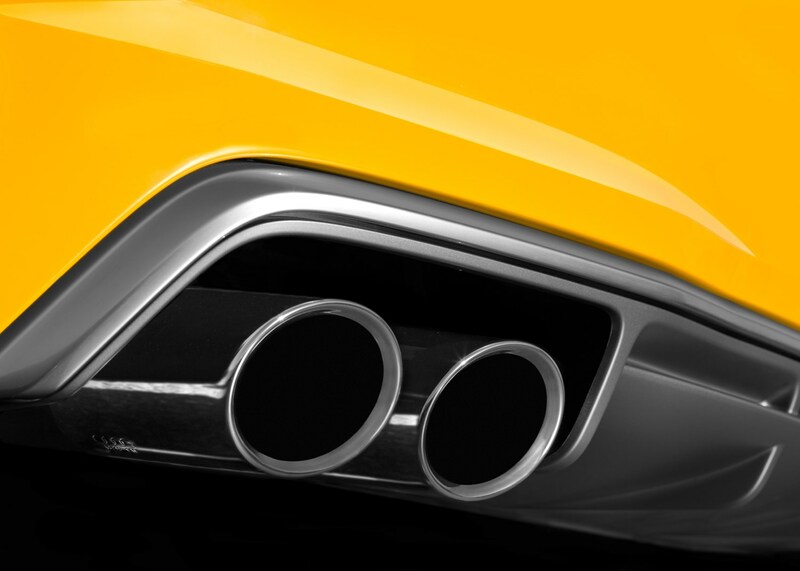 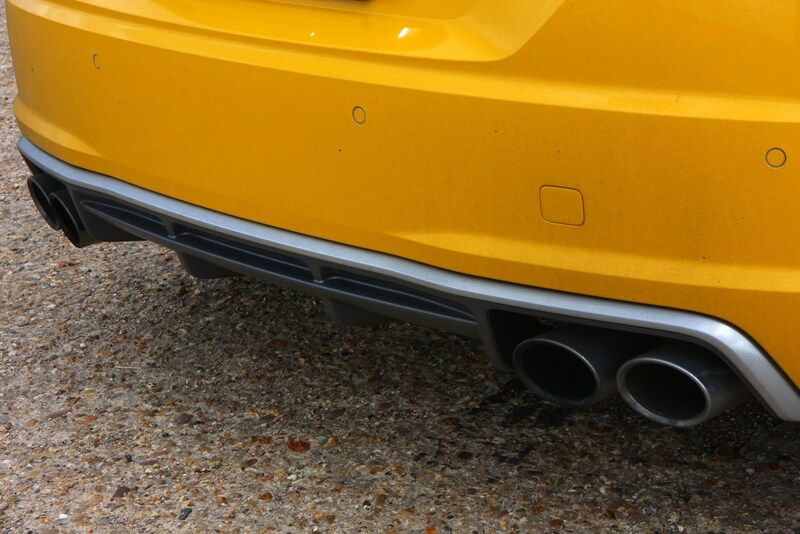 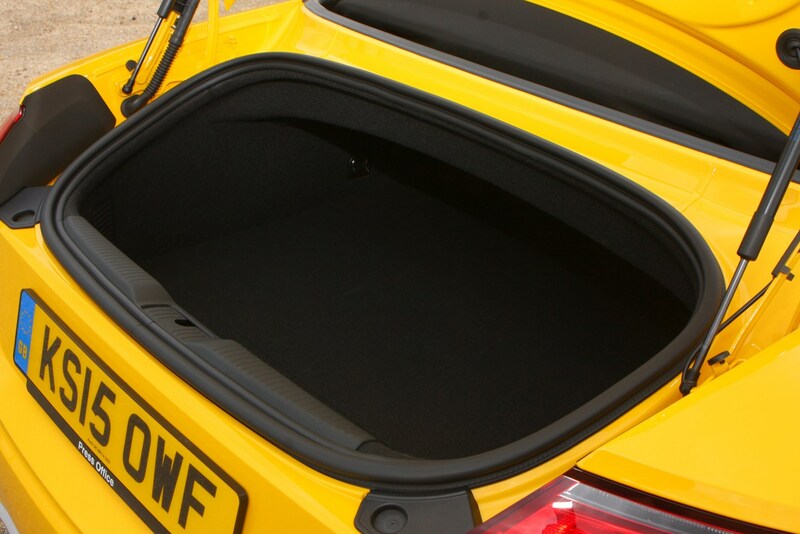 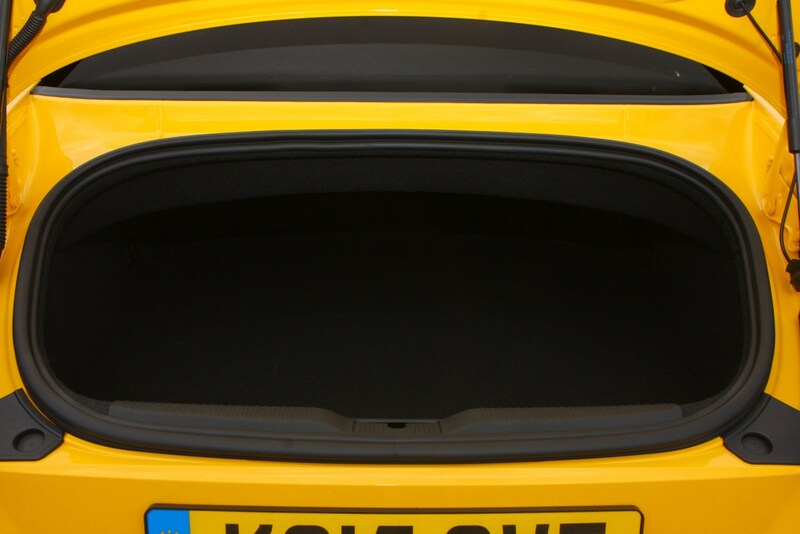 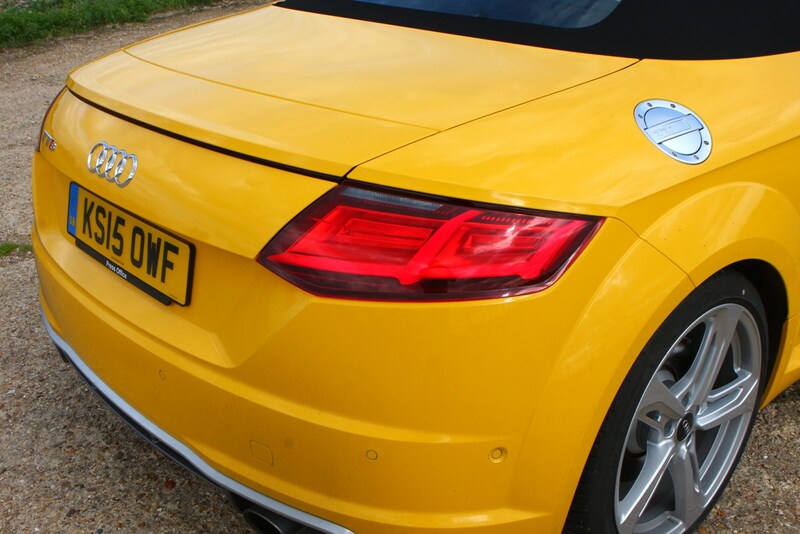 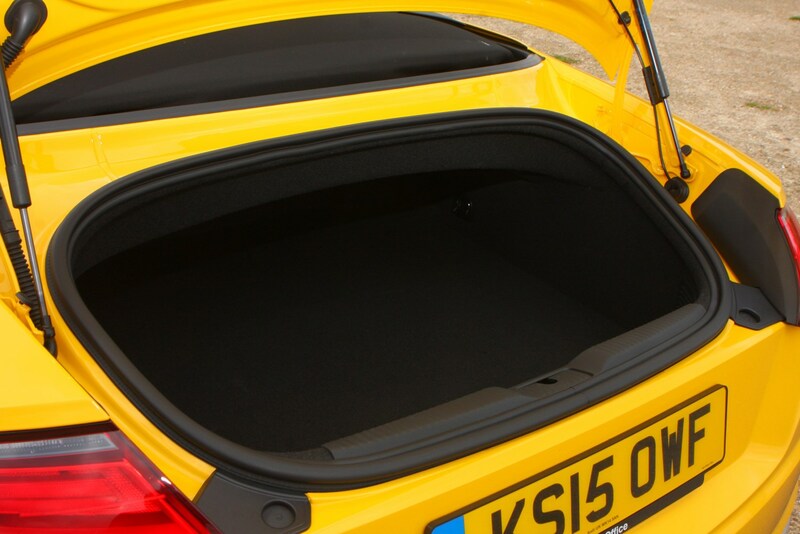 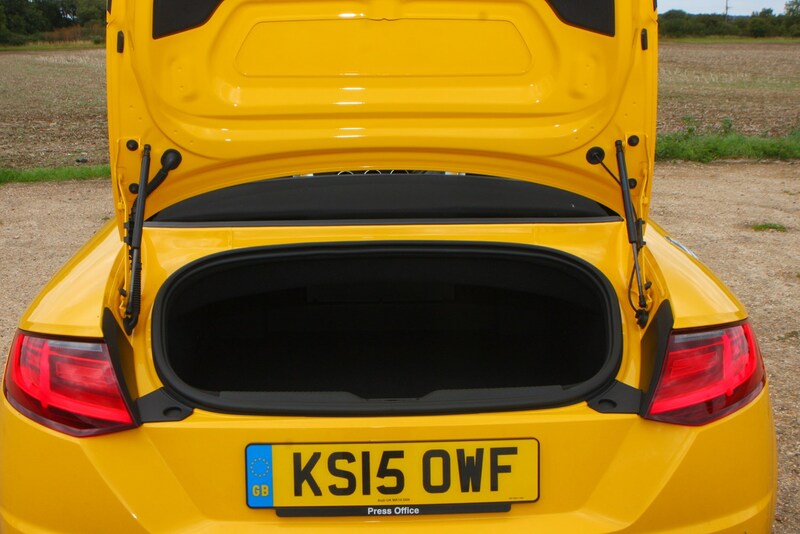 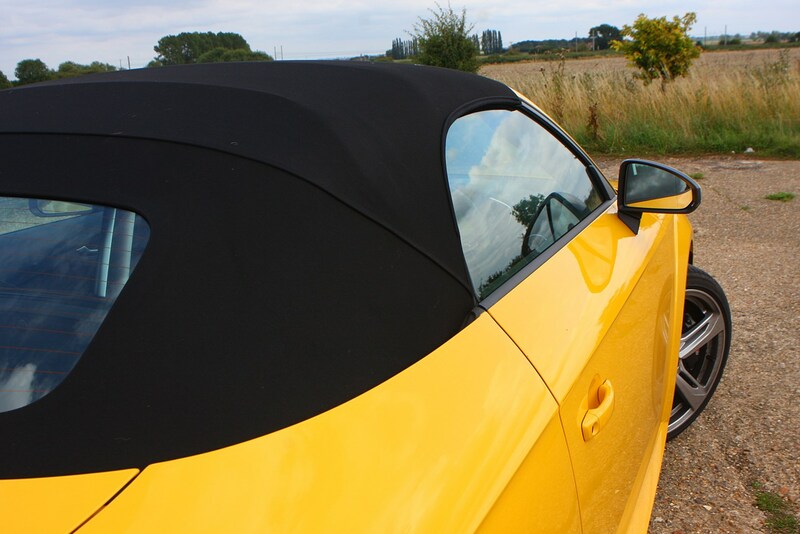 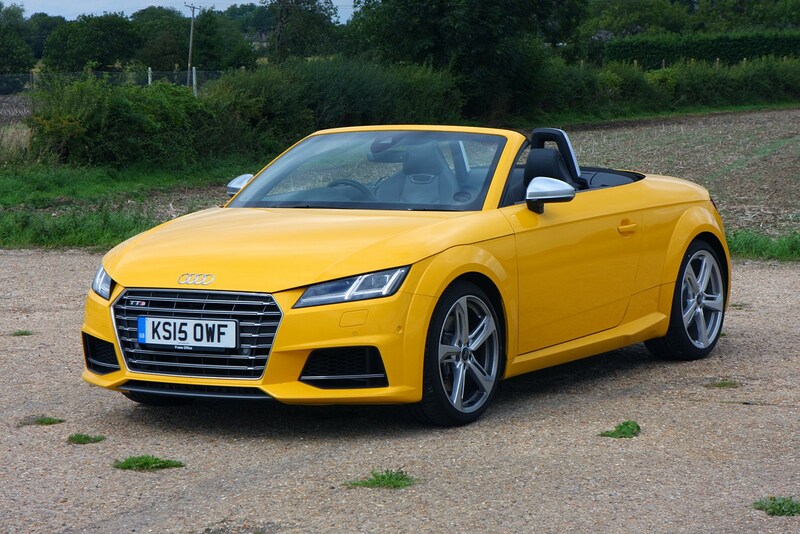 Do choose your colour carefully though, especially if buying a TTS as while the yellow may stand out to you, to potential buyers further down the line it may be just the reason to choose another used example. 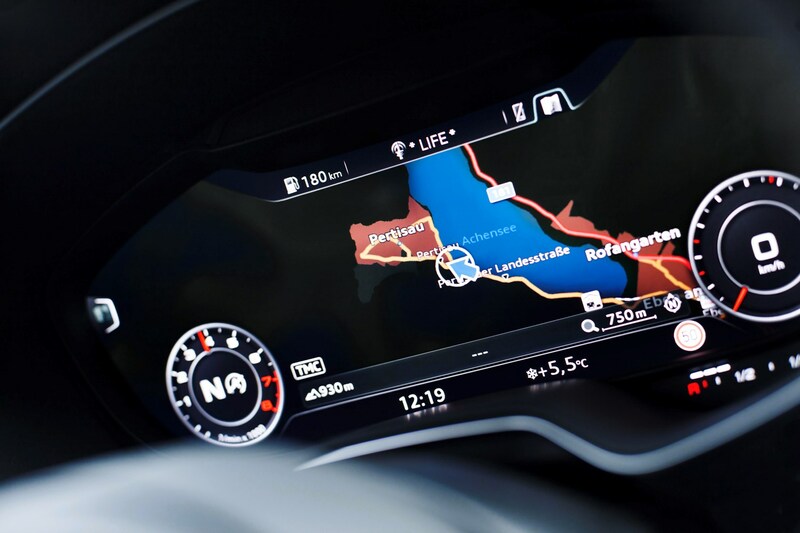 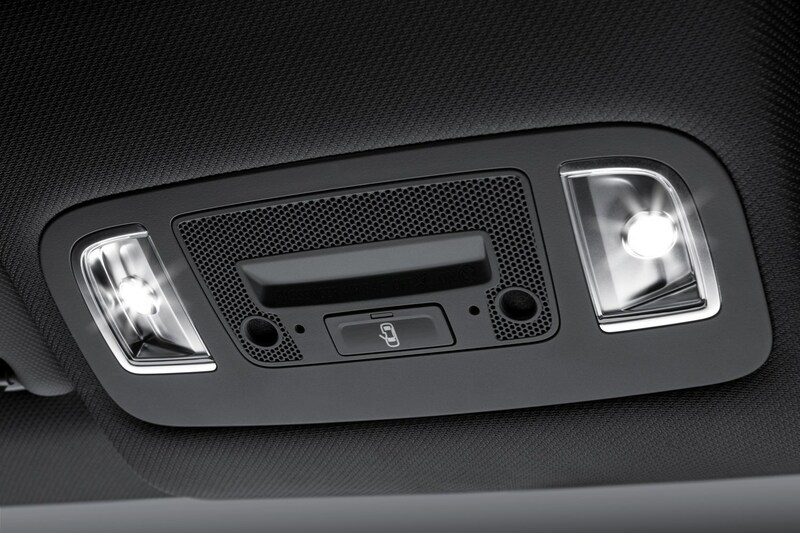 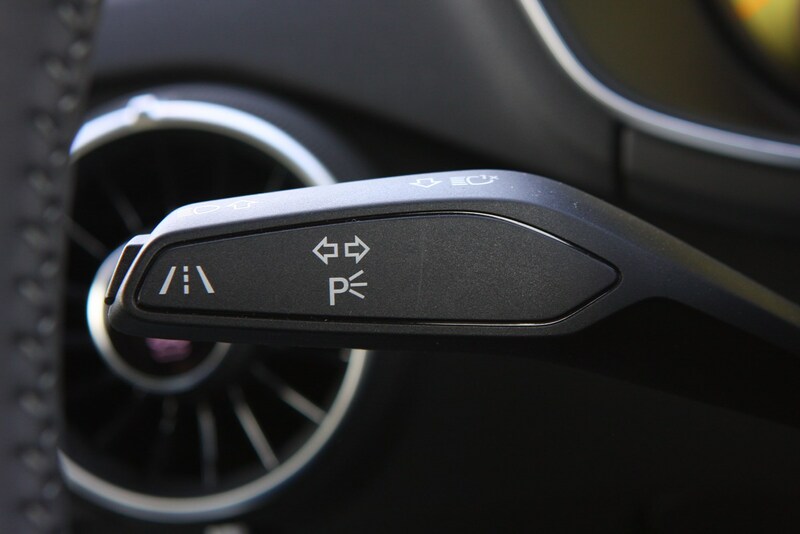 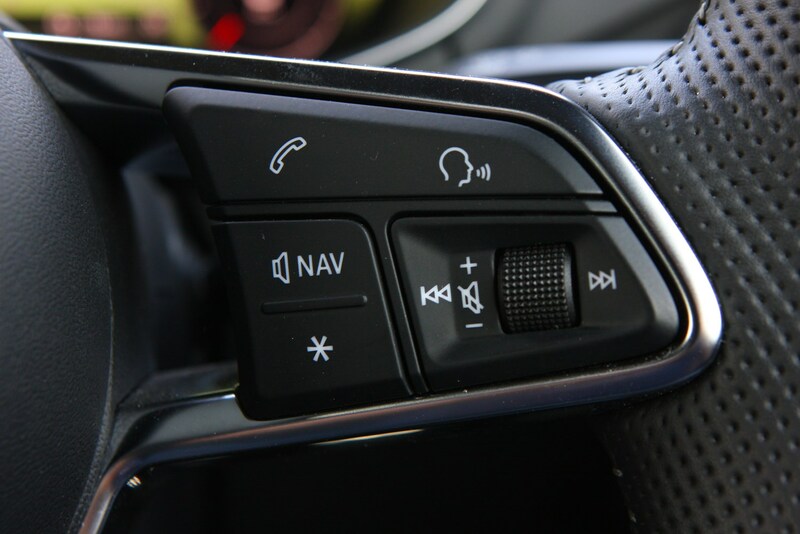 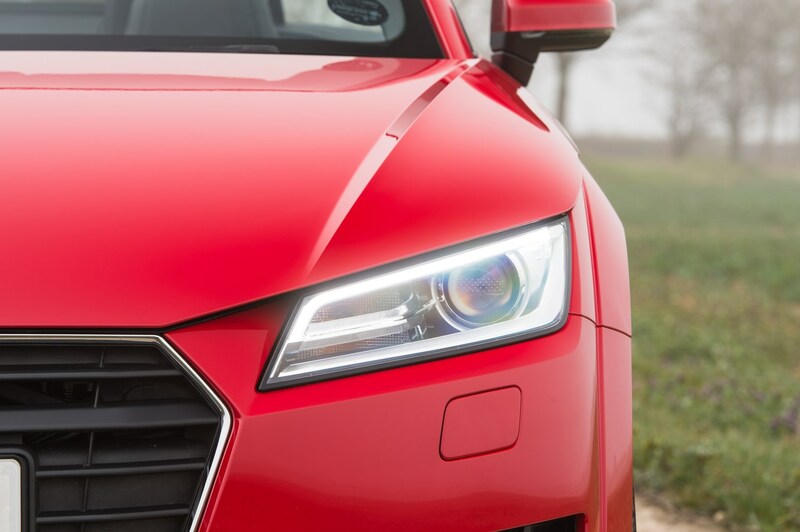 You won’t get all of your investment back, but the adaptive LED headlights display witchcraft-levels of ability, and the Bang & Olufsen stereo upgrade sounds fantastic. 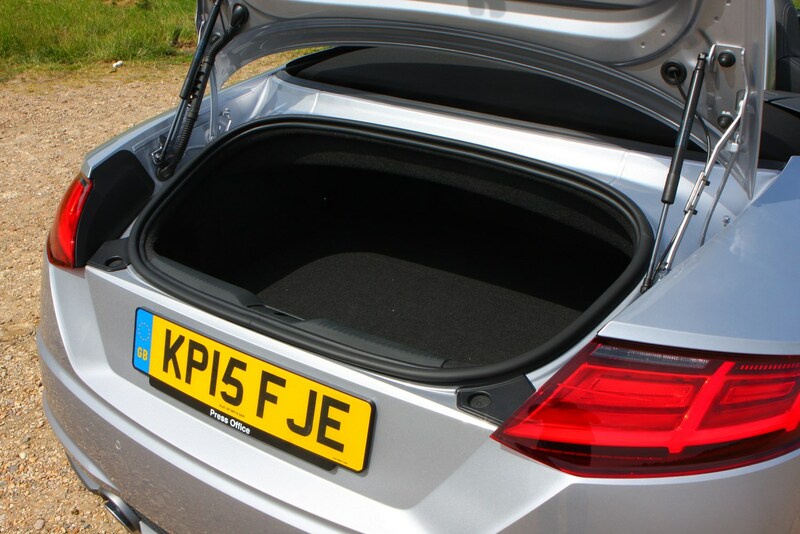 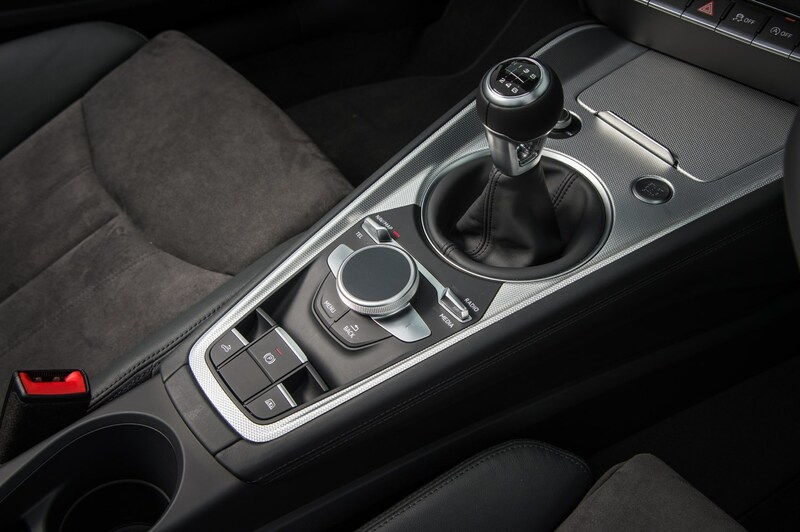 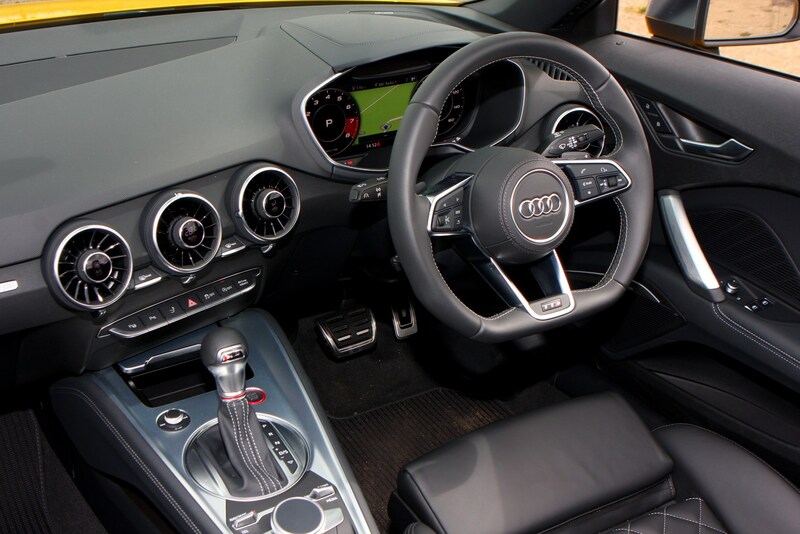 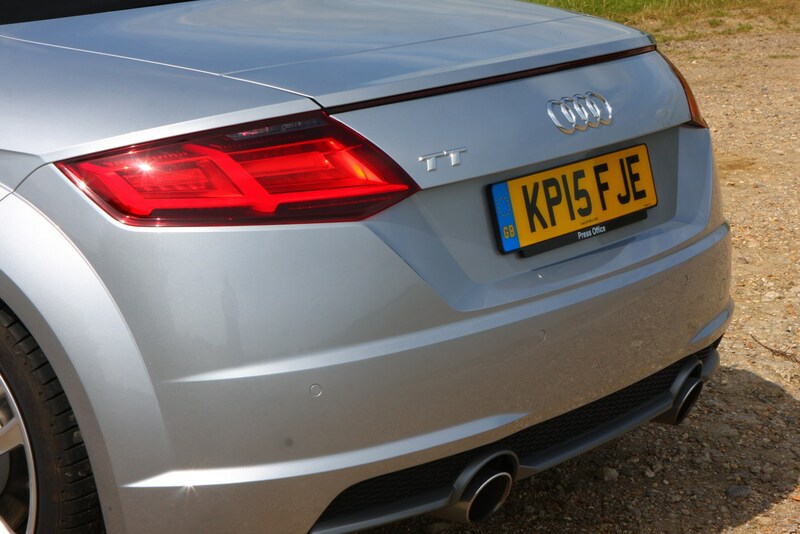 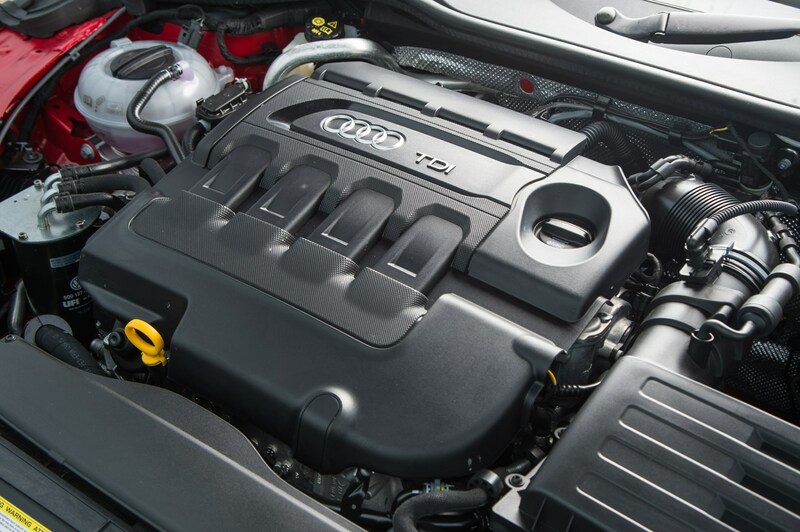 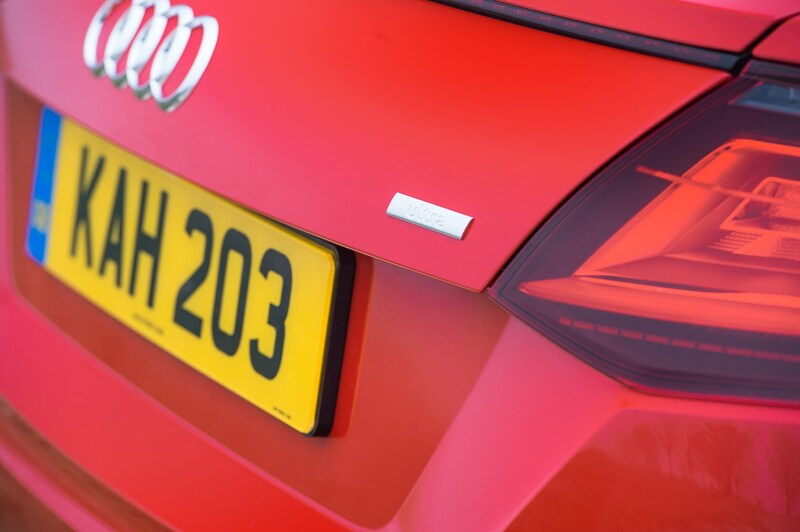 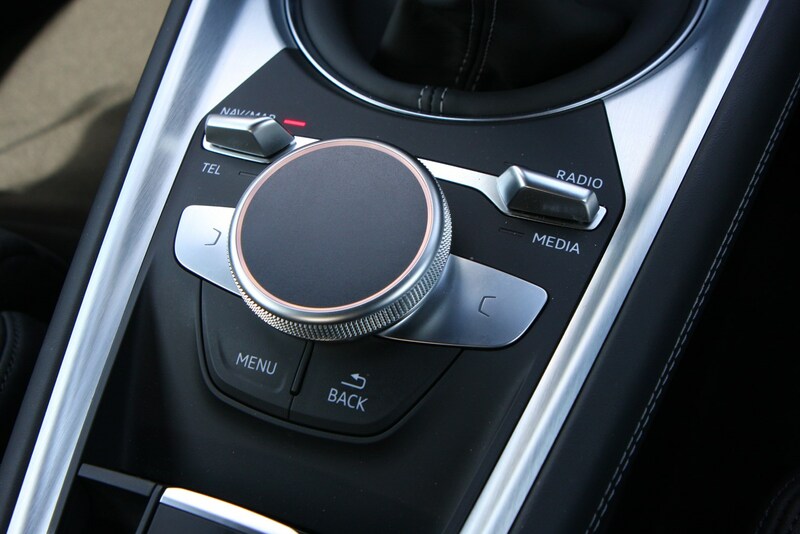 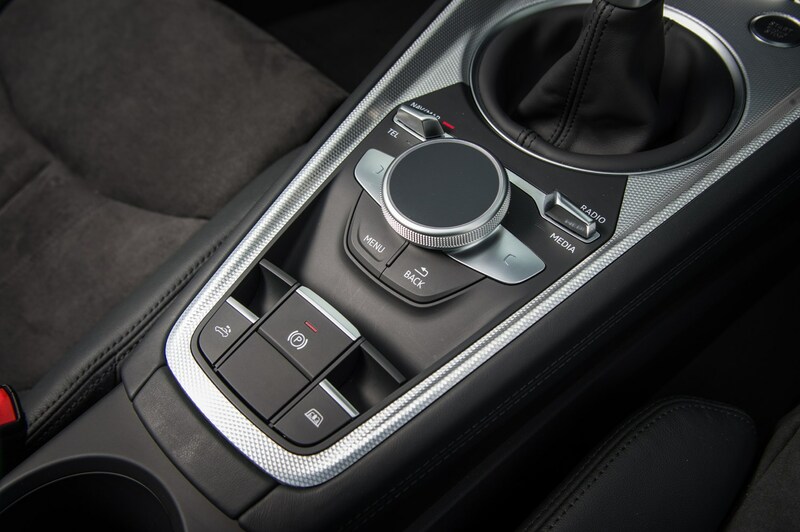 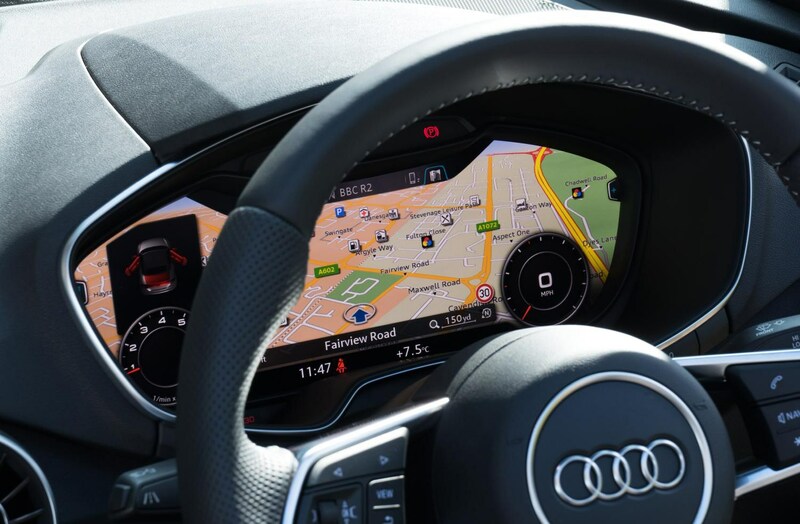 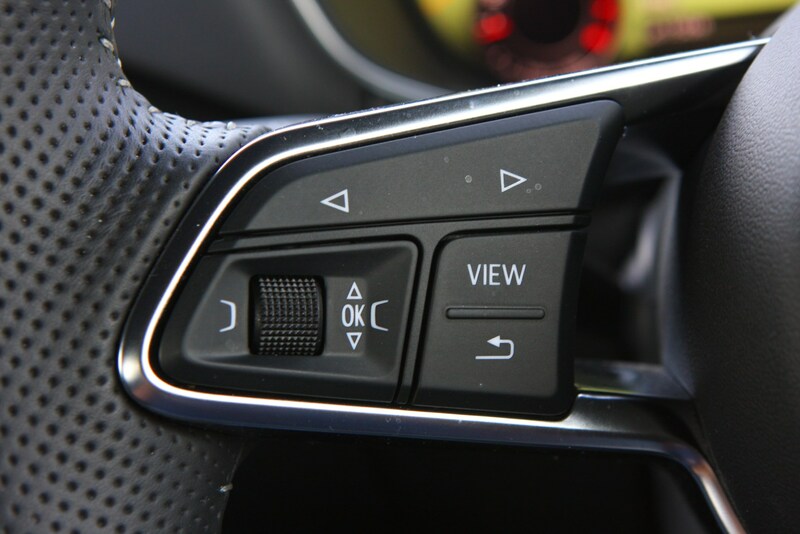 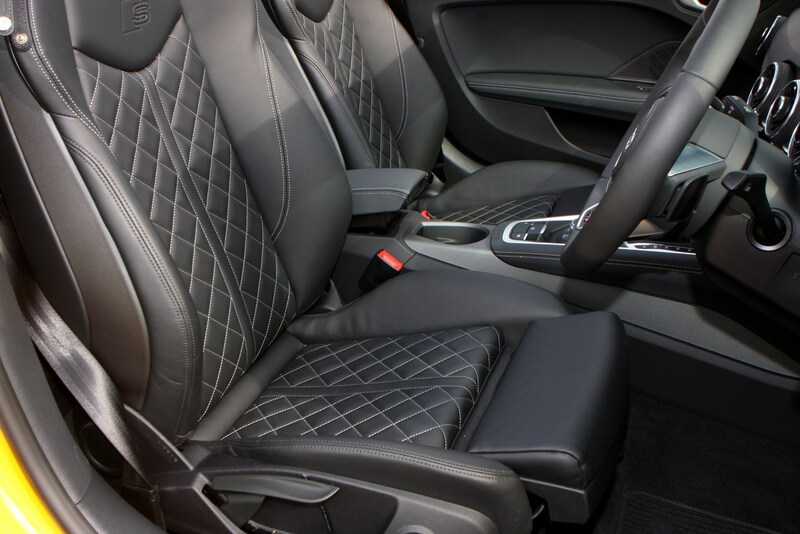 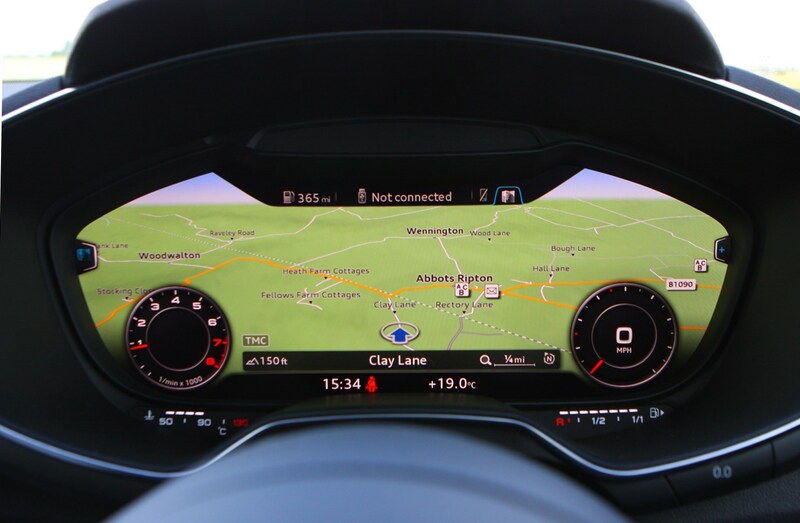 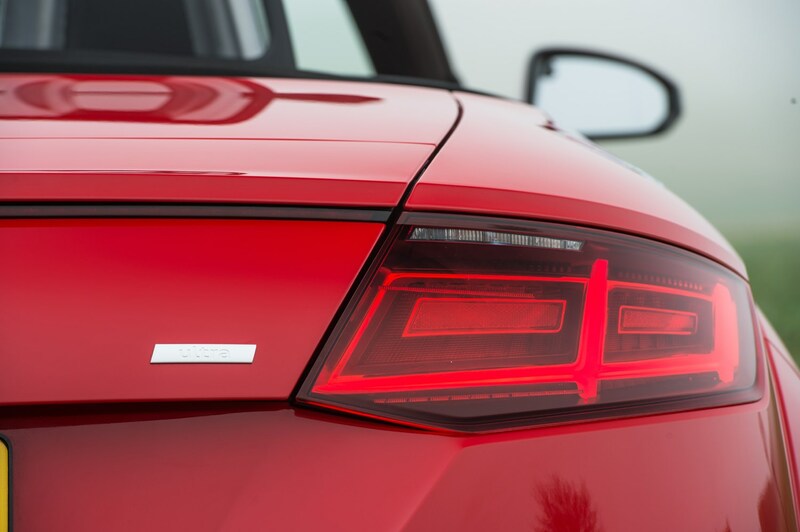 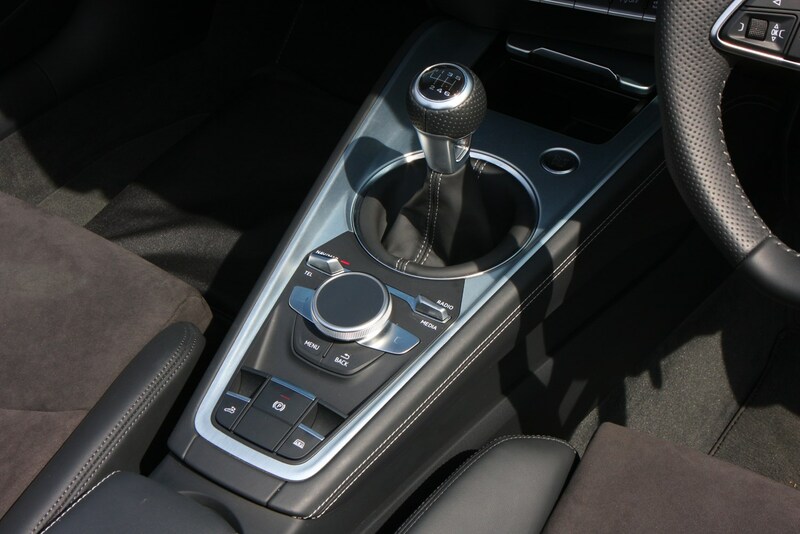 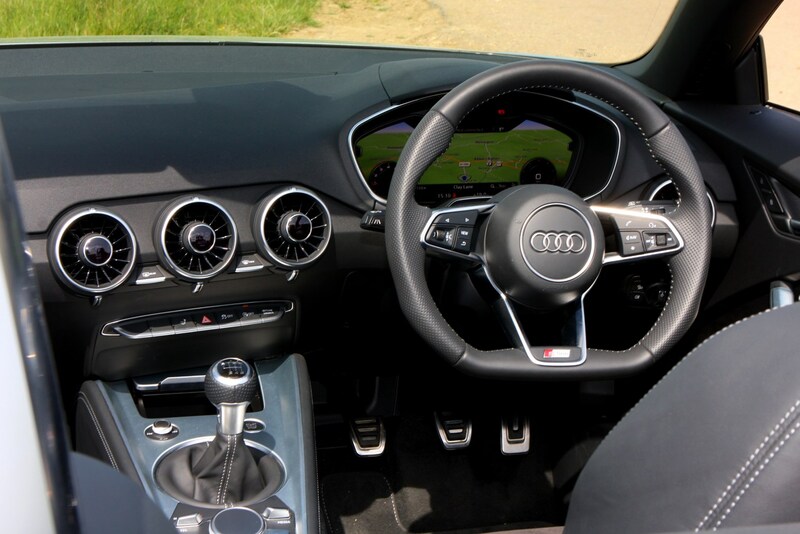 As it’s such a popular car there’s no doubt that brokers will do their best to offer you one, just don’t expect much of a discount in the first couple of years of the car’s life – the same goes for official Audi dealers as well. 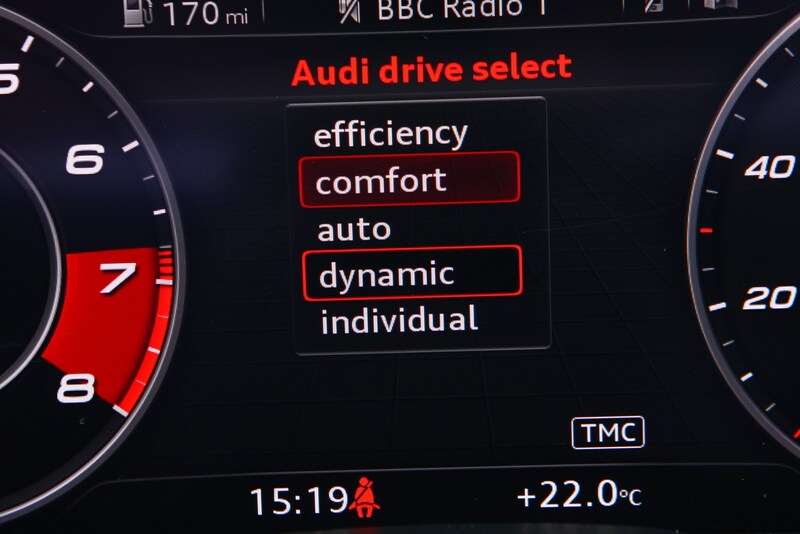 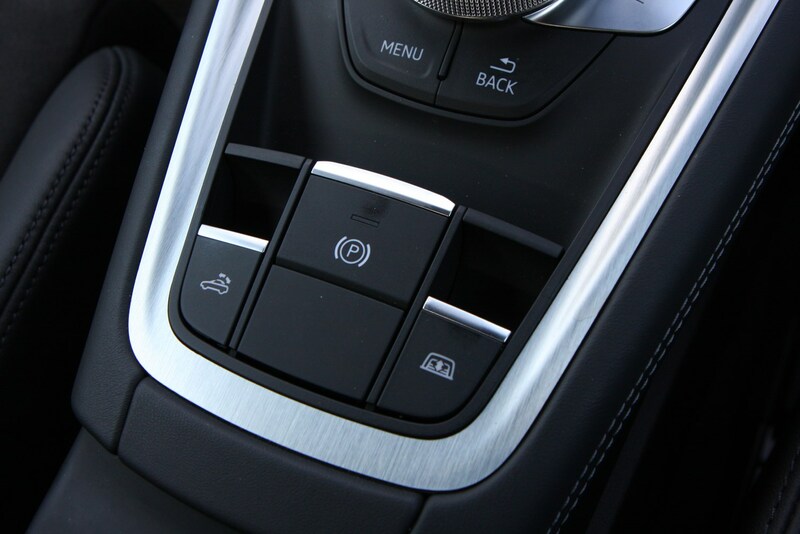 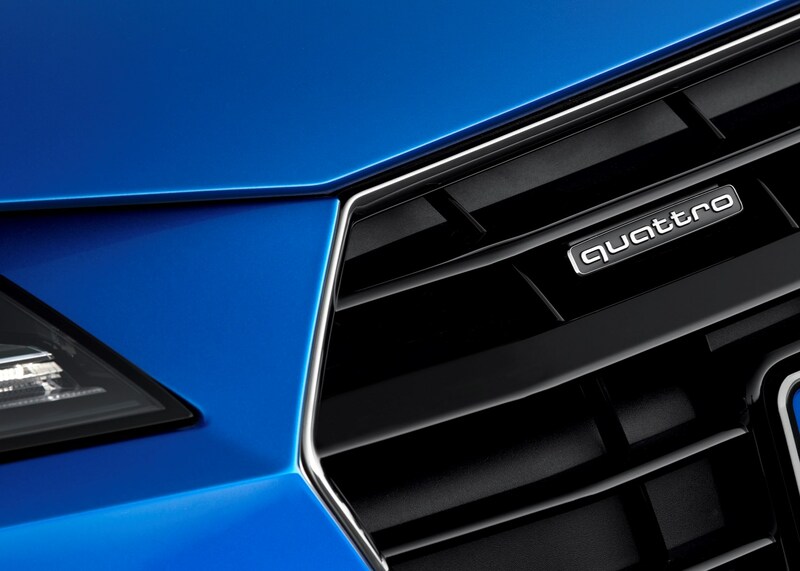 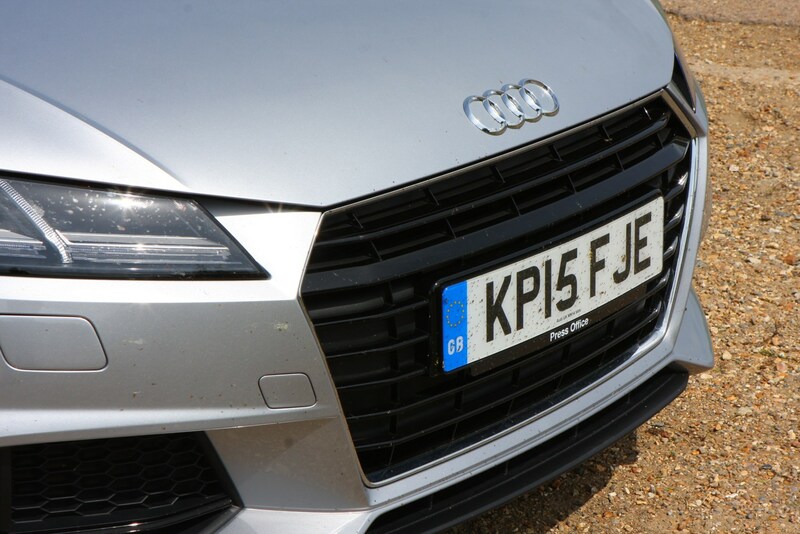 Don’t have your heart set on a quattro model, unless you really need the four-wheel drive capability (and even then we’d suggest a Q3 or Q5 might be better suited to rough roads), as the front-wheel drive cars handle just as sweetly and instil plenty of confidence at speed. 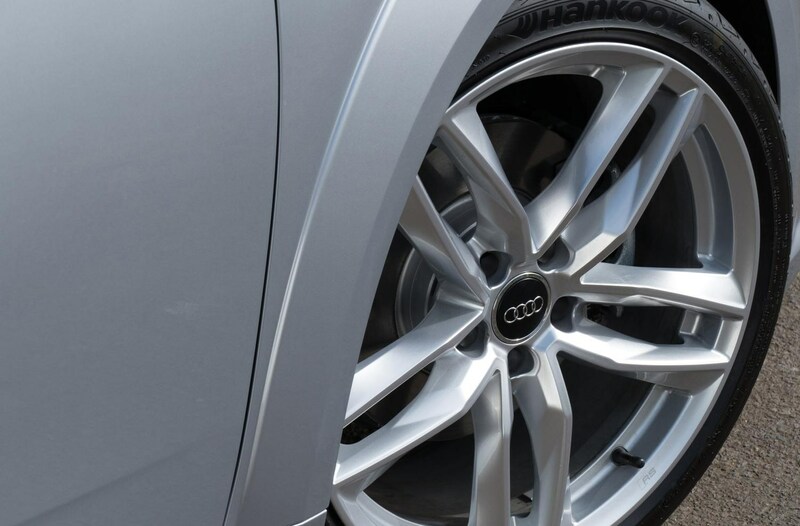 Do make sure that tyre wear, especially on quattros, is even though. 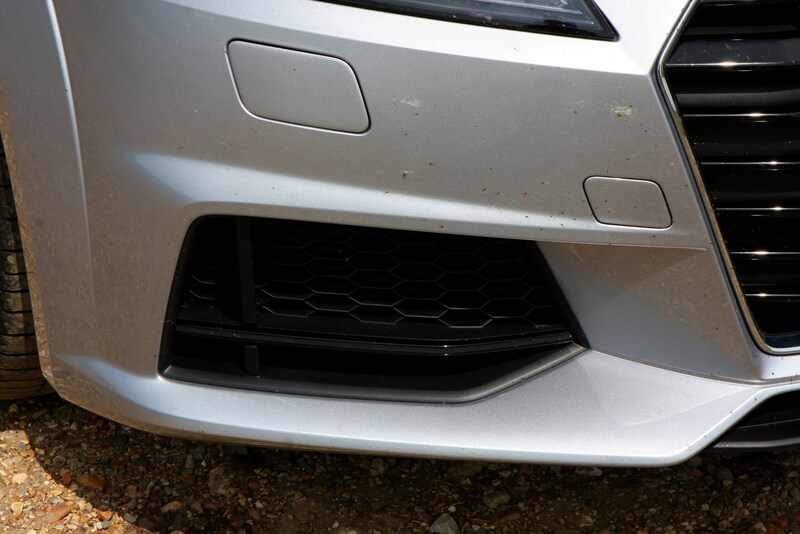 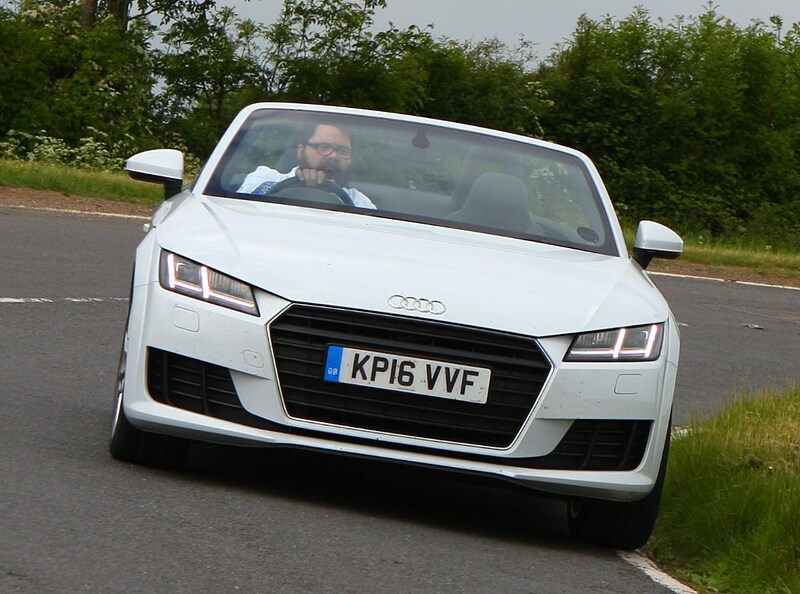 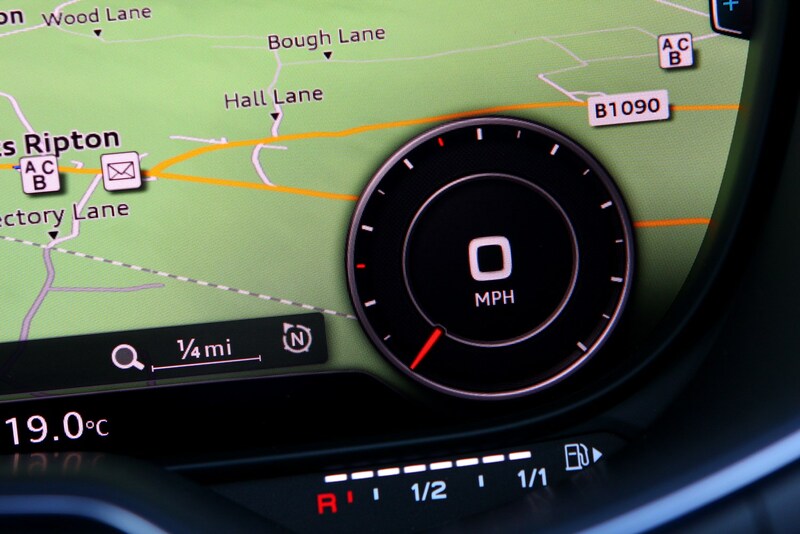 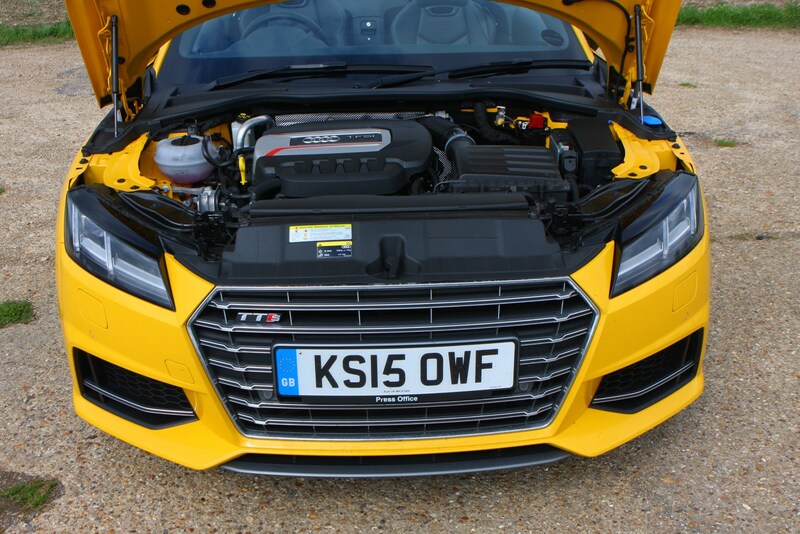 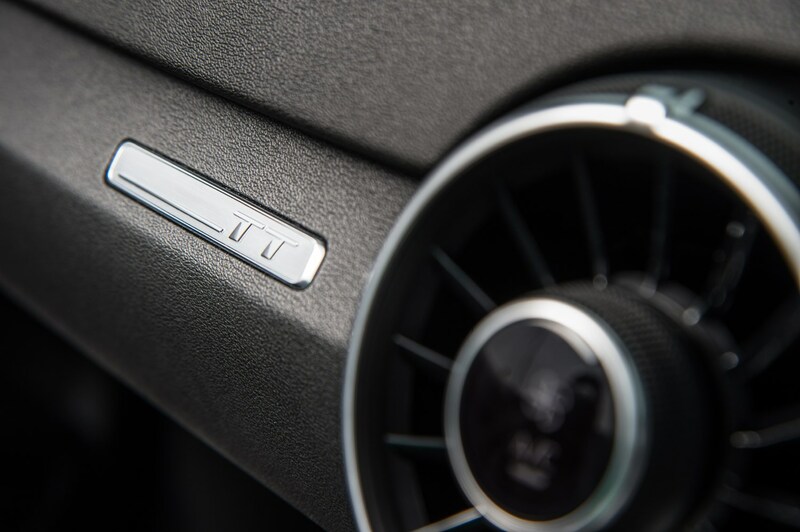 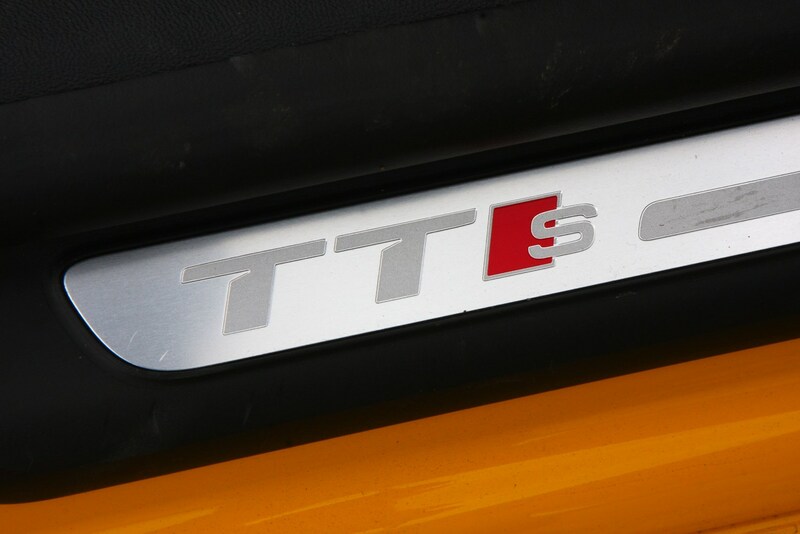 With the TTS model there is an abundance of performance on offer, and the brakes can take a hammering trying to haul the TT roadster back down from speed, so checking brake discs and pads for wear is sensible. 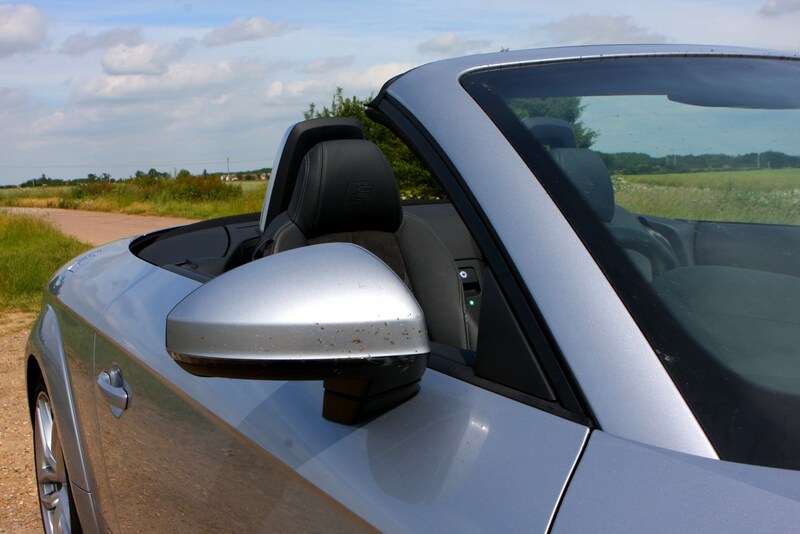 It’s not a car as likely to have visited a hedge backwards as some rival models, but do look out for accident damage and invest in a Parkers Car History Check to reassure any doubts. 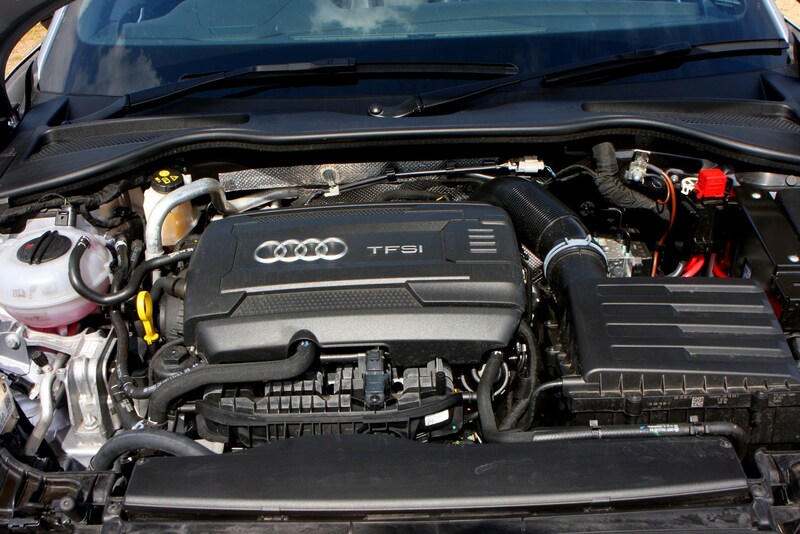 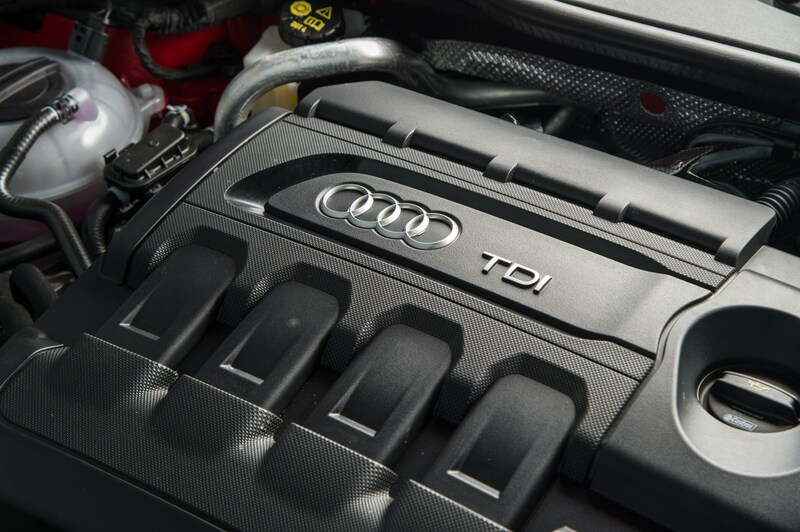 For user choosers the 114g/km CO2 output, and 65.7mpg economy, of the 2-litre Ultra diesel could make it a popular choice with those that want to cover high-mileages in style. 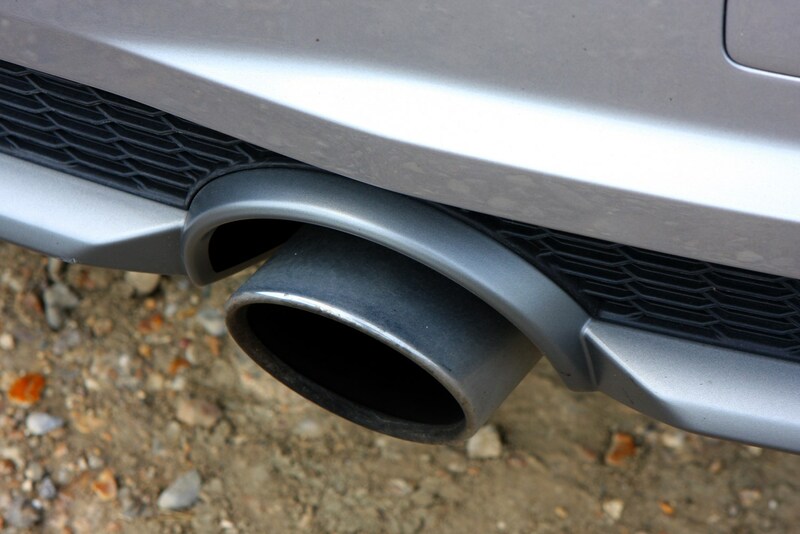 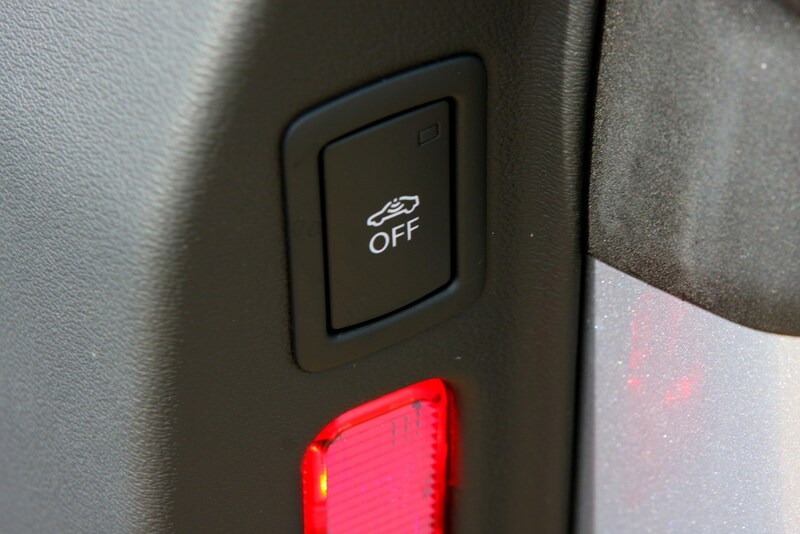 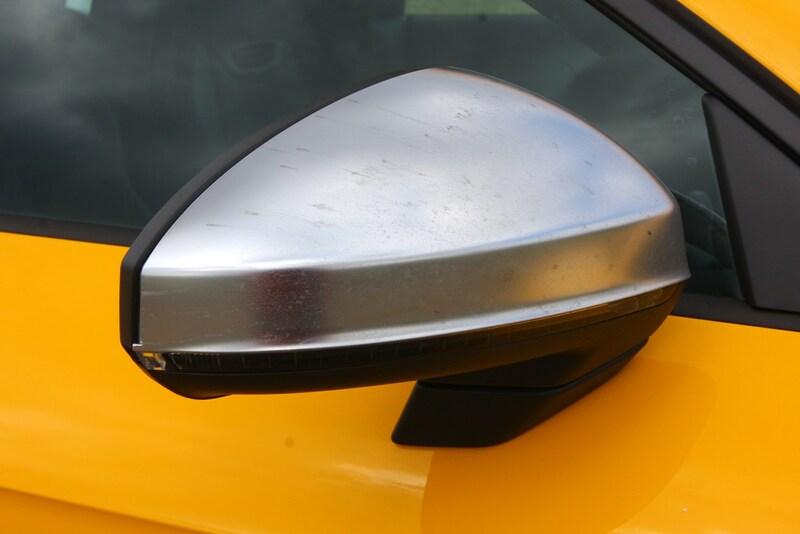 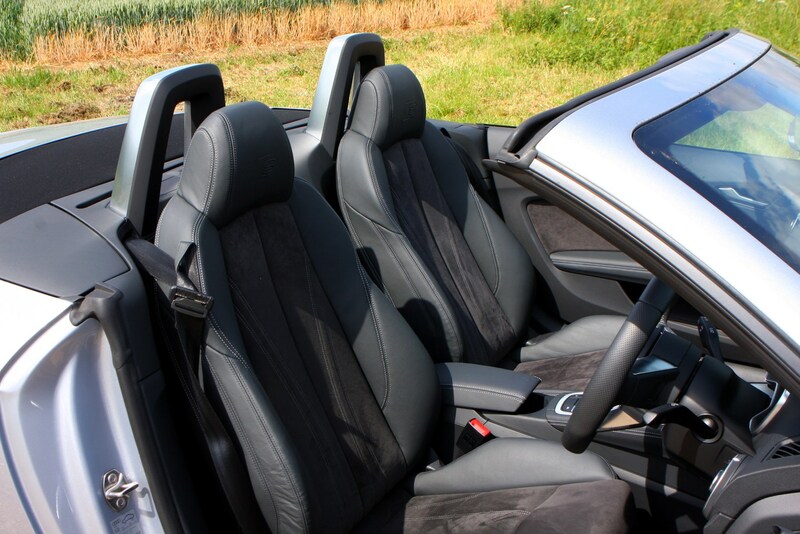 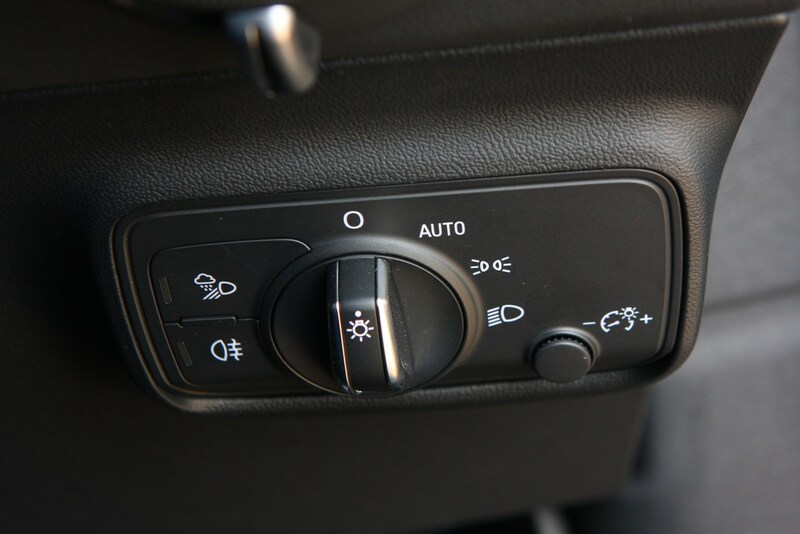 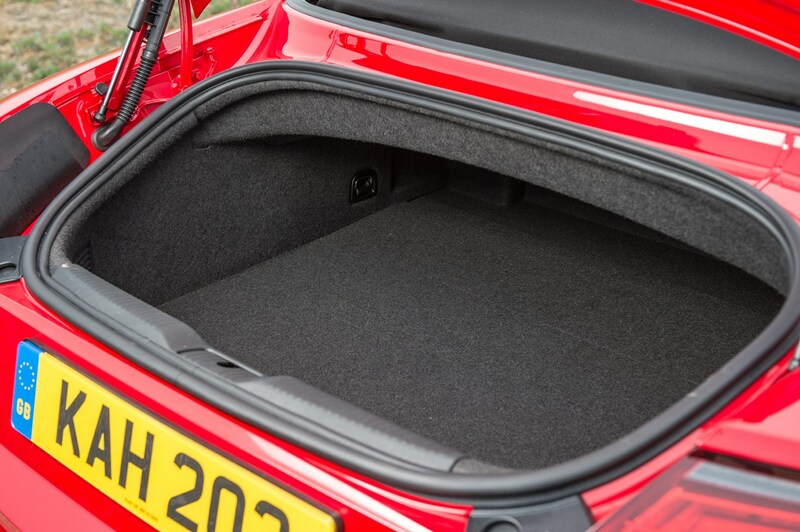 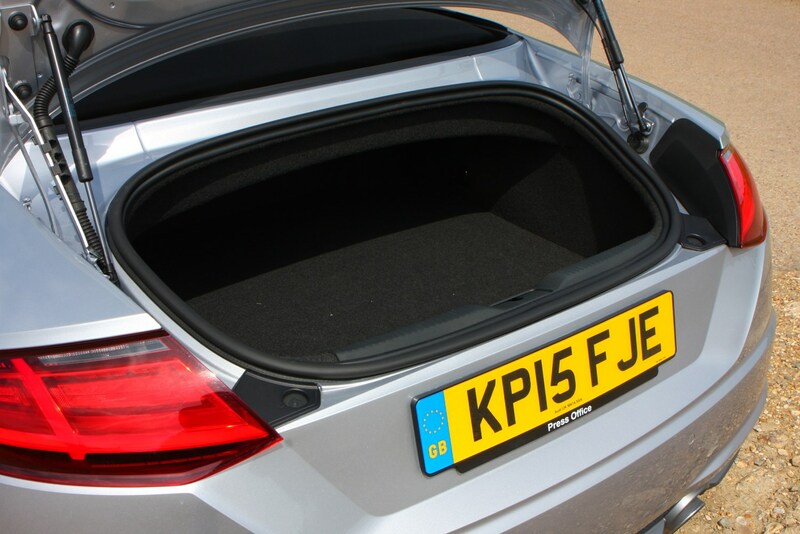 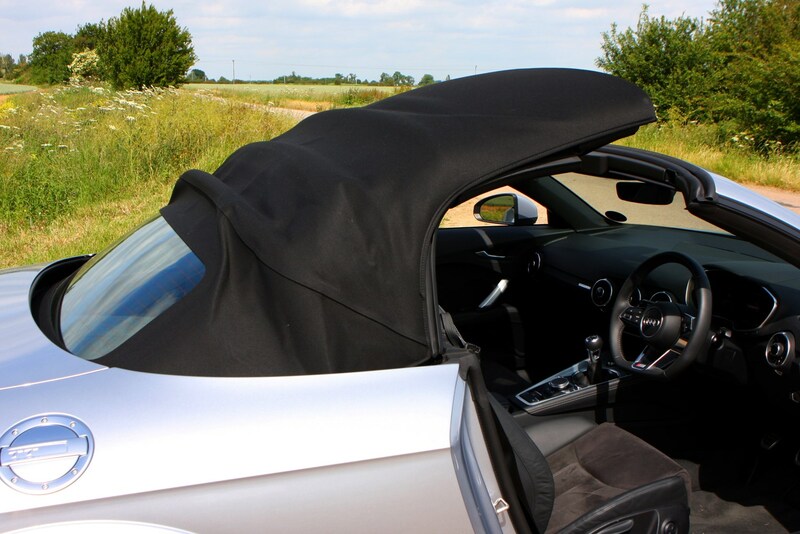 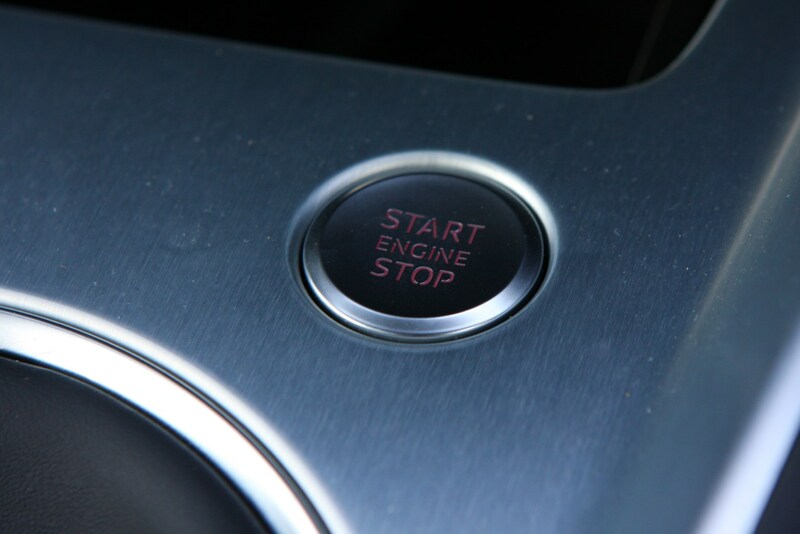 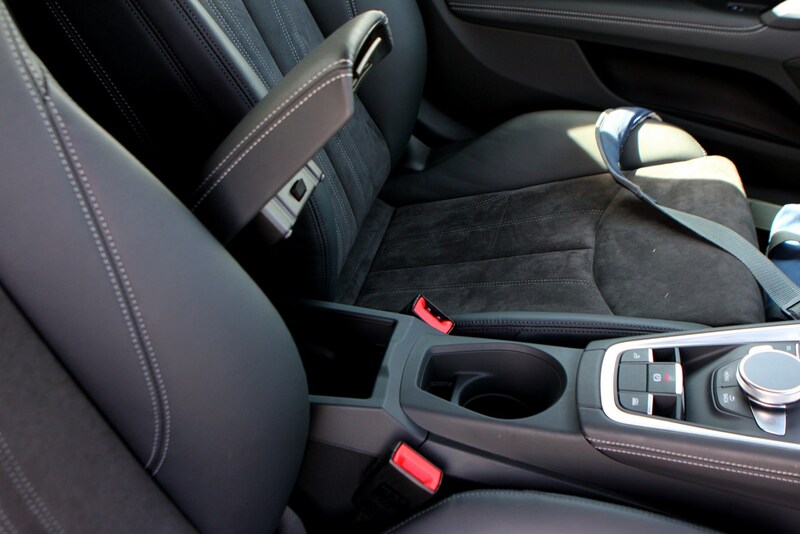 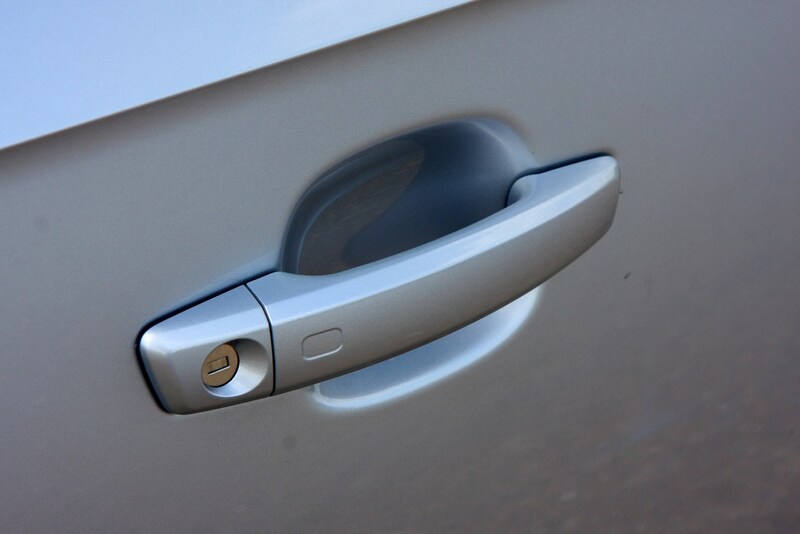 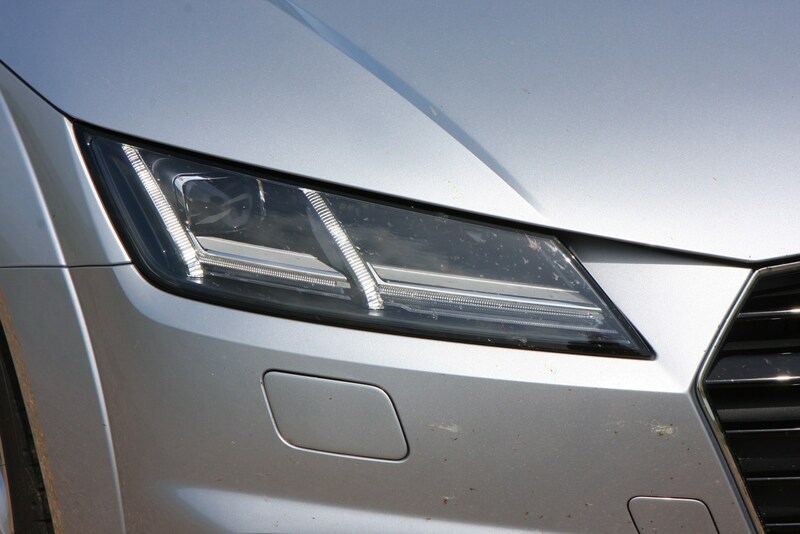 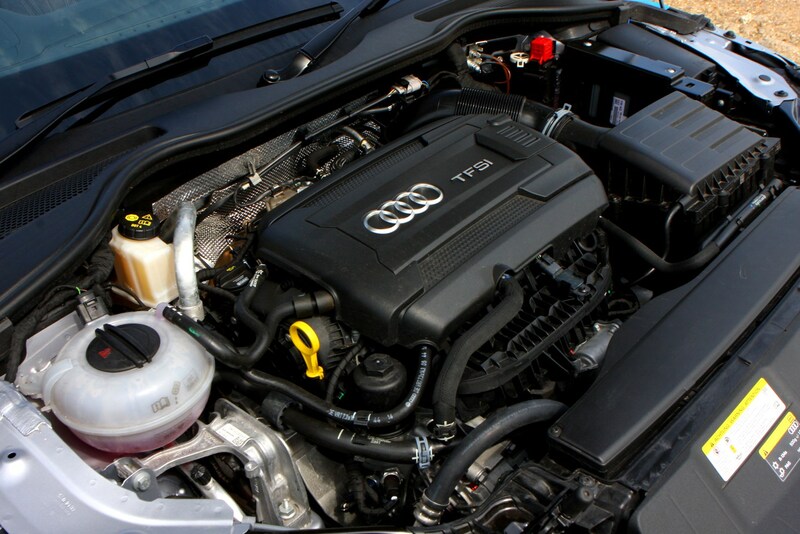 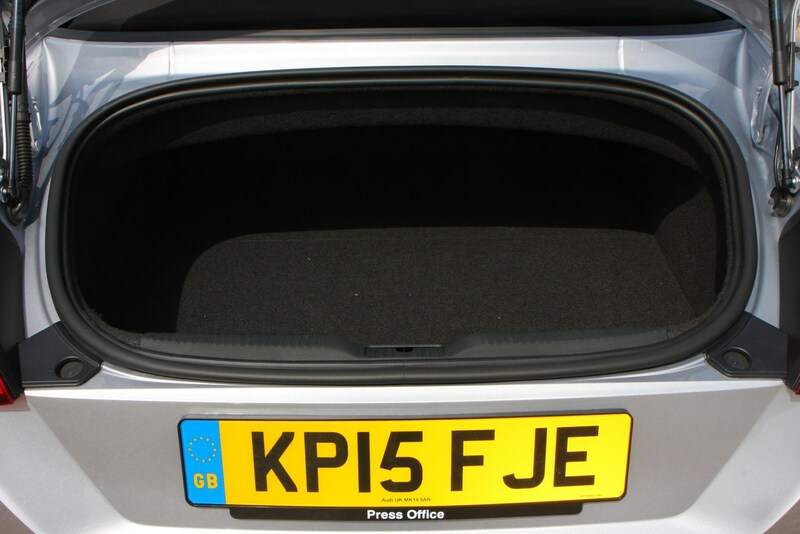 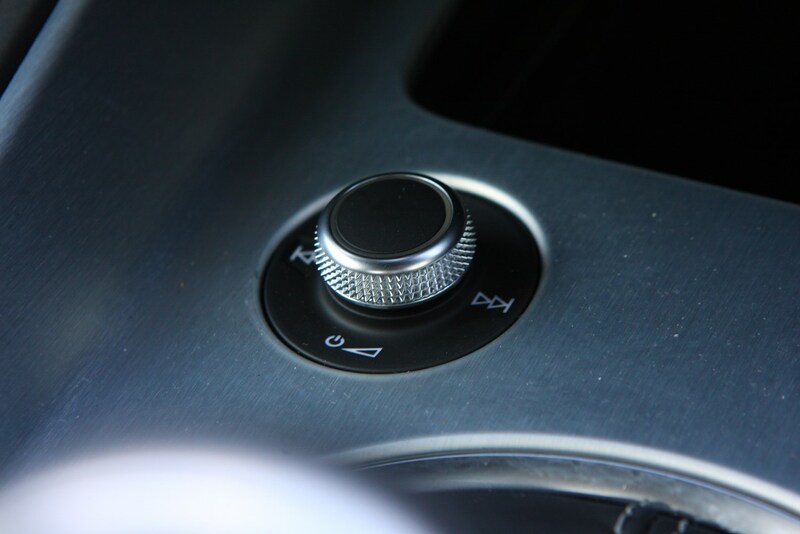 As long as its been maintained properly, don’t be put off by such a car – especially if it was mainly motorway journeys. 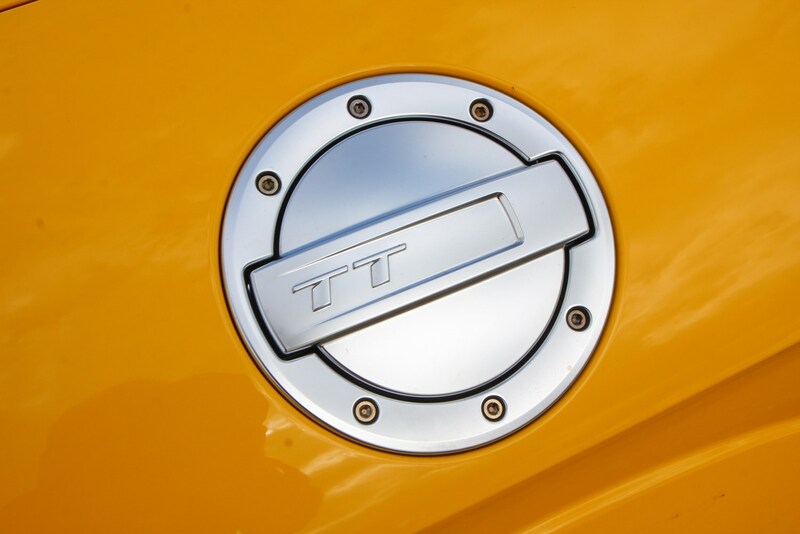 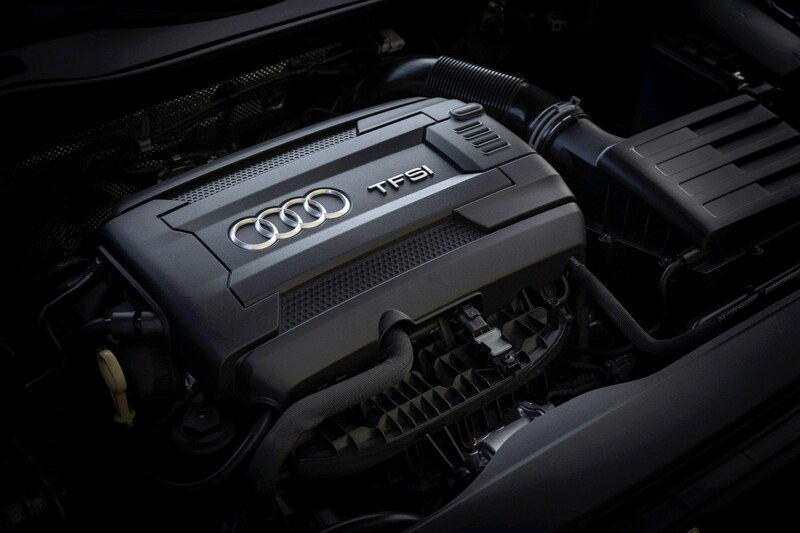 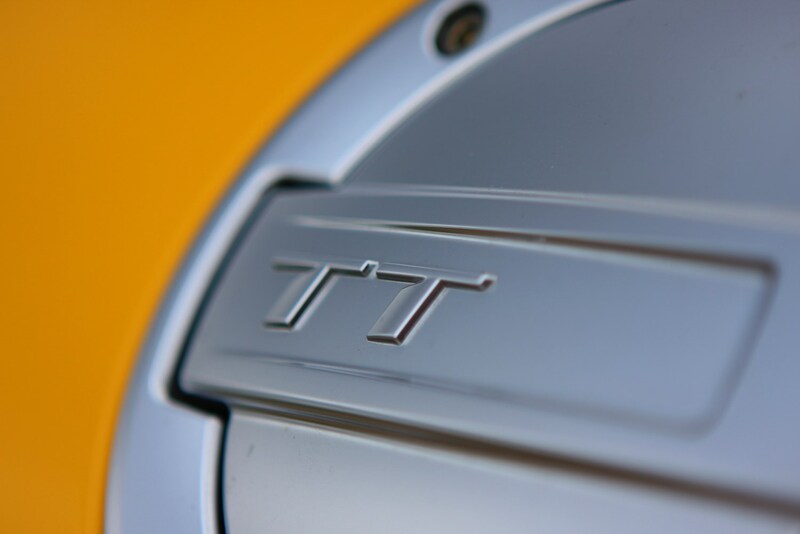 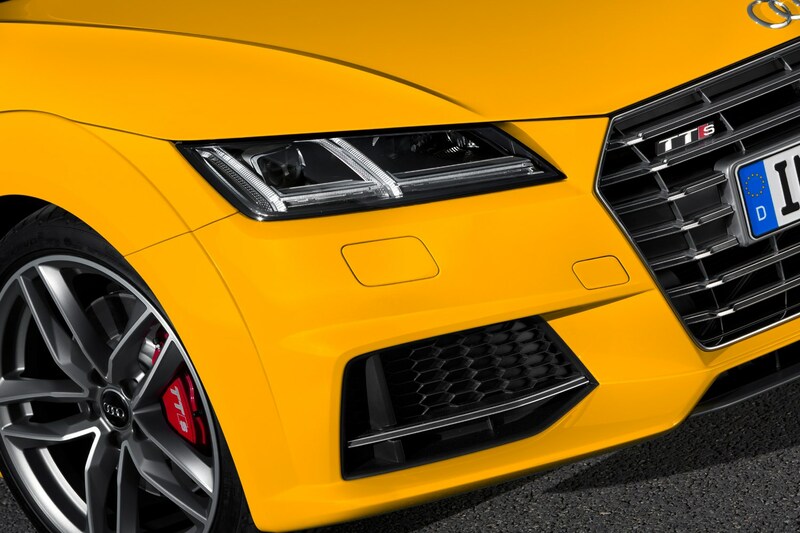 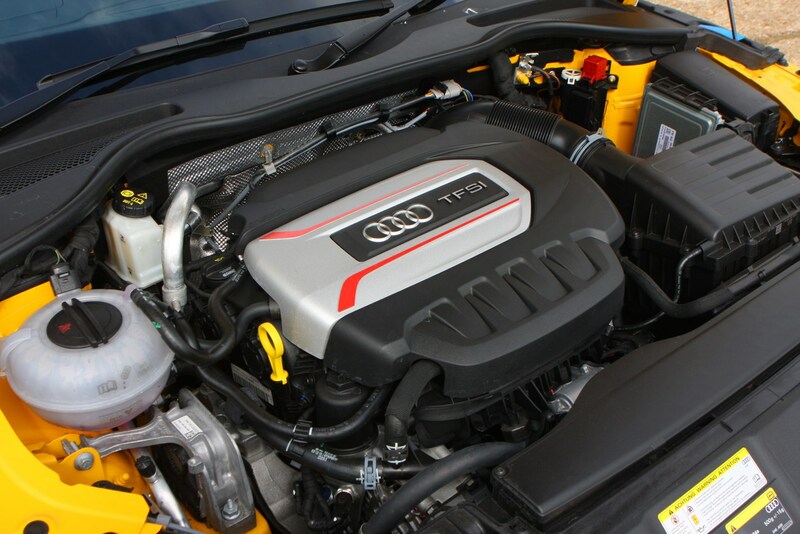 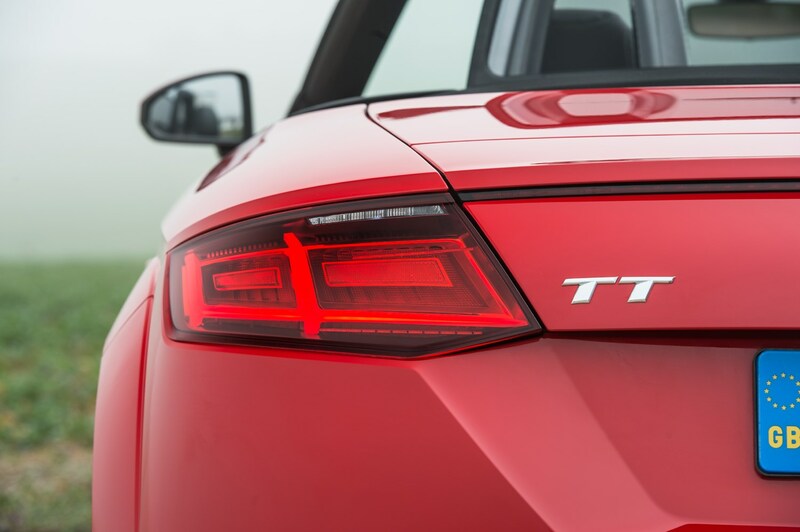 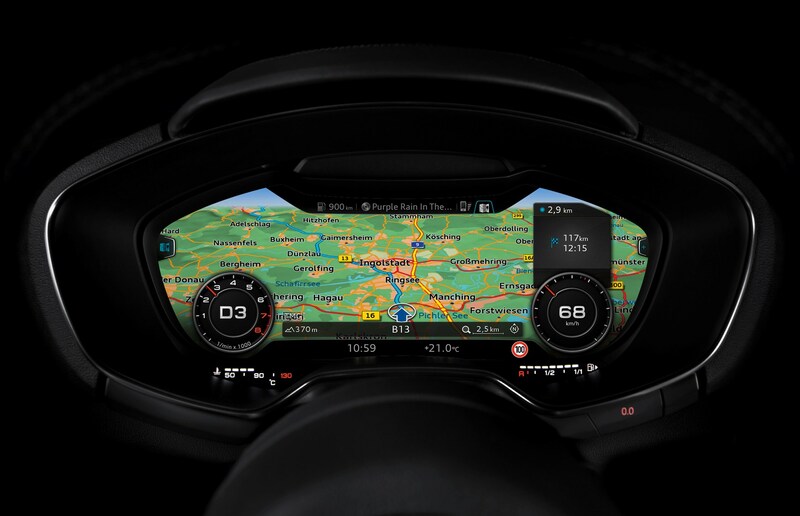 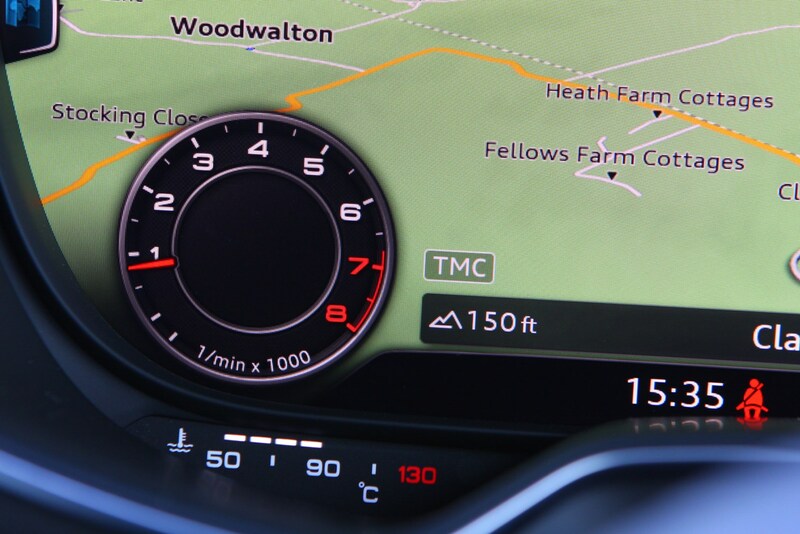 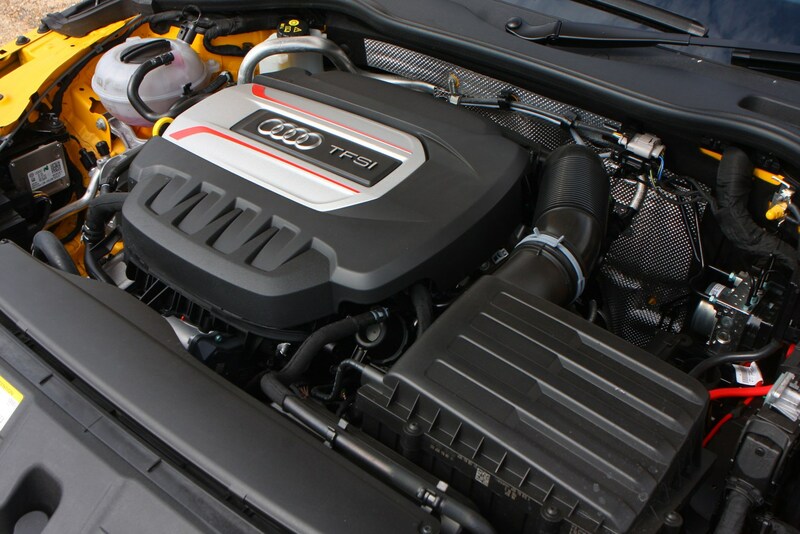 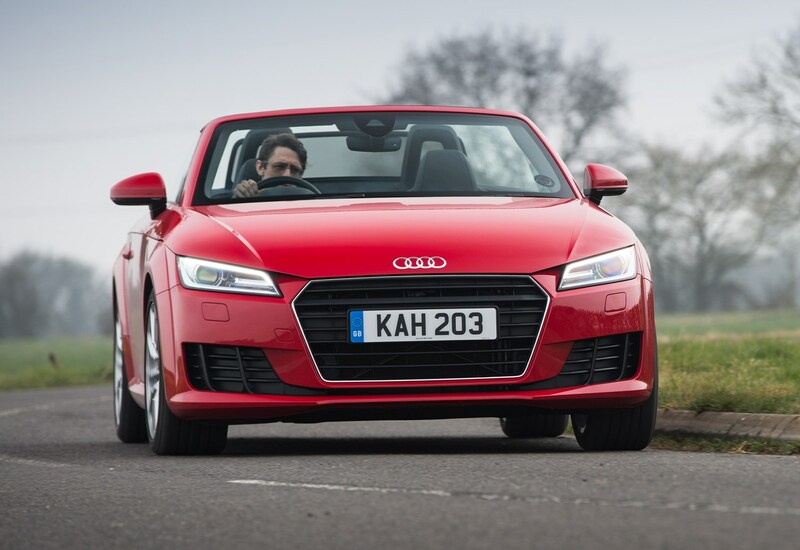 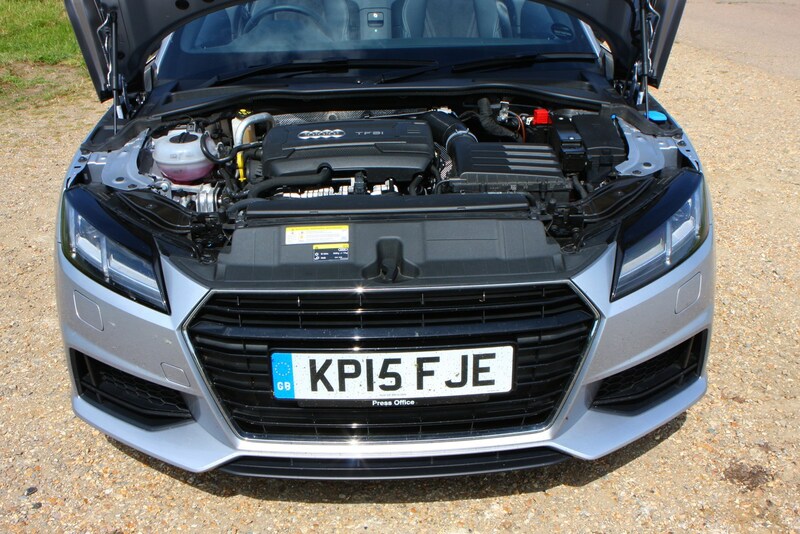 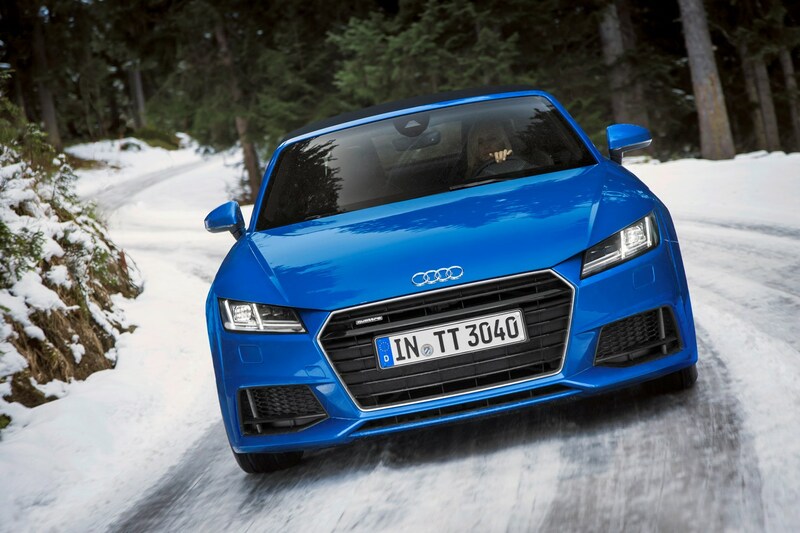 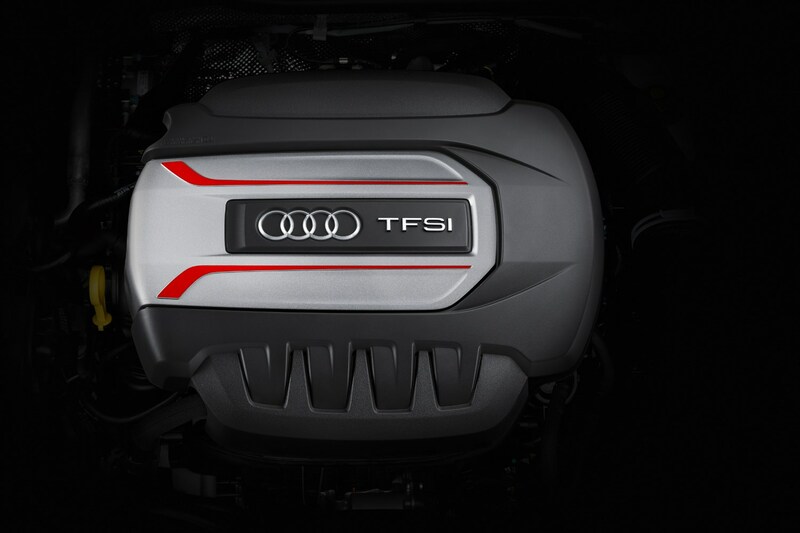 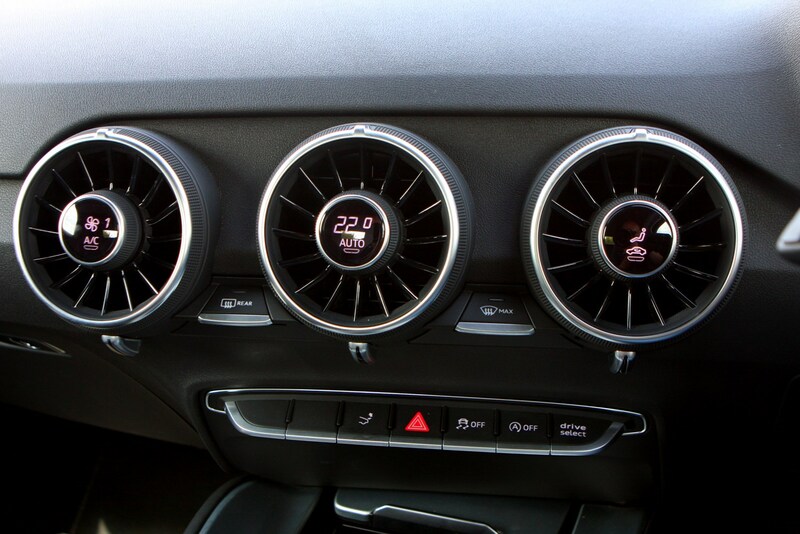 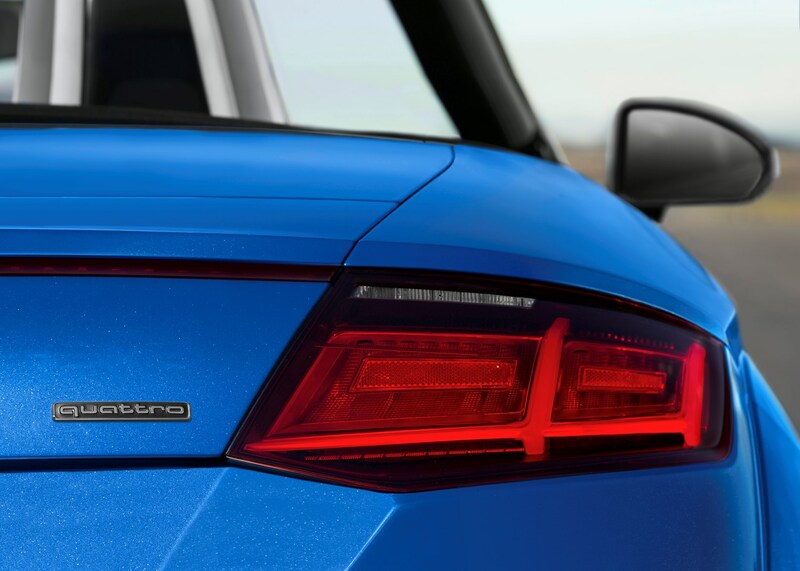 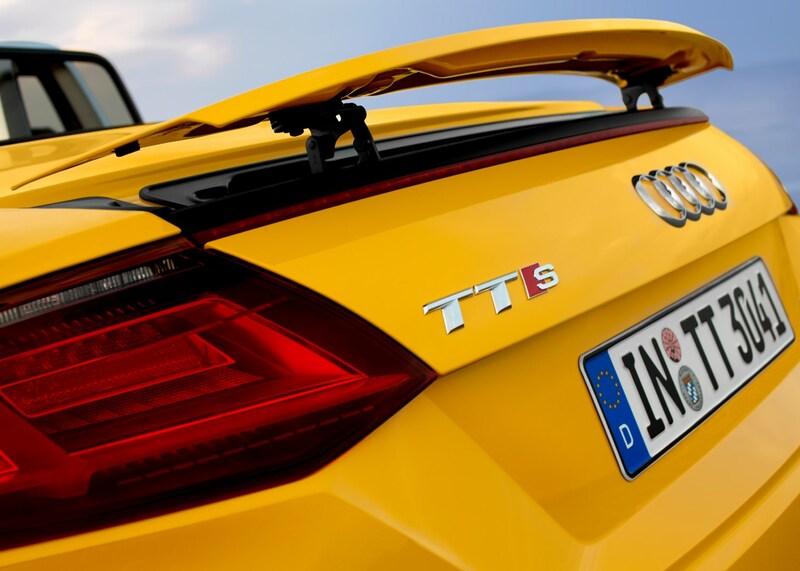 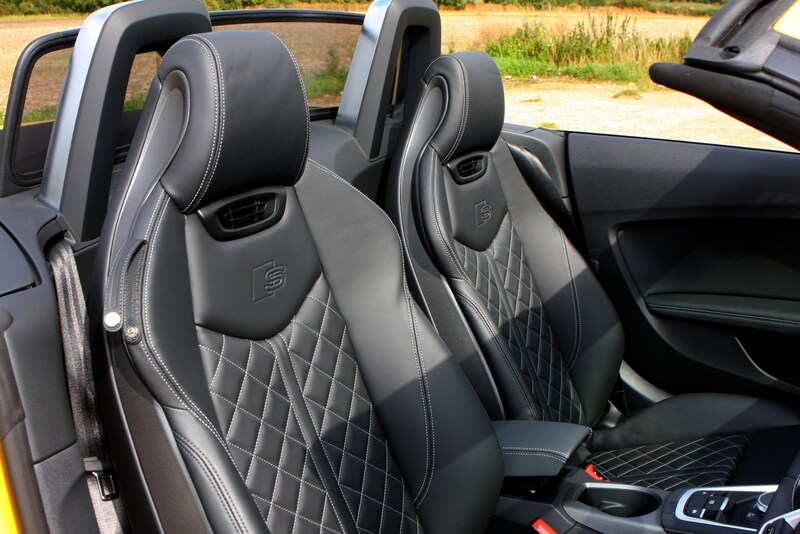 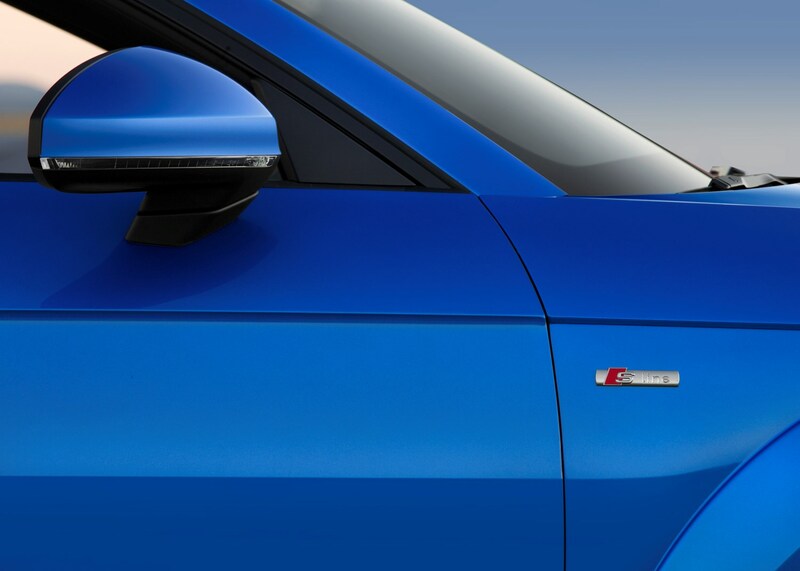 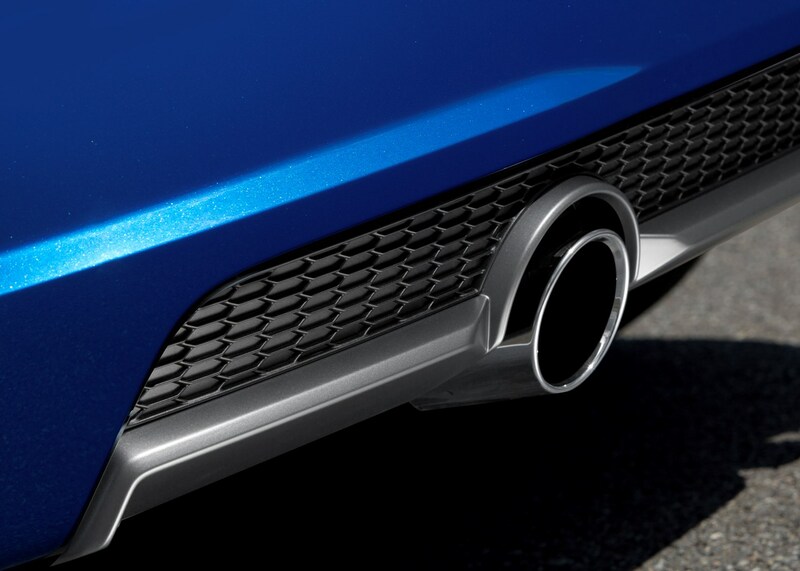 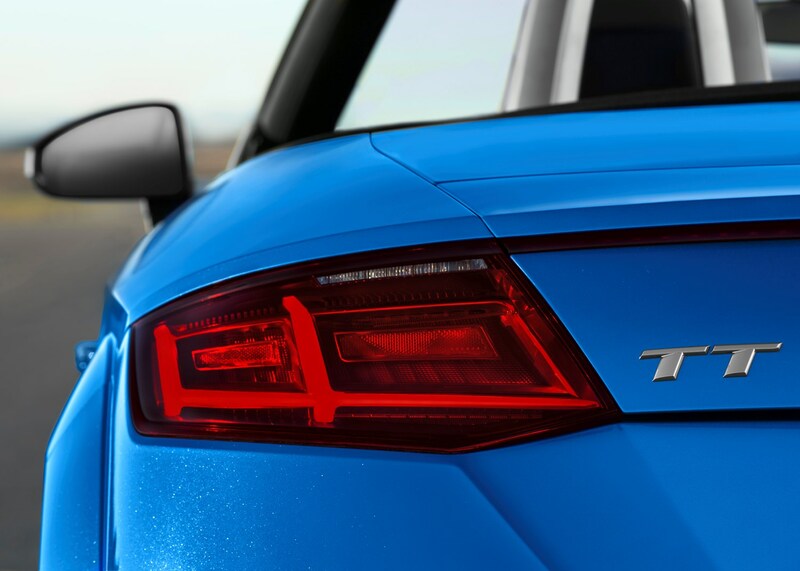 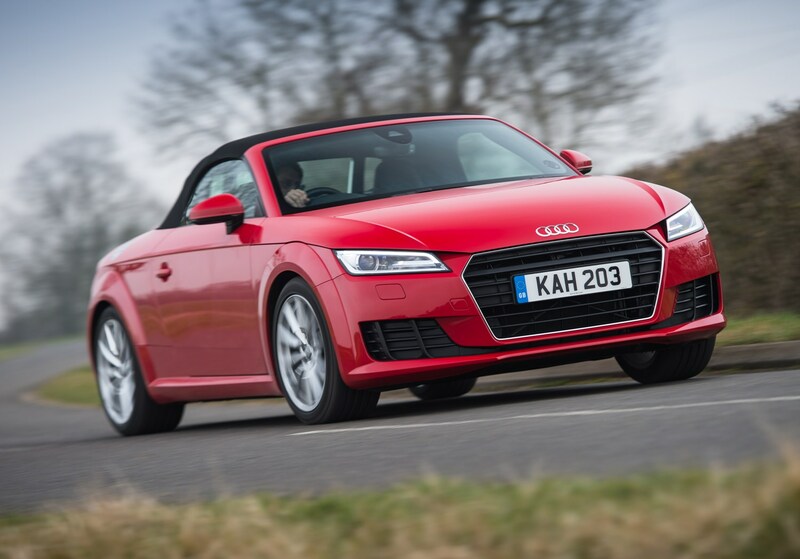 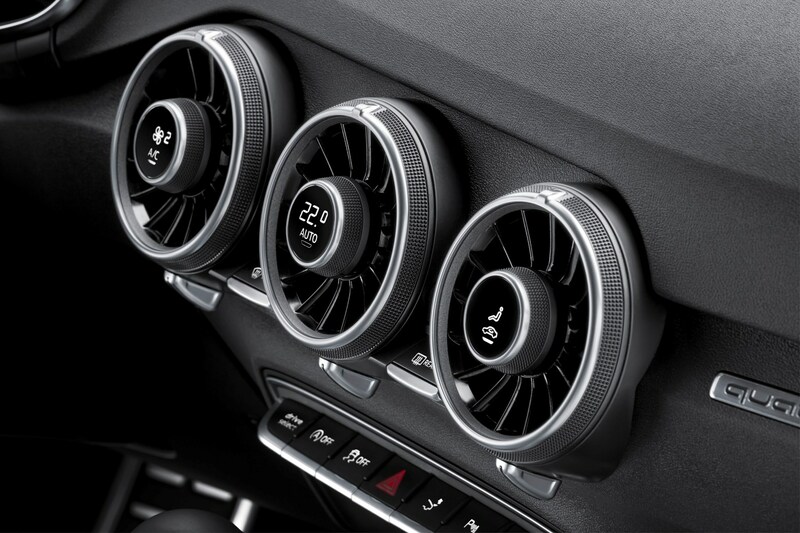 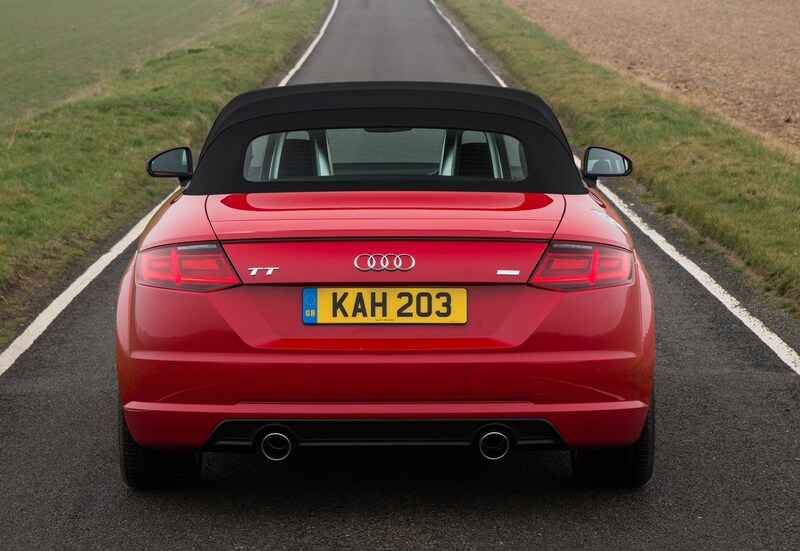 The Audi TT has always enjoyed a strong following and this third generation model should be no different – that means used values will be strong and, initially at least, there will be high demand from the market. 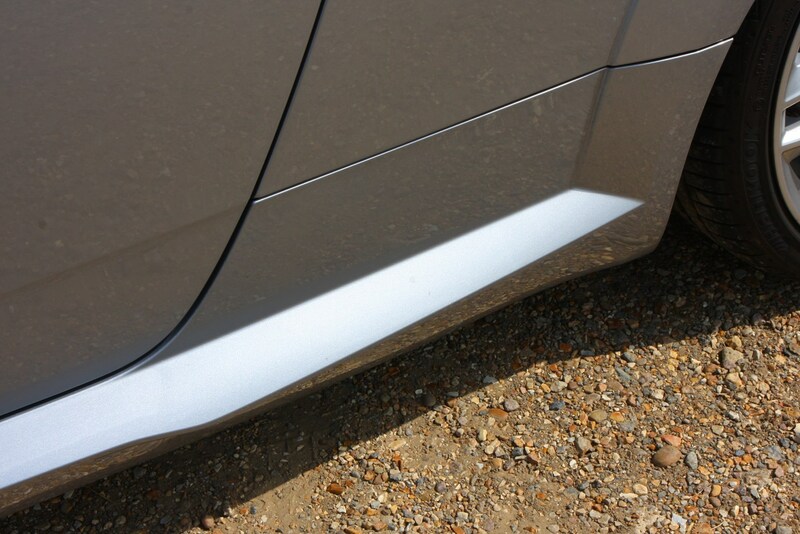 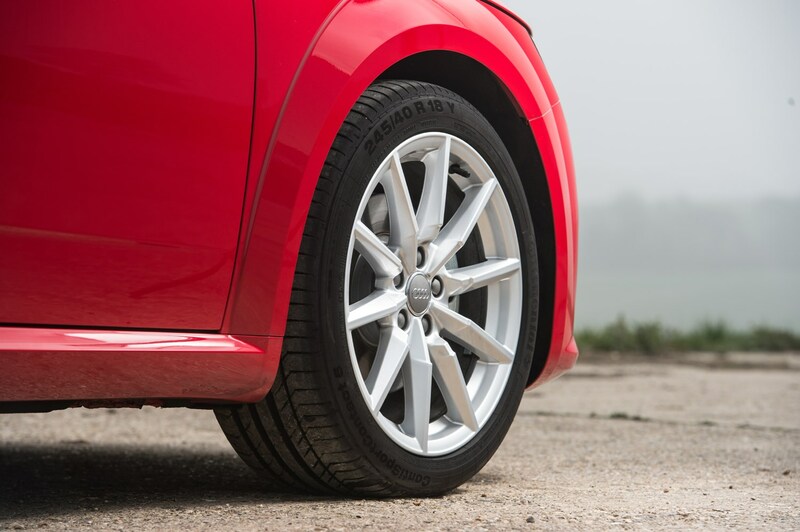 That said, don’t present the car for sale in a shabby state – the alloy wheels look great, but only if they’re not kerb-marked or covered in scuffs so refurbish them before sale if they are. 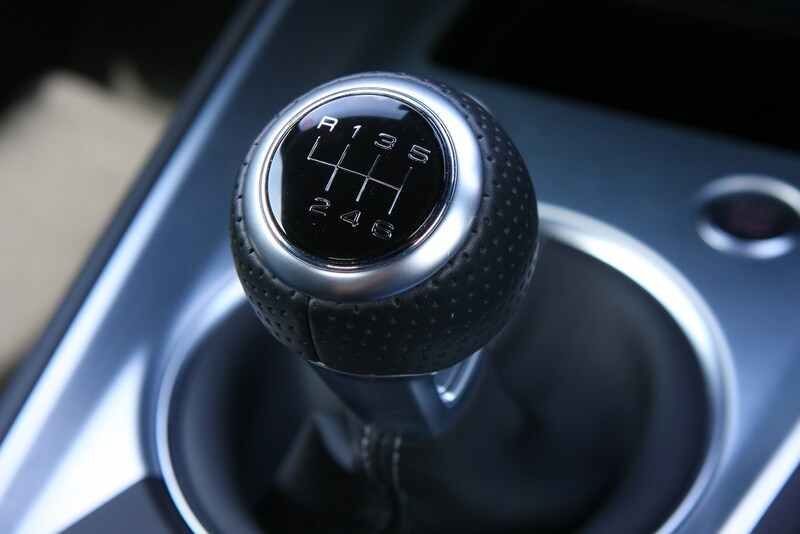 It doesn’t cost a huge amount and could make the difference. 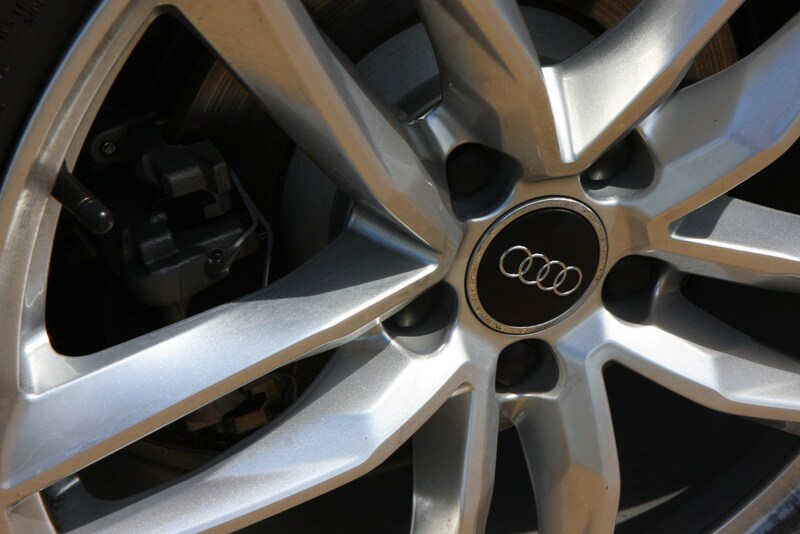 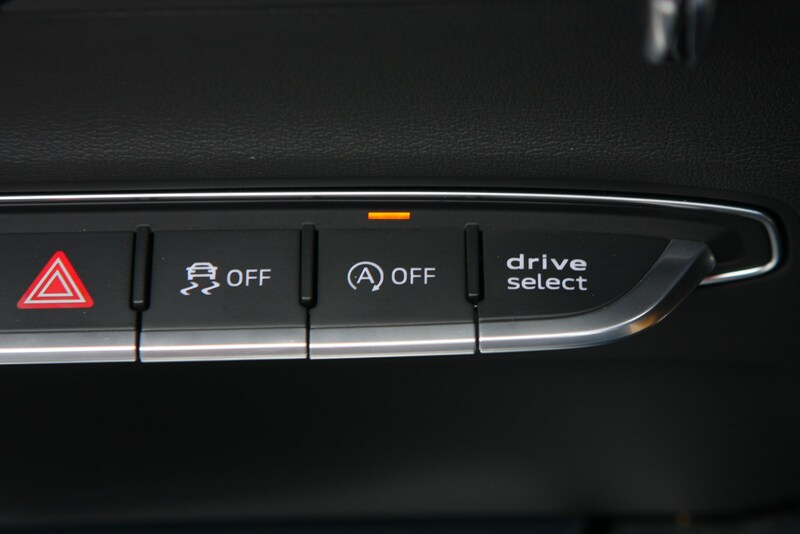 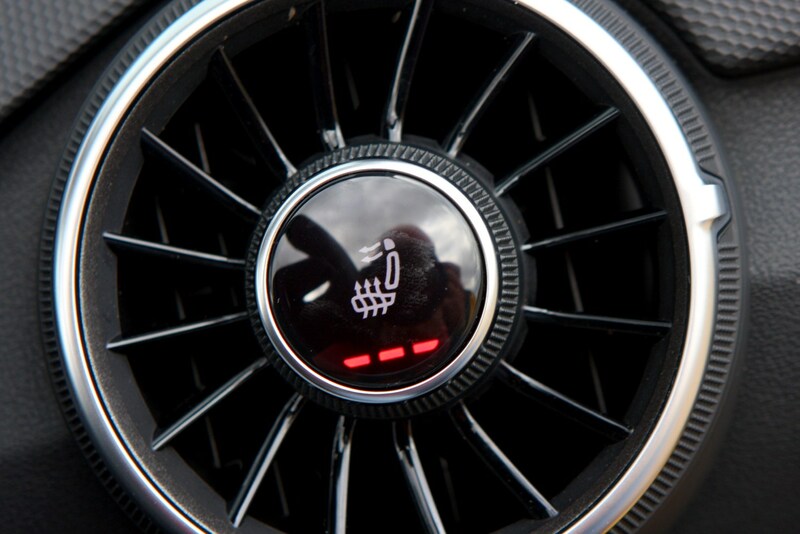 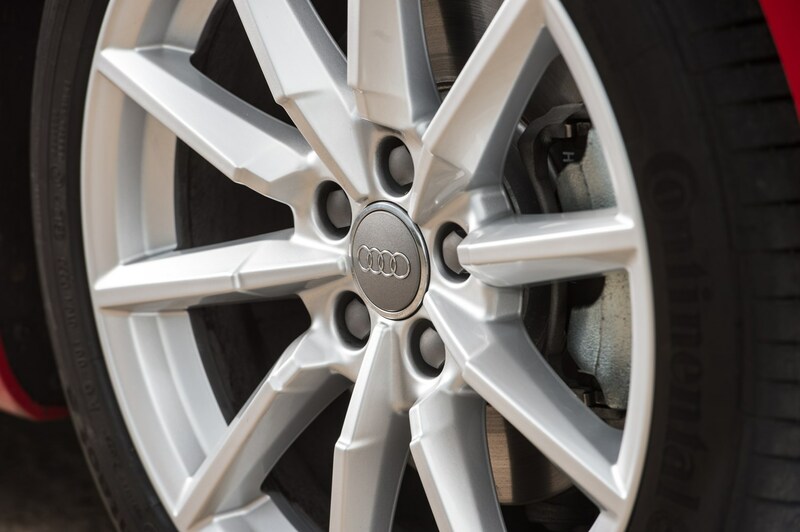 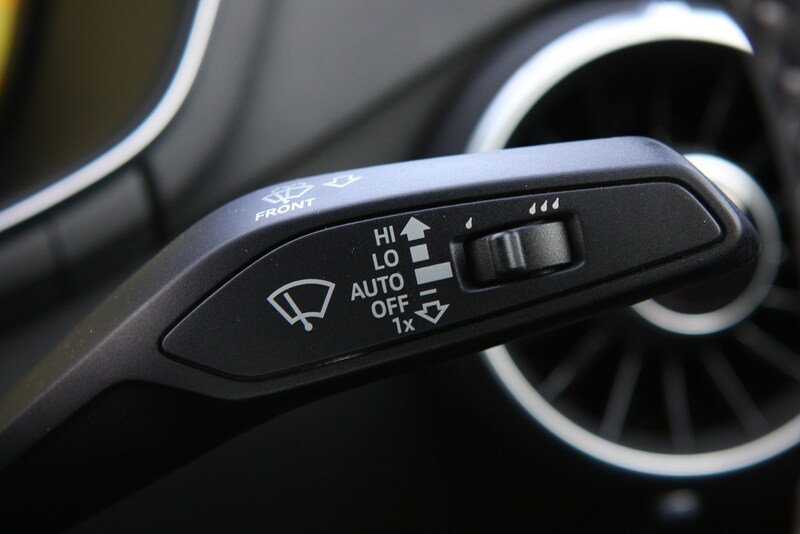 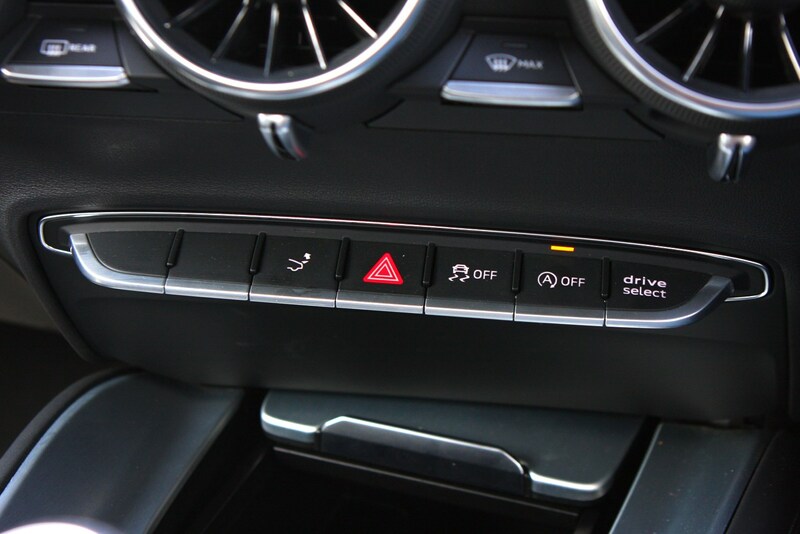 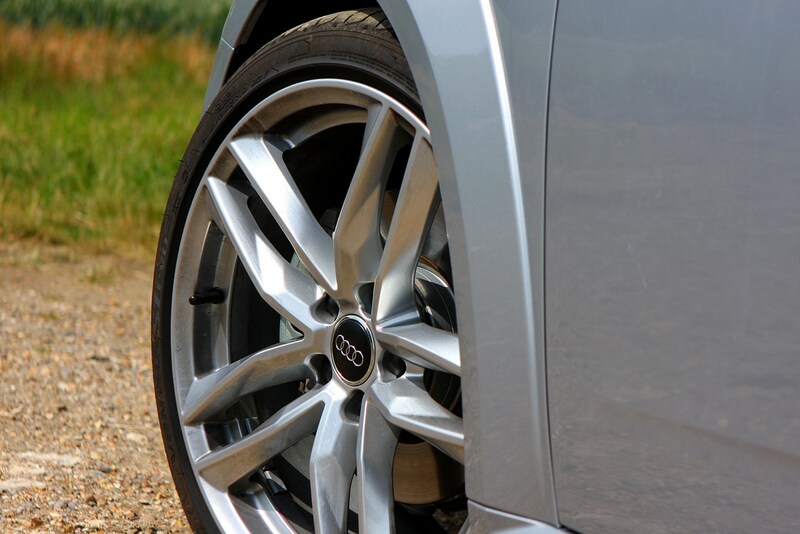 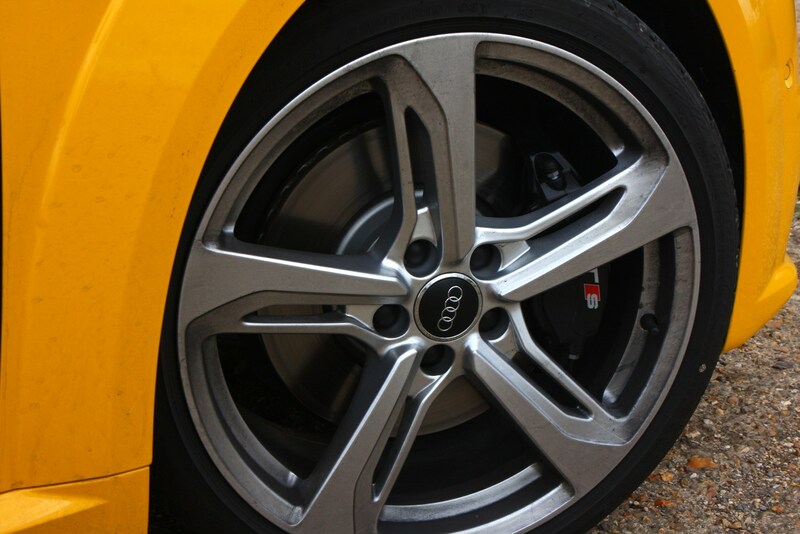 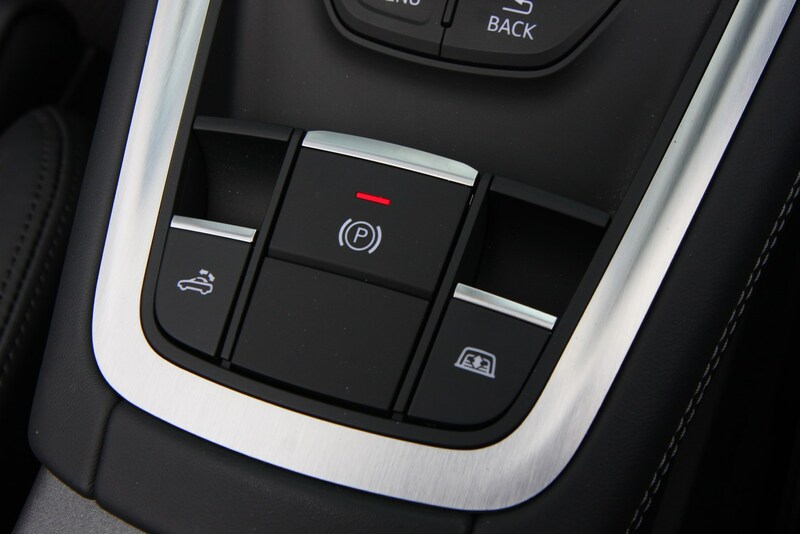 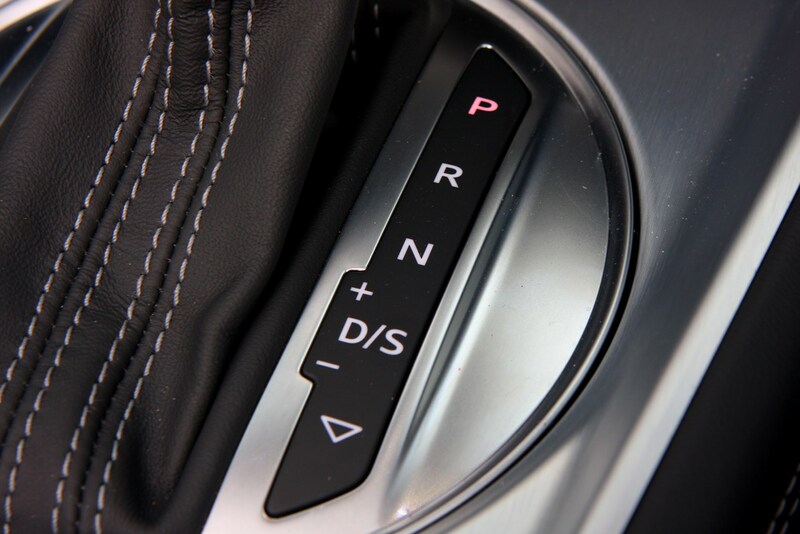 Make sure the brakes and tyres have plenty of life left in them too, especially on quattro four-wheel drive models. 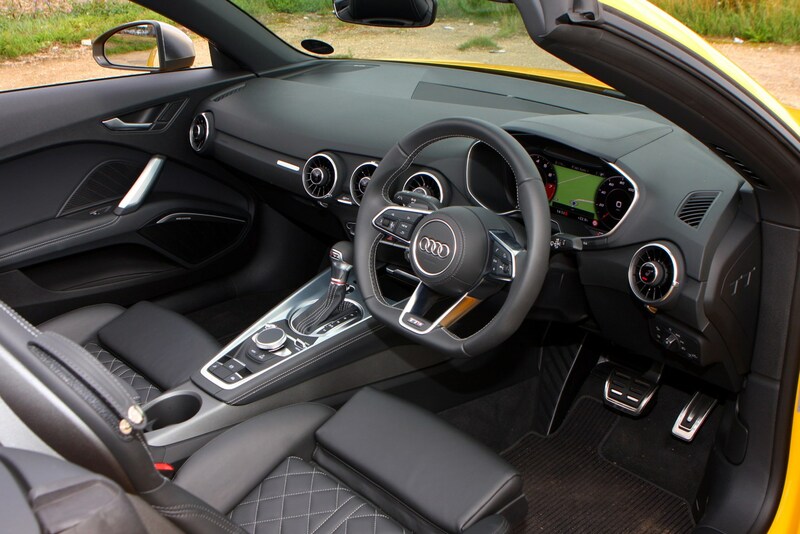 Obviously a full service history will make the car more appealing to buyers, as will a clean exterior and interior so consider having the car valeted before advertising and arranging viewings. 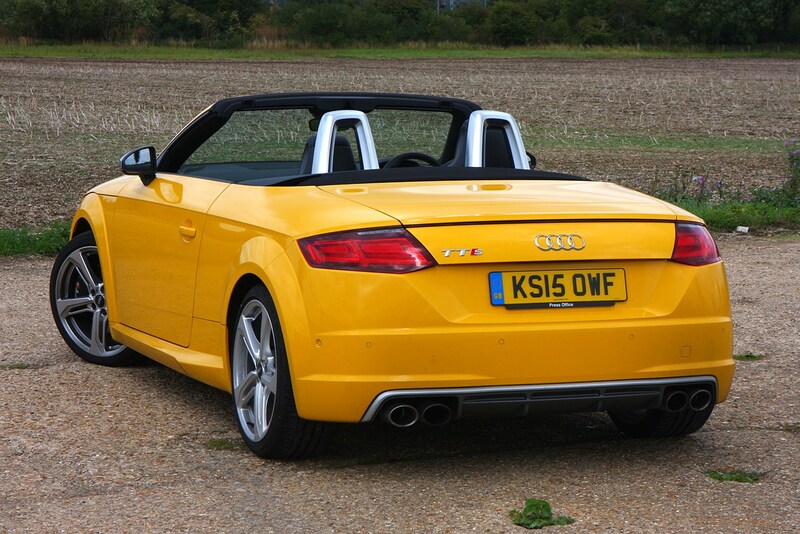 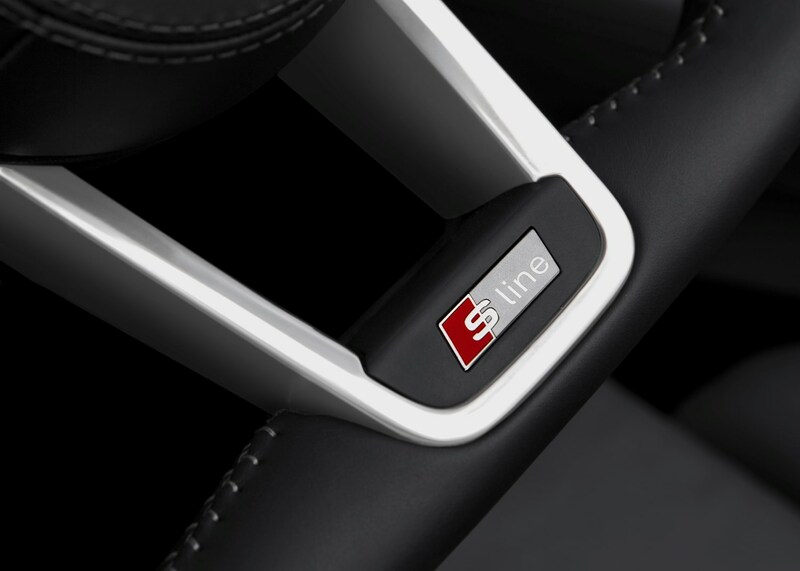 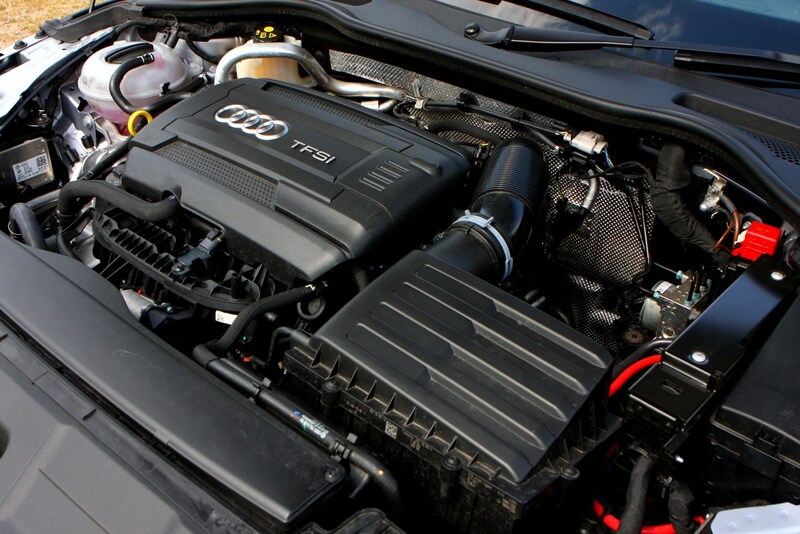 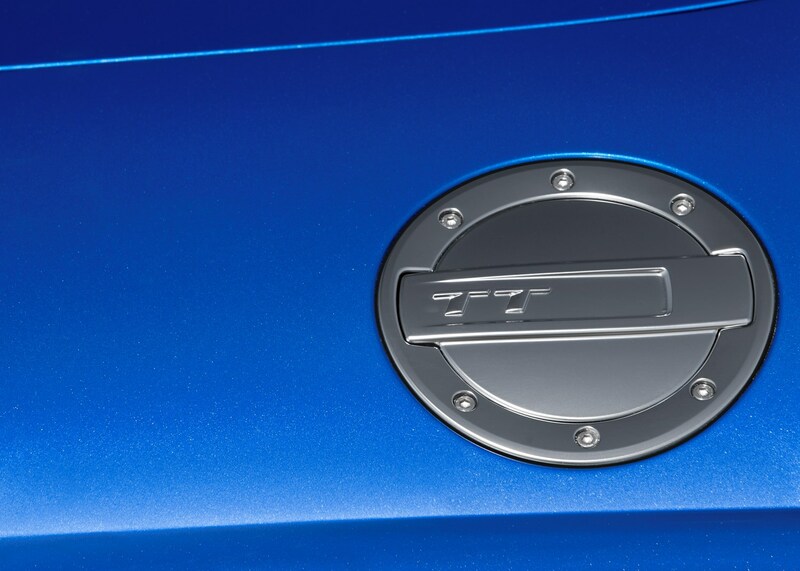 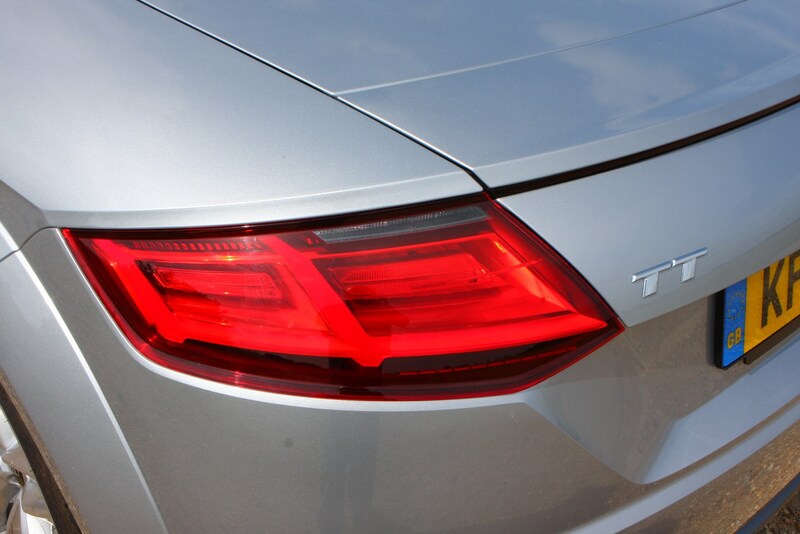 Audi owners club and sports car forums may be a good place to advertise.